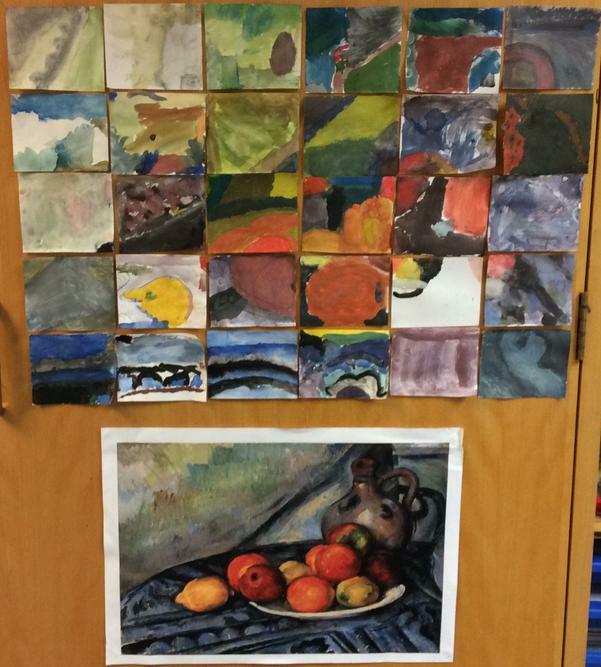 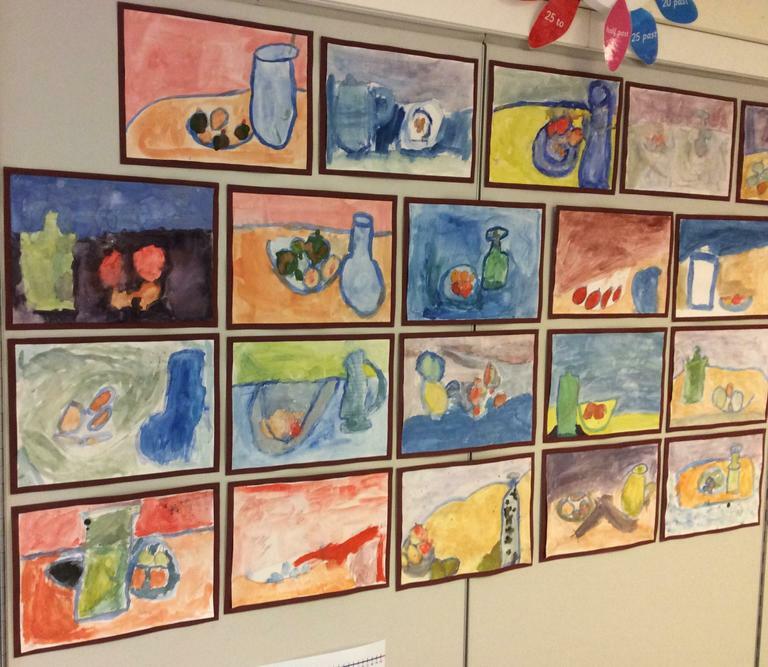 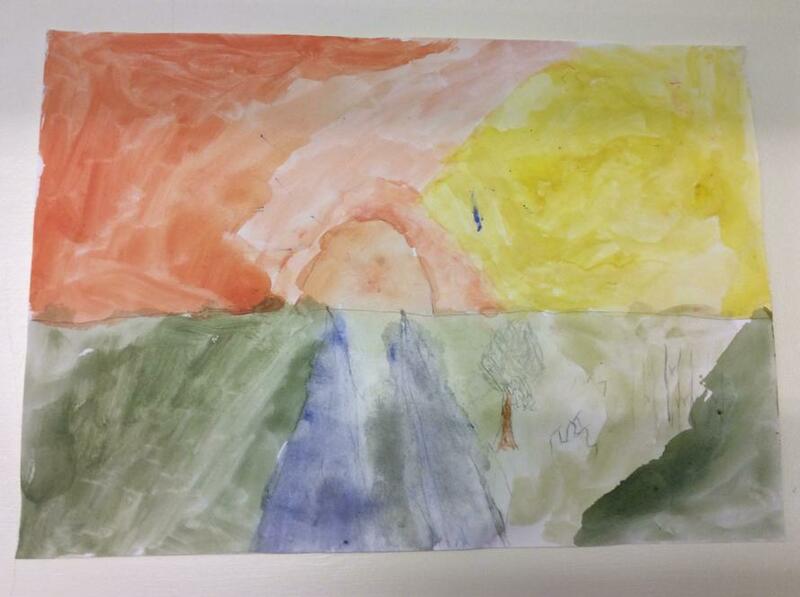 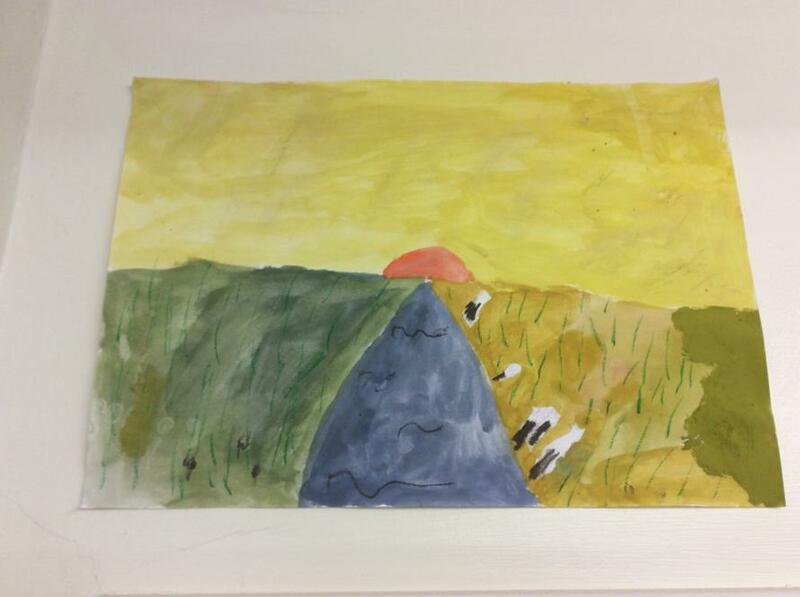 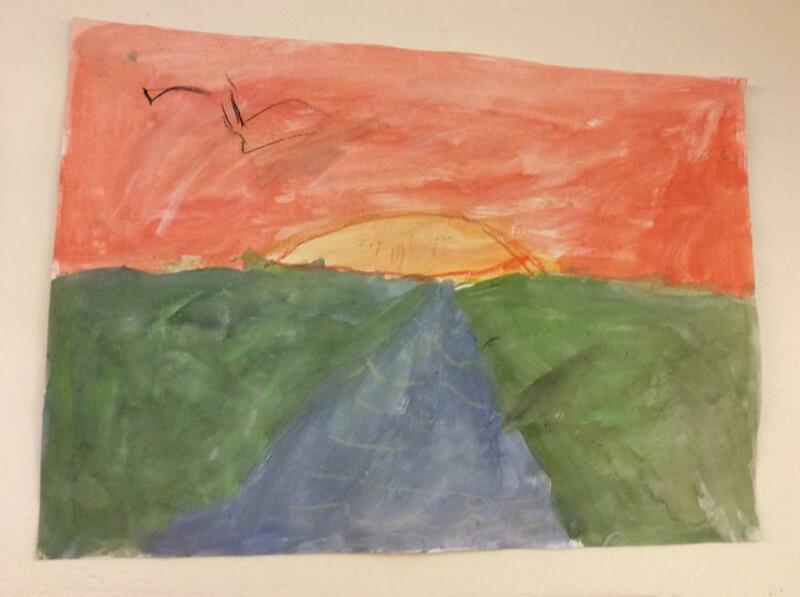 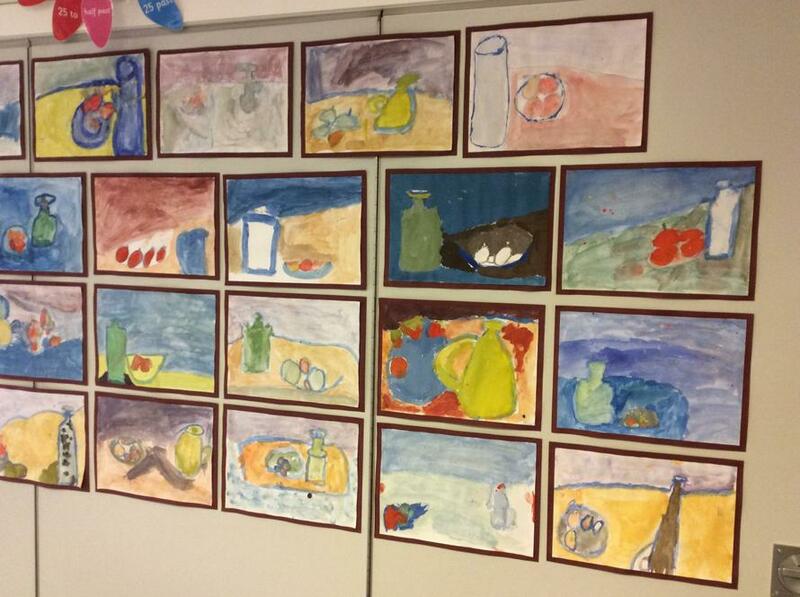 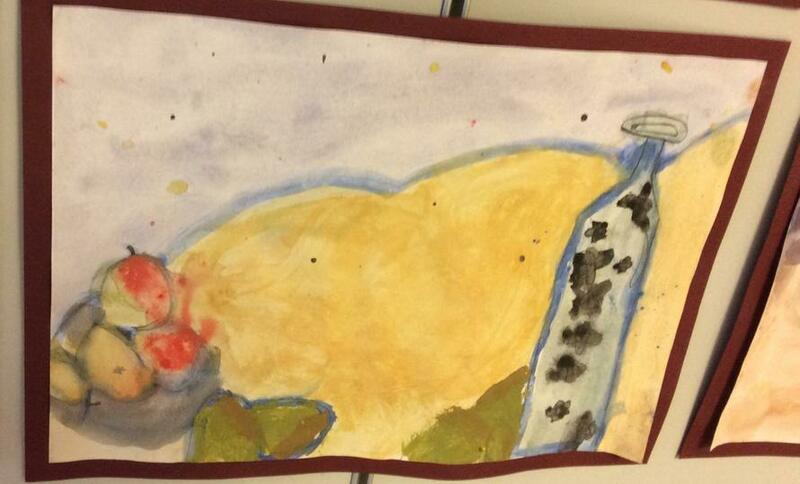 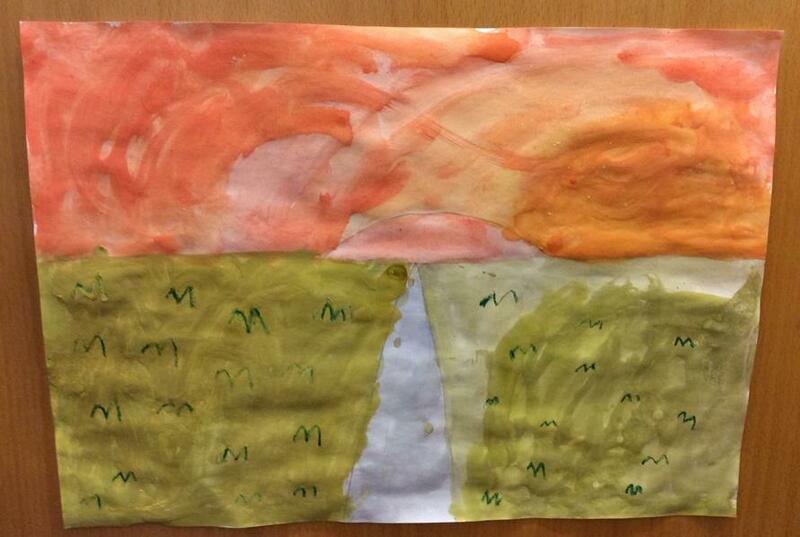 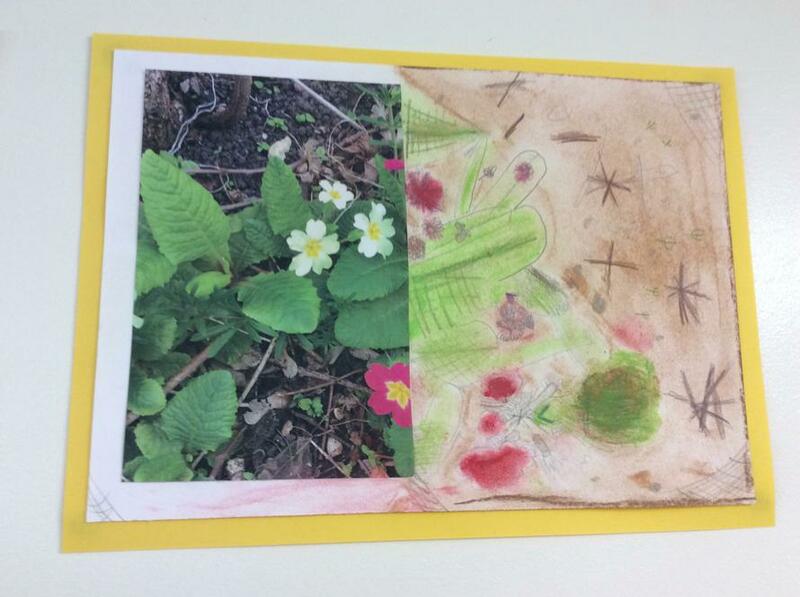 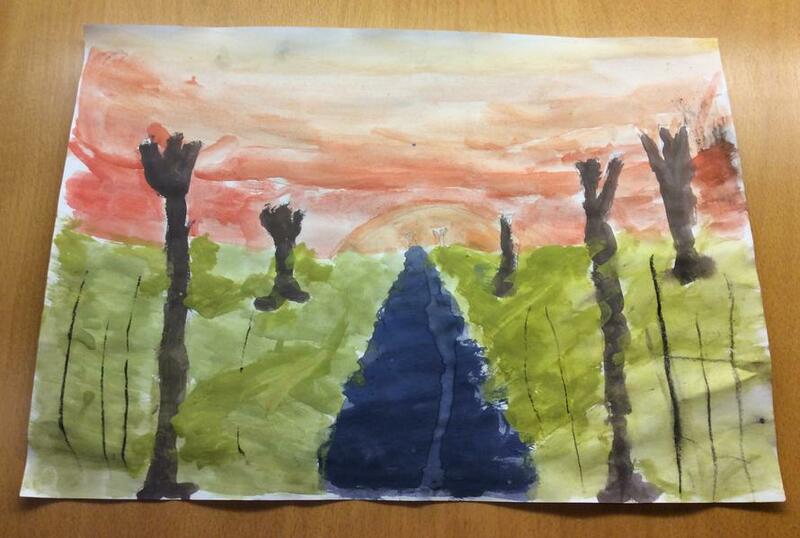 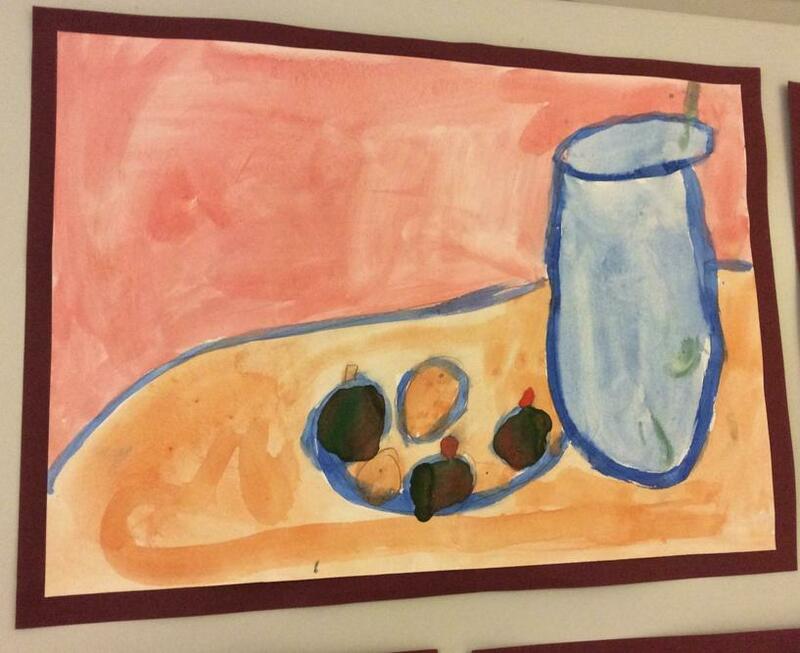 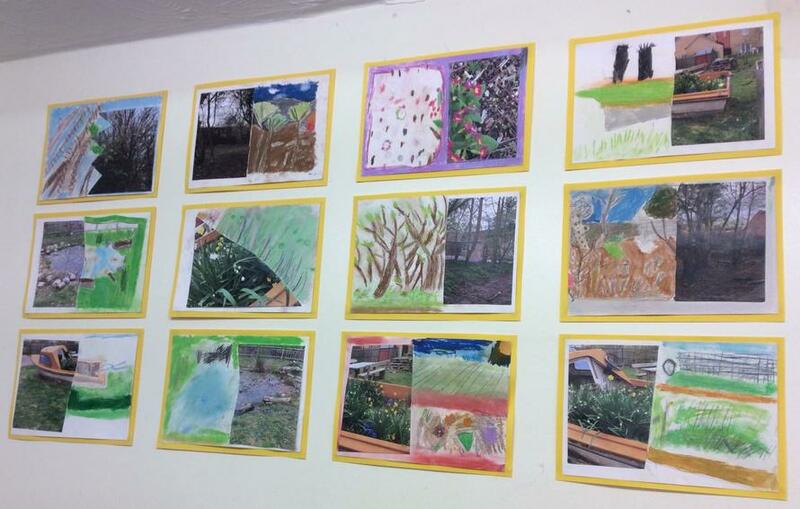 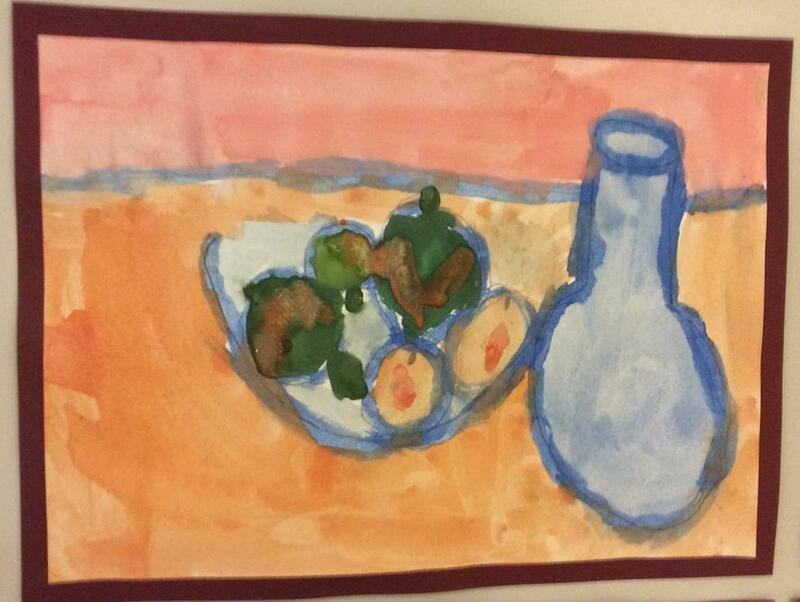 We hope you enjoy some of our artwork from this term. 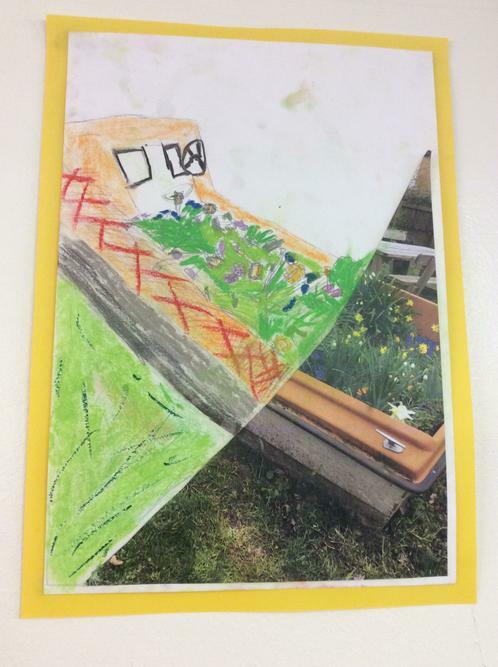 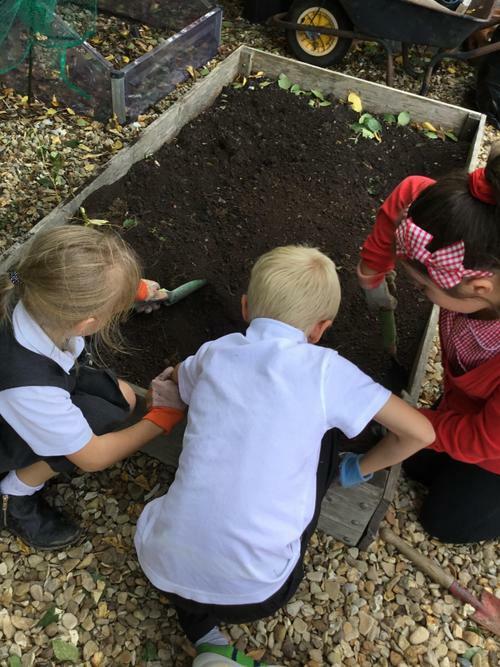 The garden areas are looking lovely with thanks to the Year 3 children for their planting skills and Skylark Garden Centre for their kind donations. 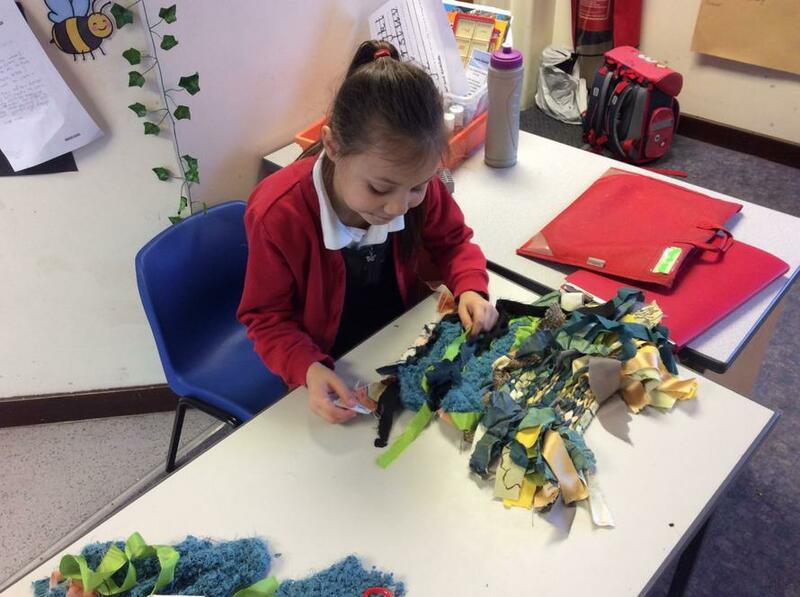 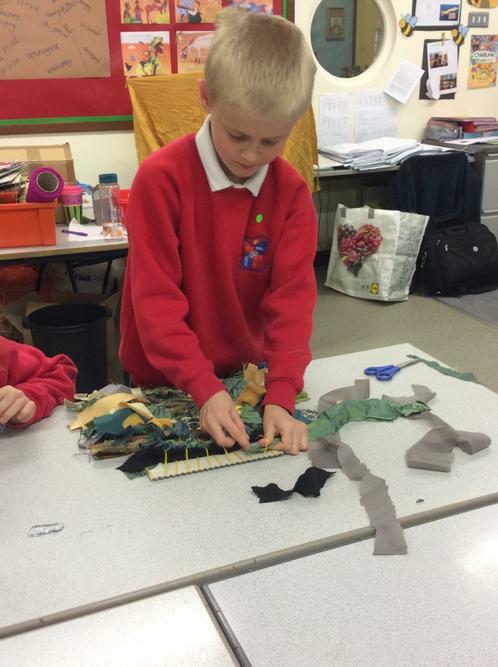 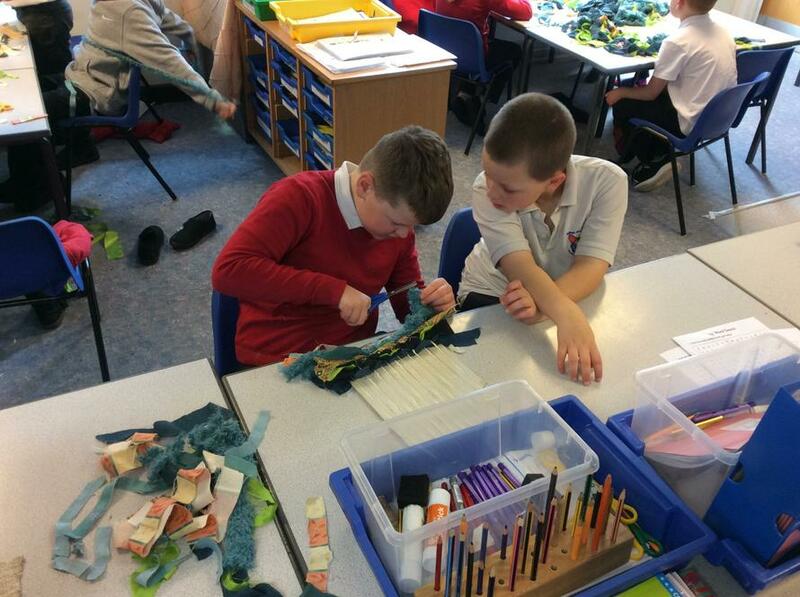 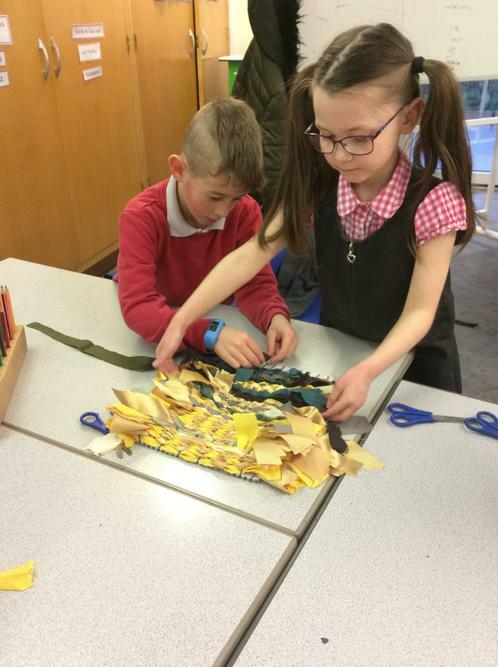 Year 3 have been putting their weaving skills to the test this week... any ideas what they are creating? 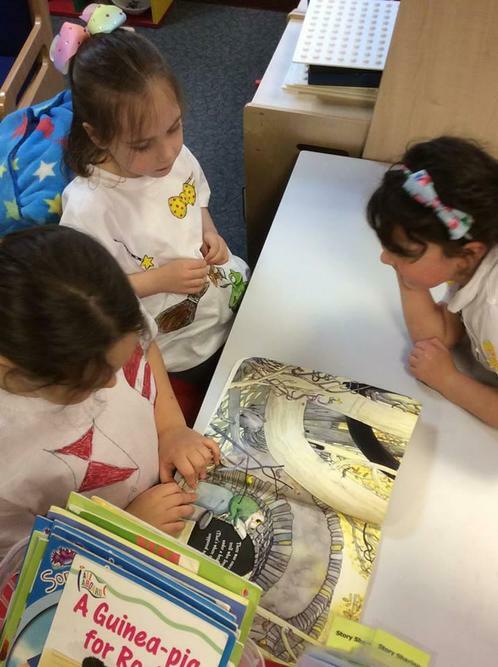 Year 3 have had an exciting World Book Day. 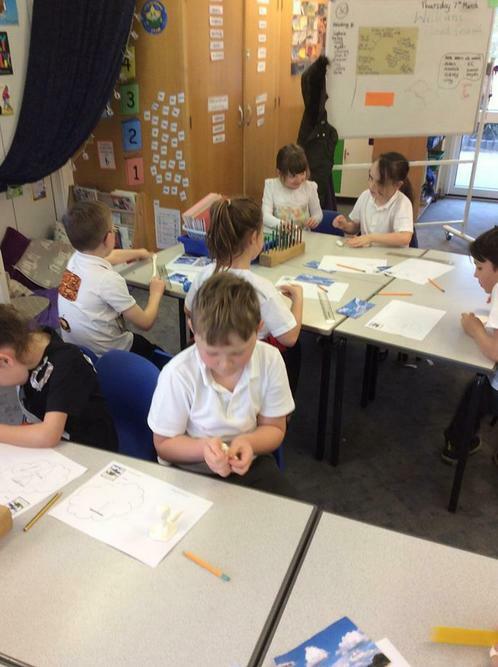 We have created a class book using the illustrations from Sector 7 by David Weisner. 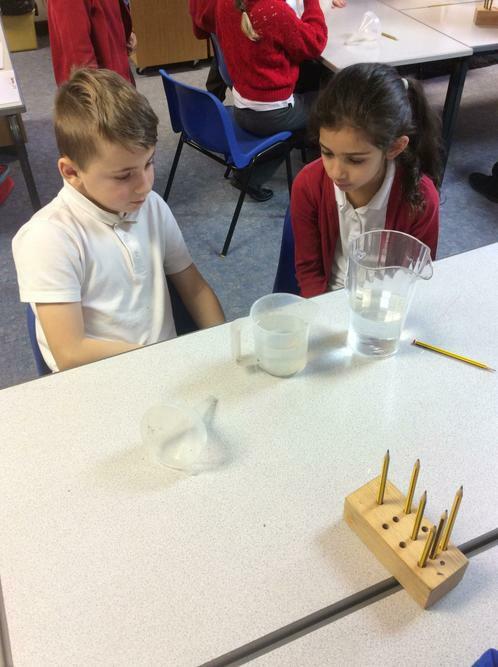 We have designed our own clouds and created them out of Model Magic. 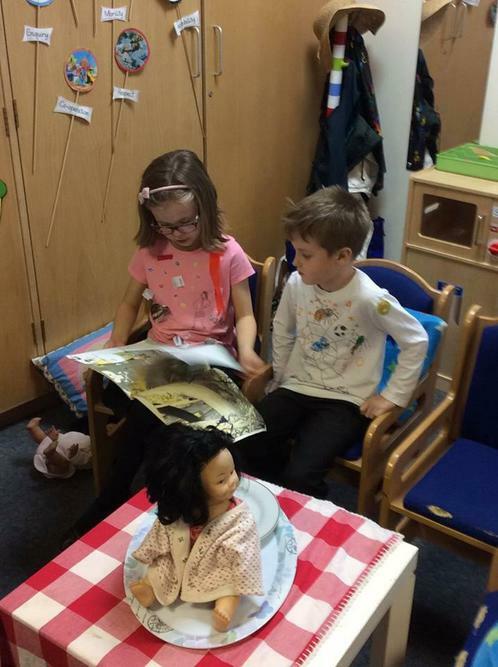 Finally we have shared some of our favourite storybooks with Foundation Stage. 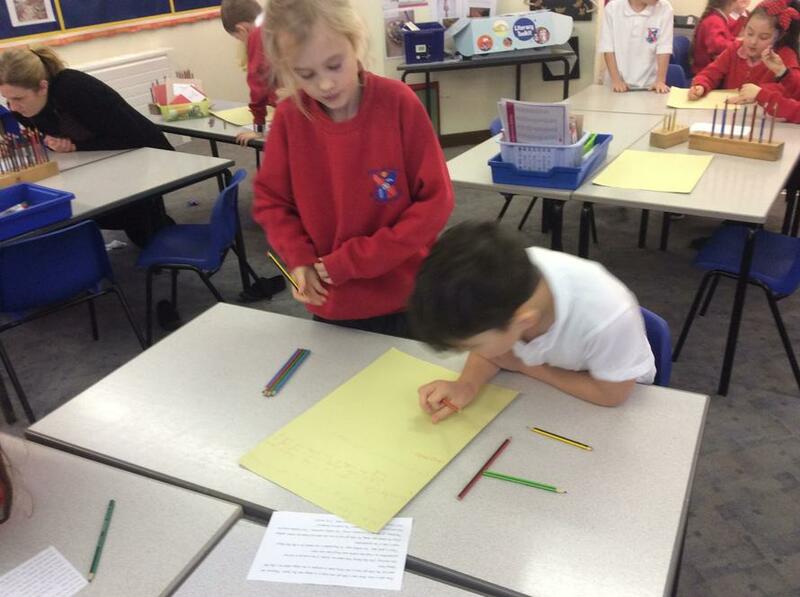 In English this week, Year 3 have been looking at a story about a girl called Isatou from Gambia. 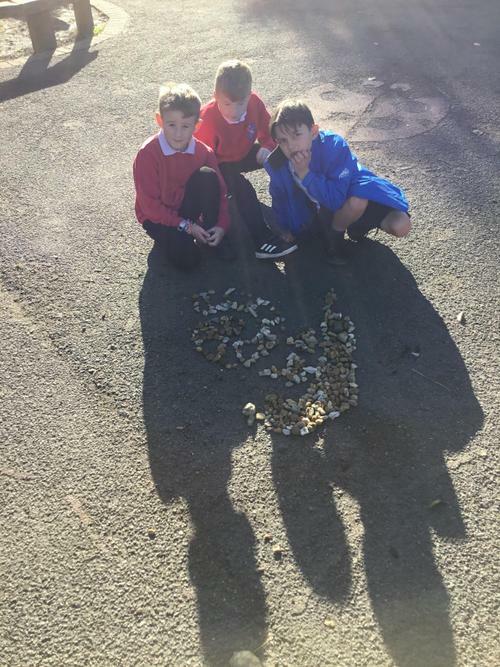 The story started with one plastic bag floating by but it quickly multiplied into hundreds. 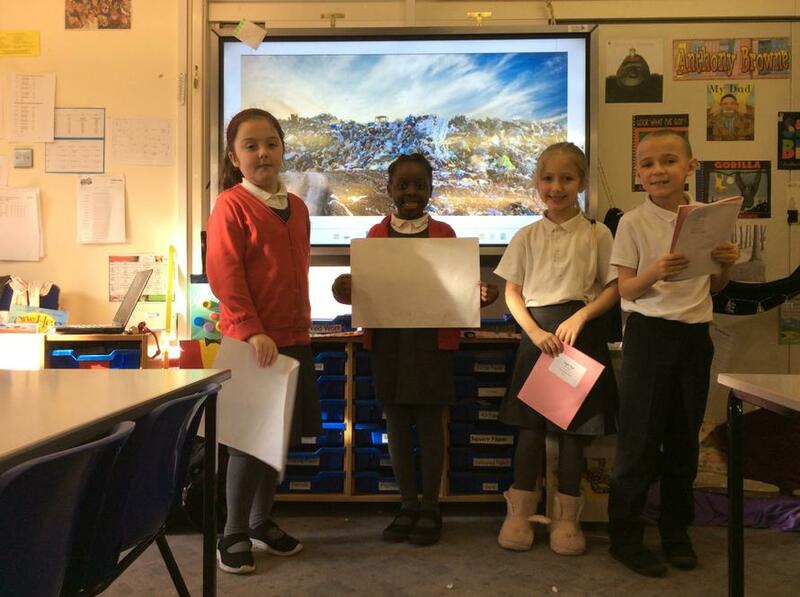 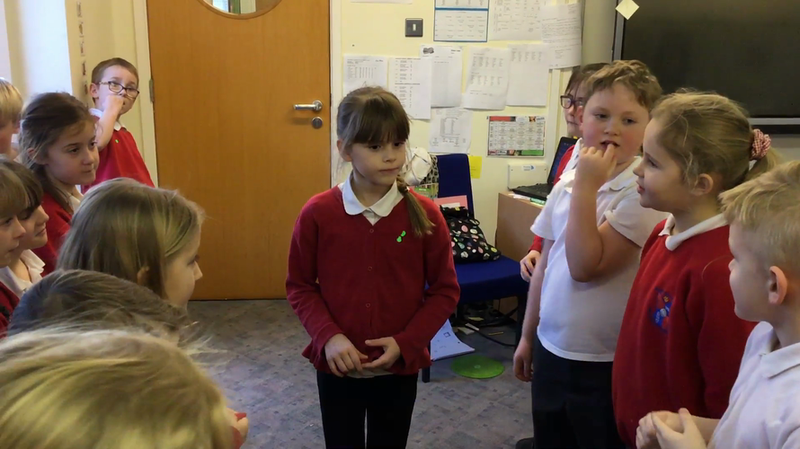 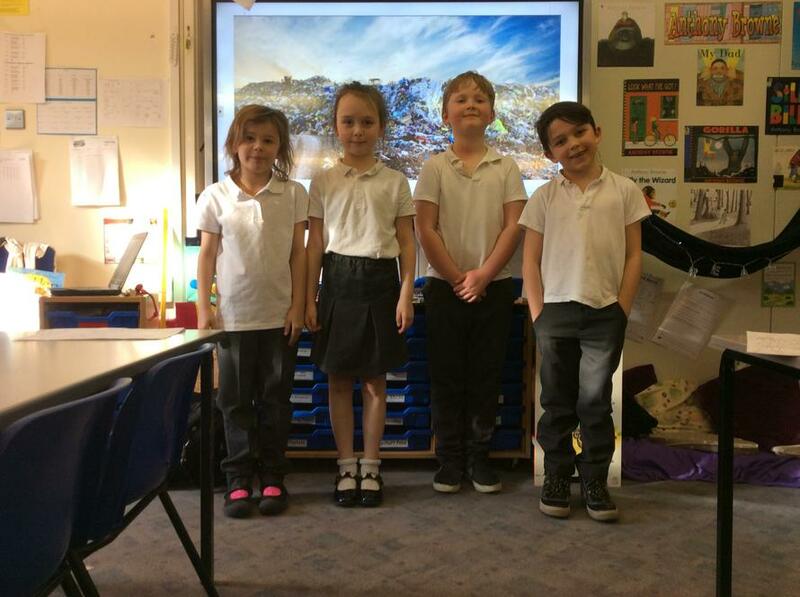 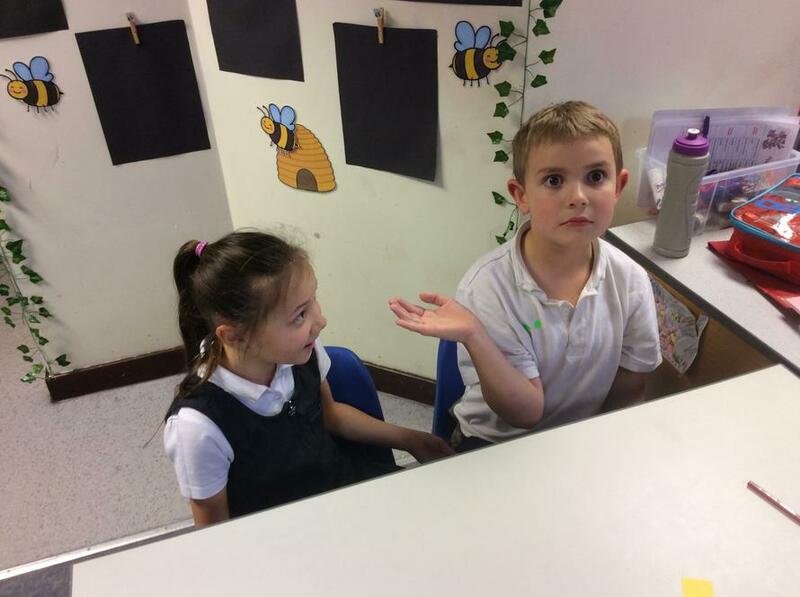 The children watched several TED talks about recycling, they then reflected on the language choices and style of narration before writing their own script and performing their very own TED talk. 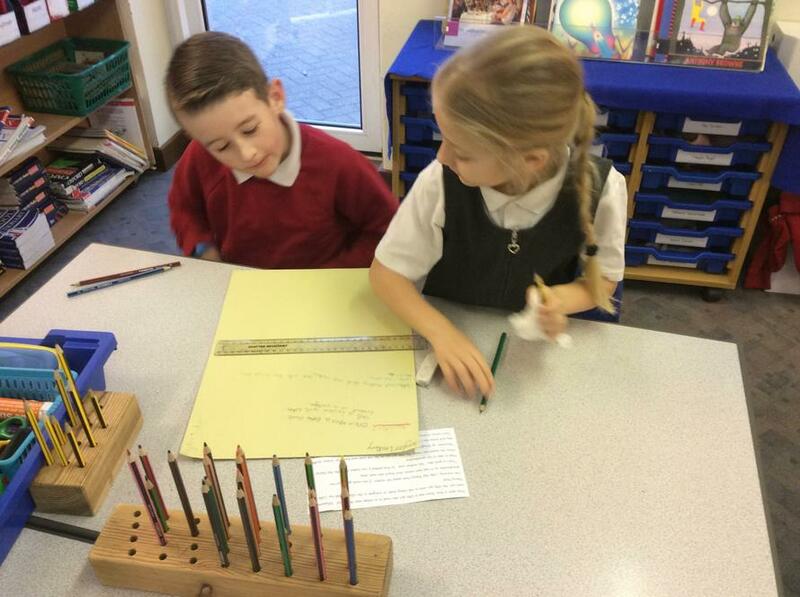 To finish the week, the children looked at the features of a diary entry. 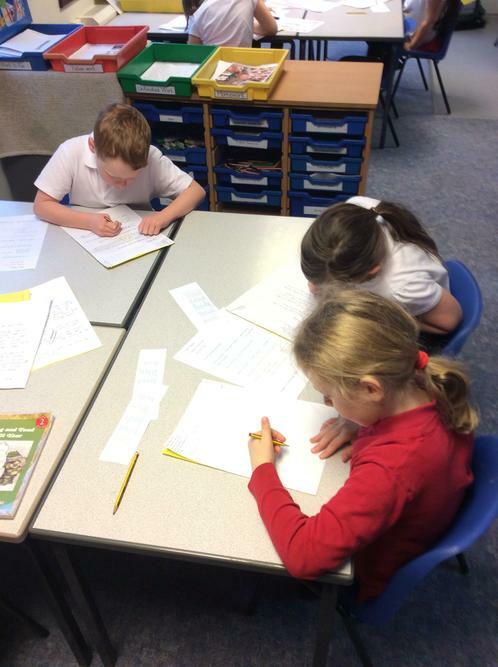 Finally they put themselves in Isatou’s shoes and wrote an entry to her diary. 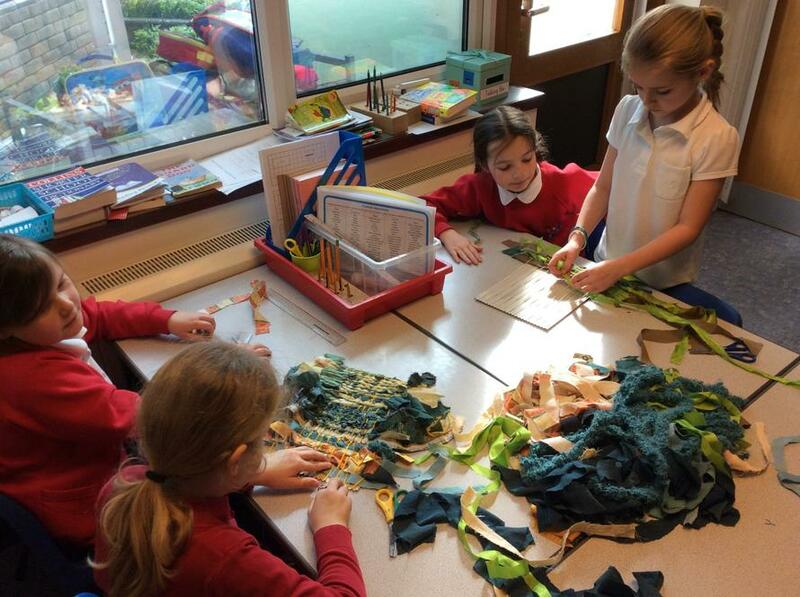 After half term, Year 3 will be creating a large piece of recycled artwork. 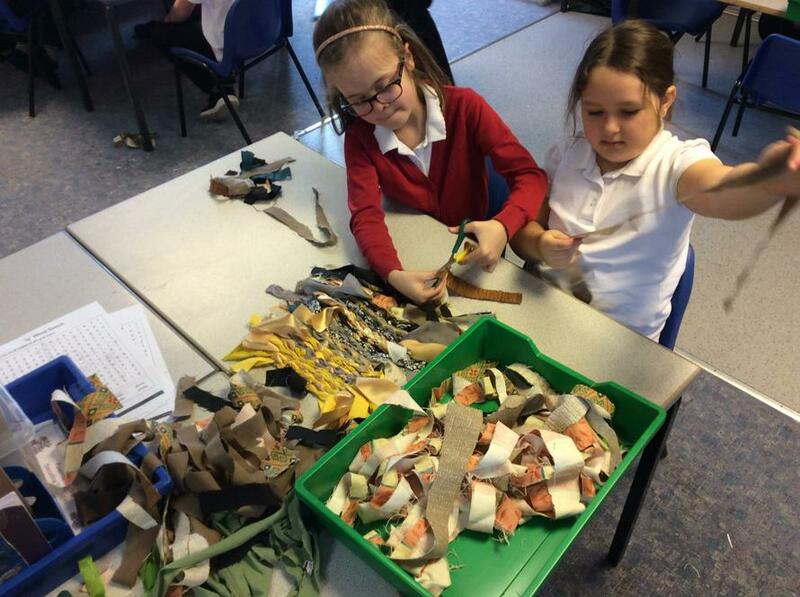 The children will be weaving plastic bags to create a Fenland scene. 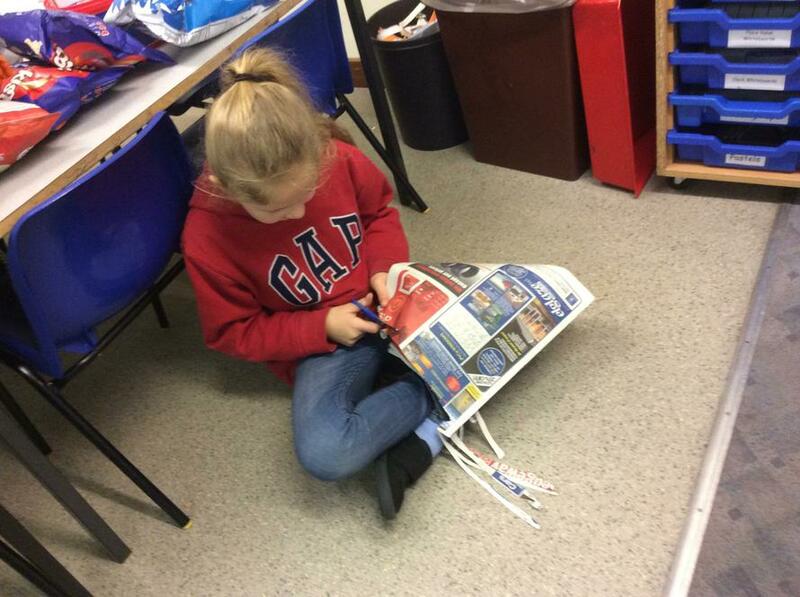 We would be grateful if you could send in any plastic bags, in particular green, yellow, brown, orange, red, blue and white. 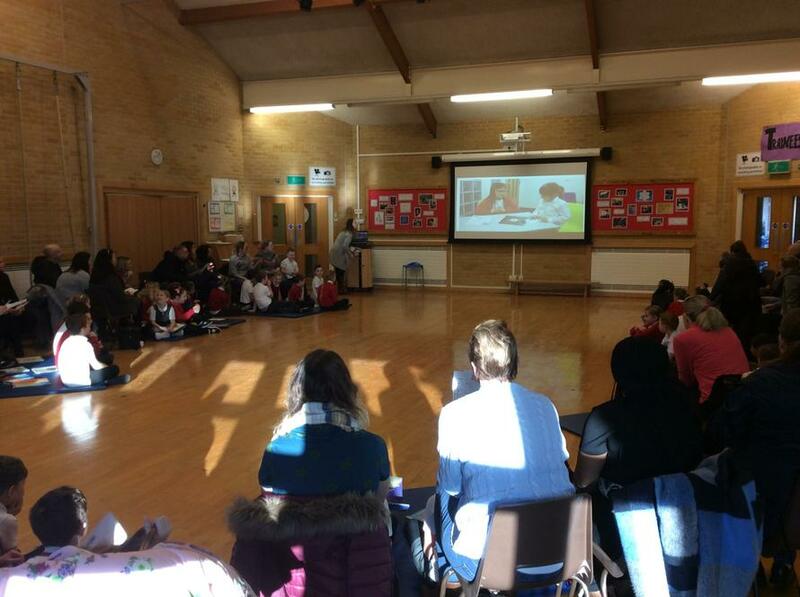 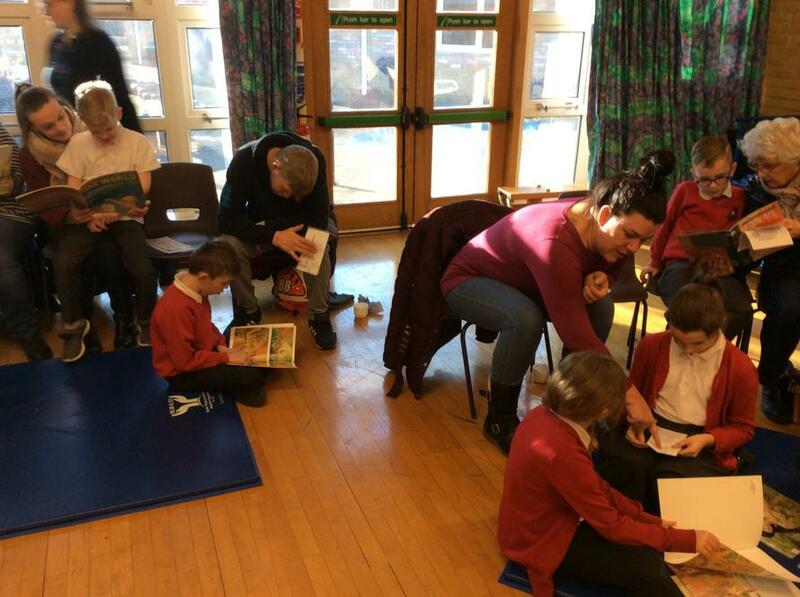 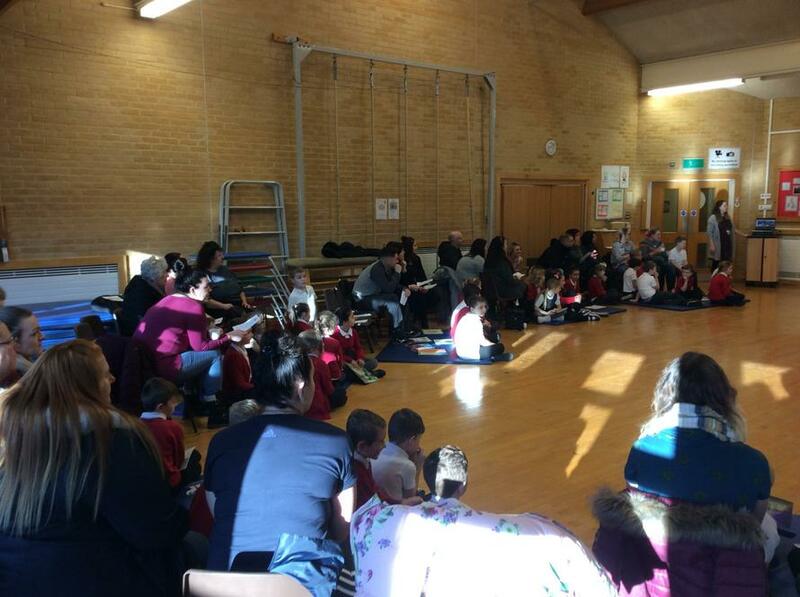 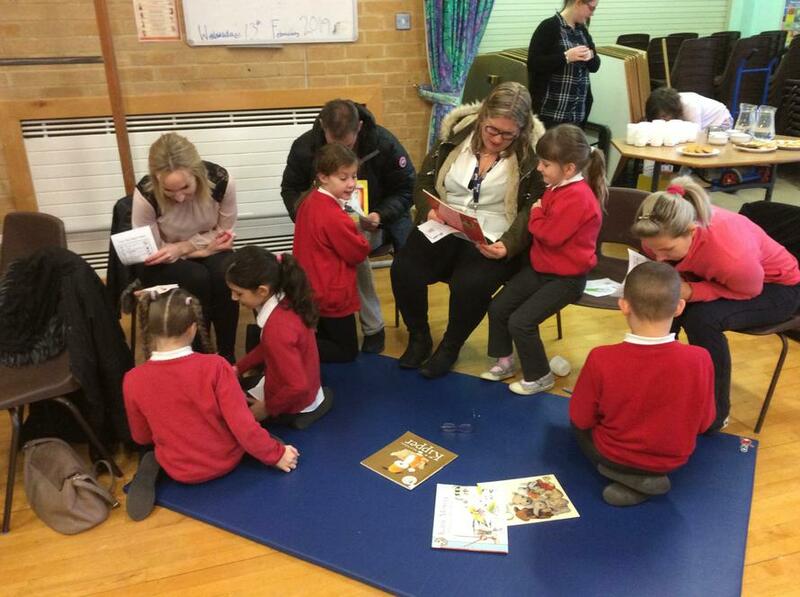 Thank you to all of you that came along to the Year 3 Reading Café this morning. 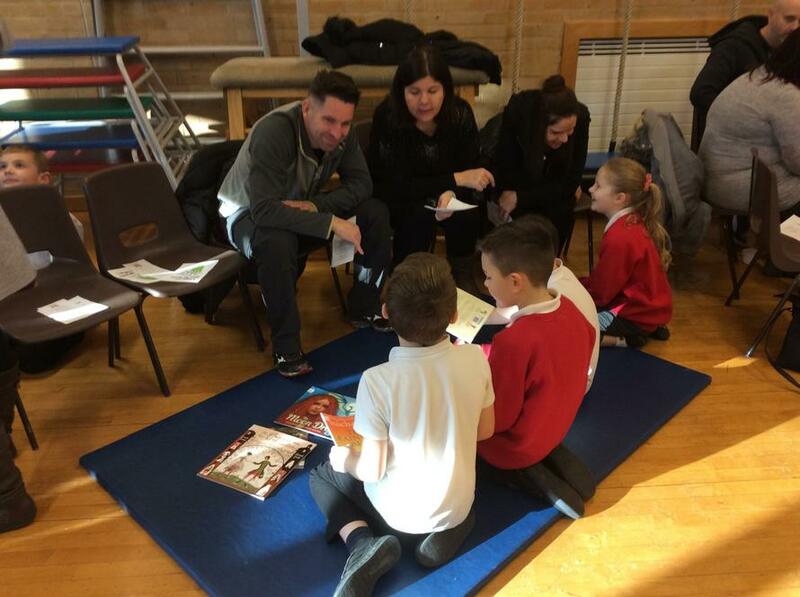 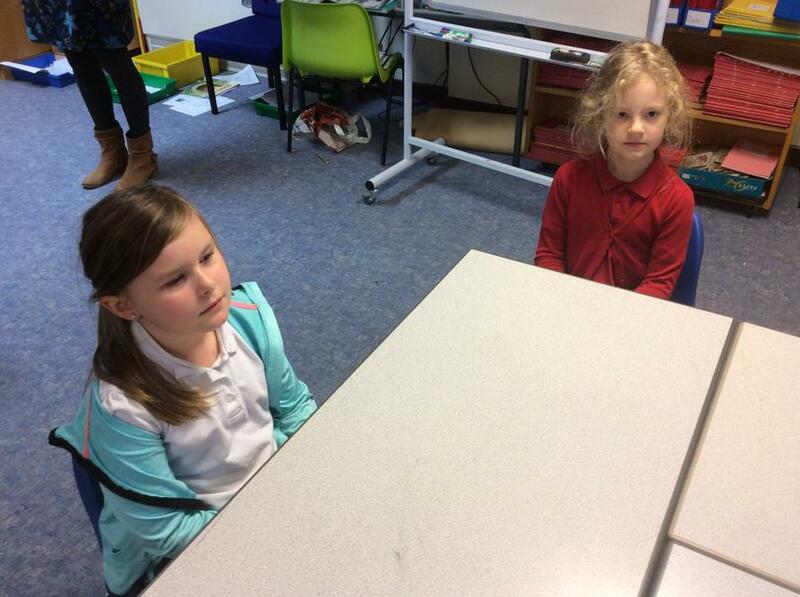 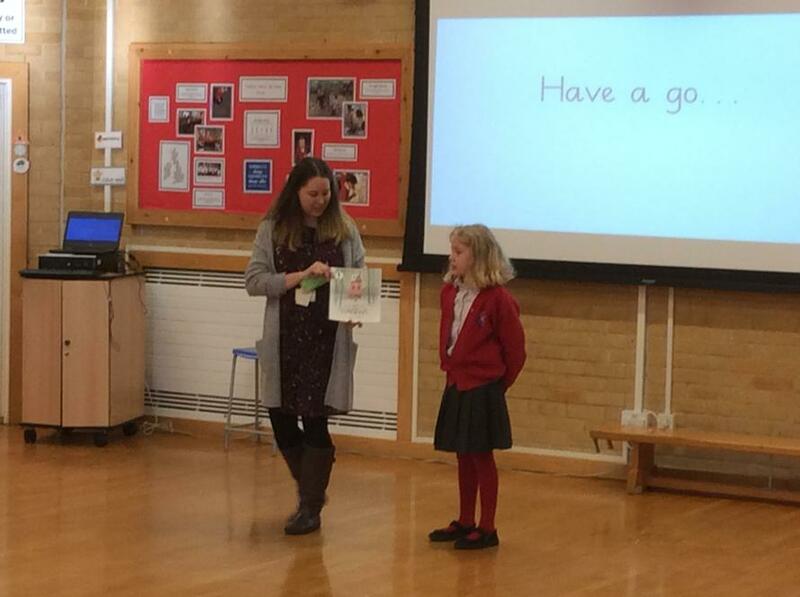 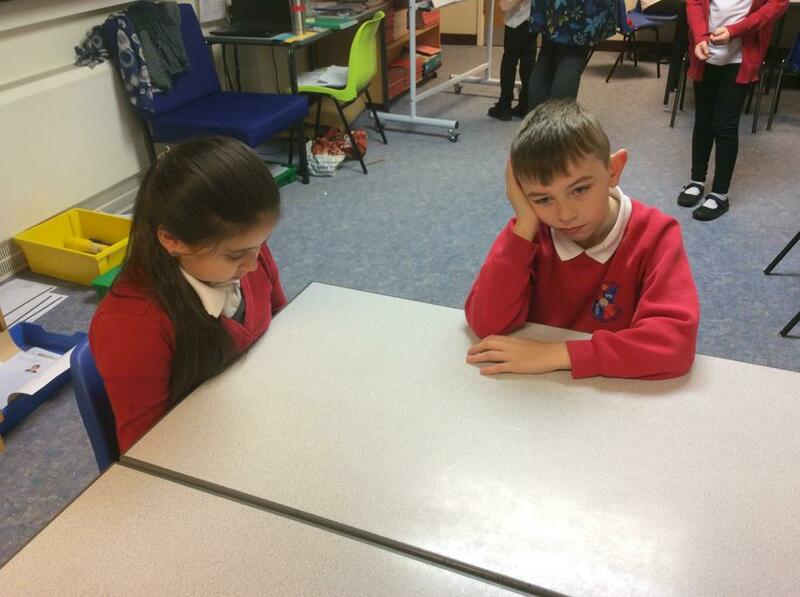 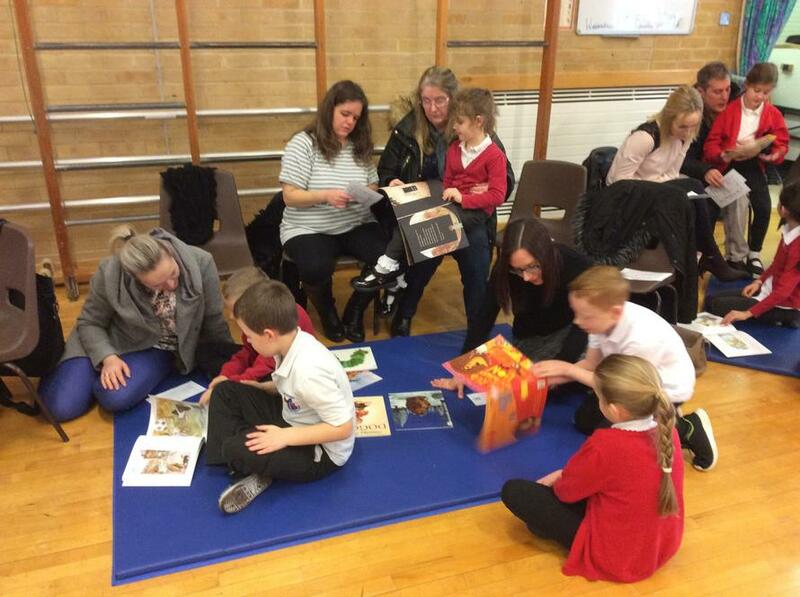 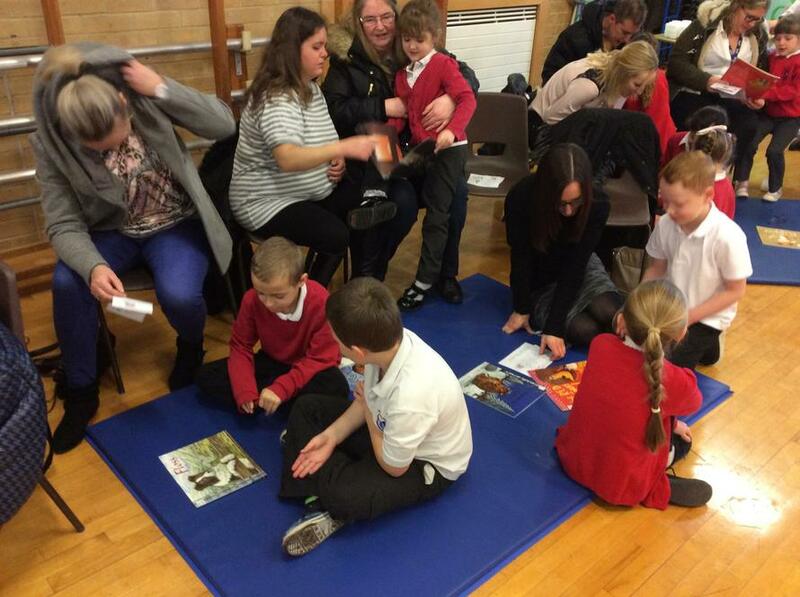 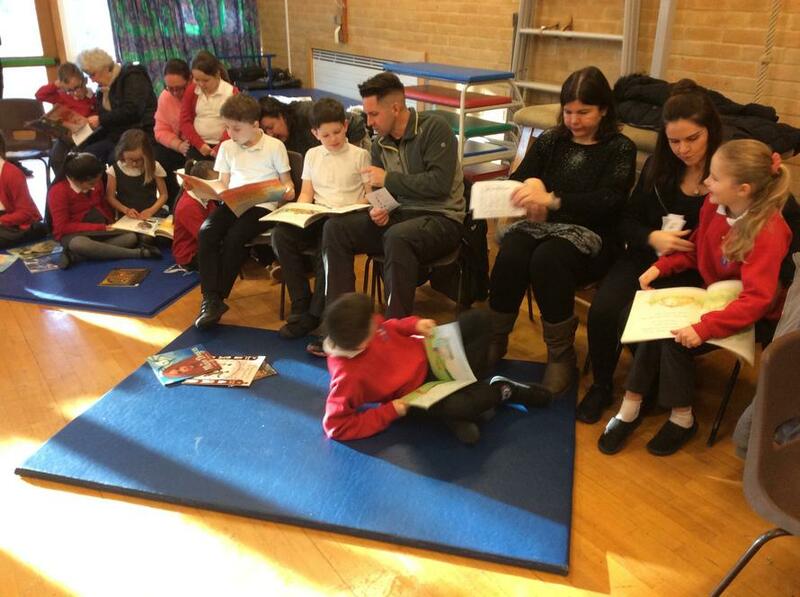 The children really enjoyed sharing their Powerful Reading Strategies with you. 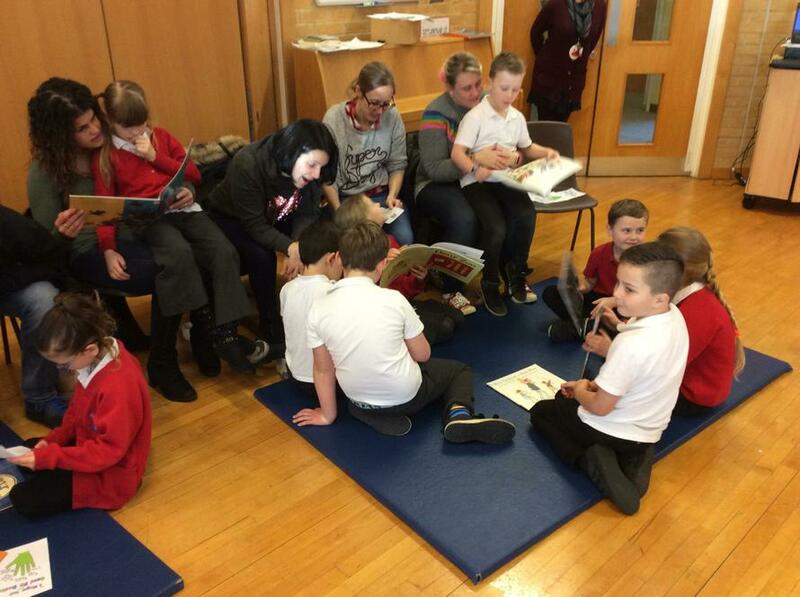 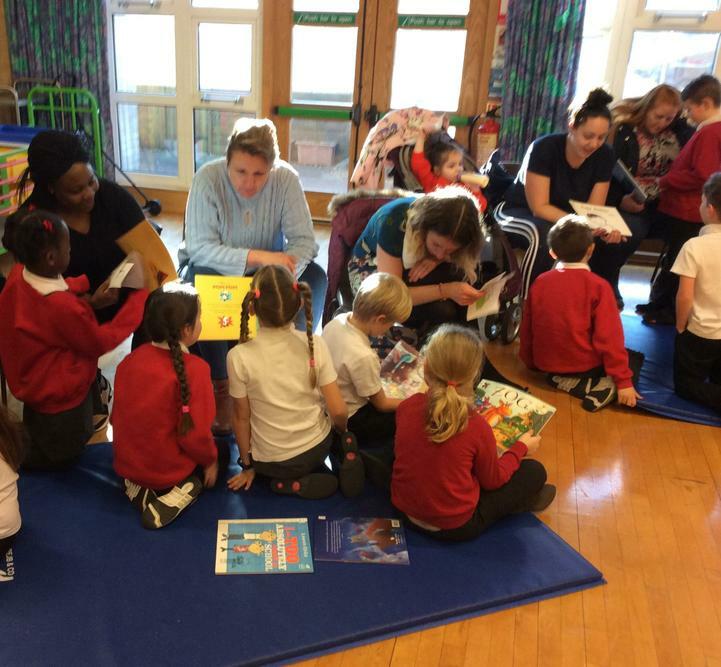 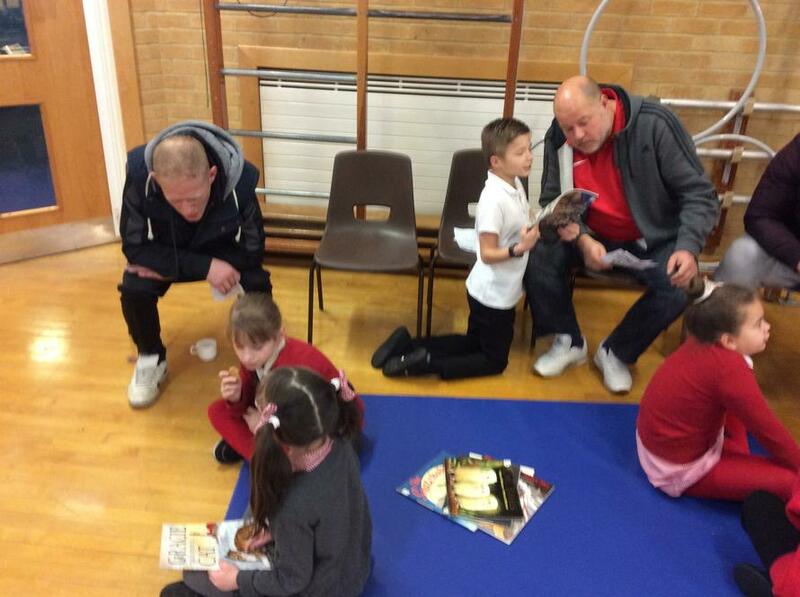 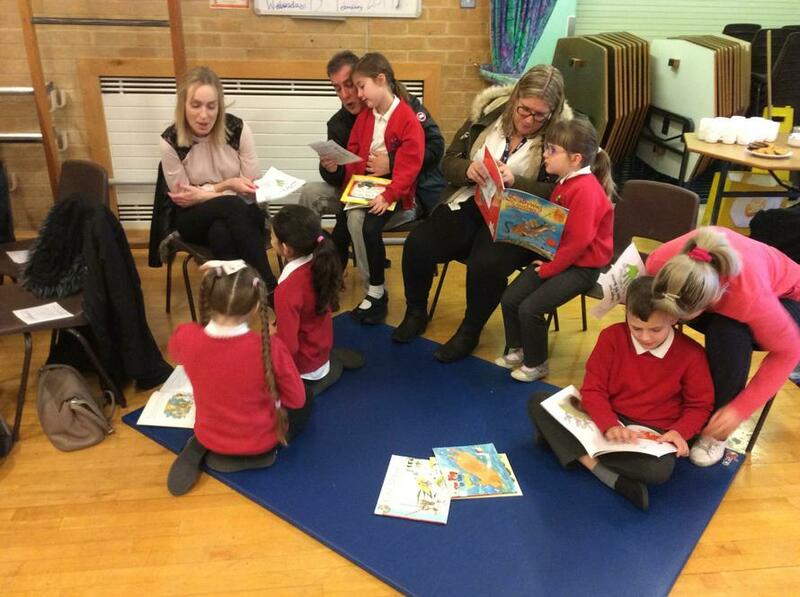 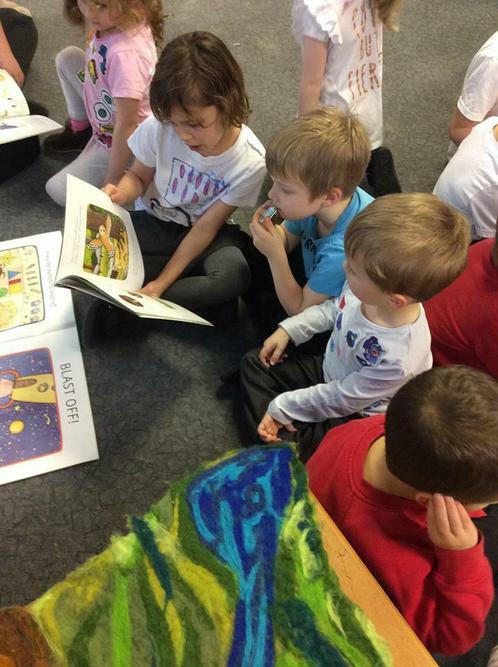 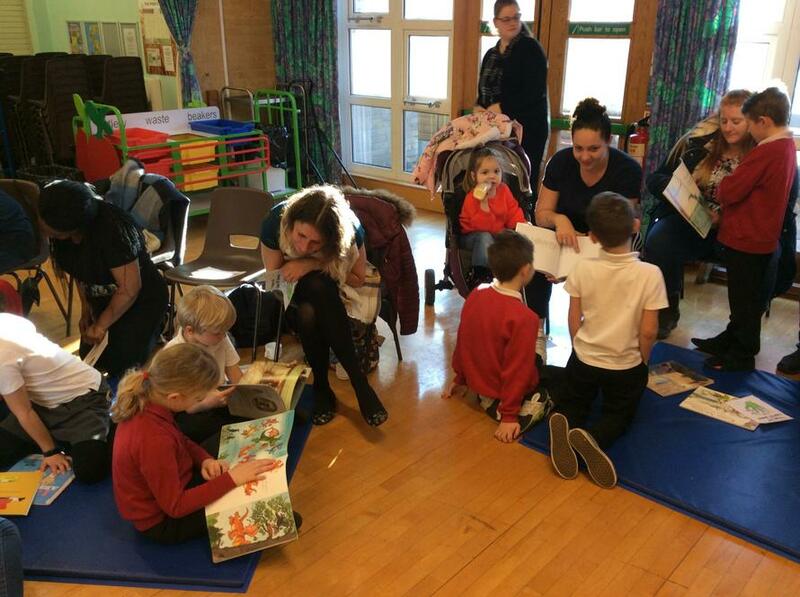 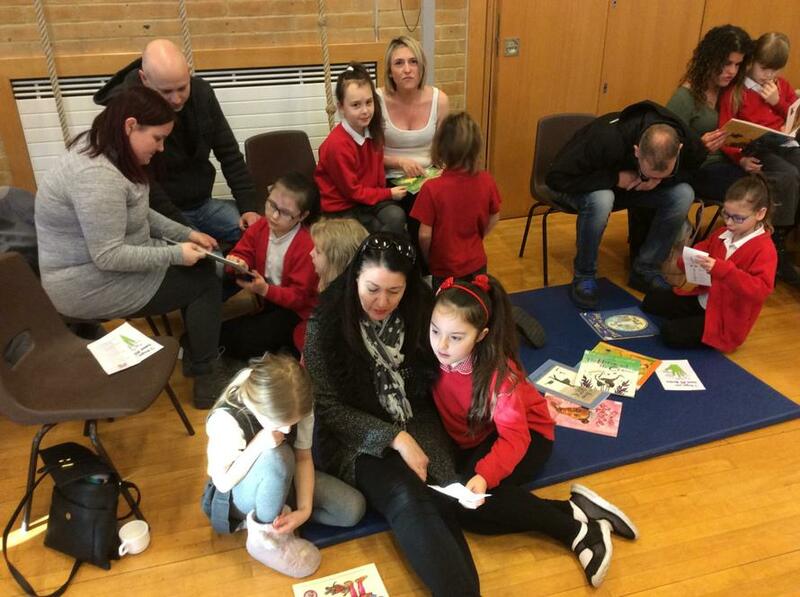 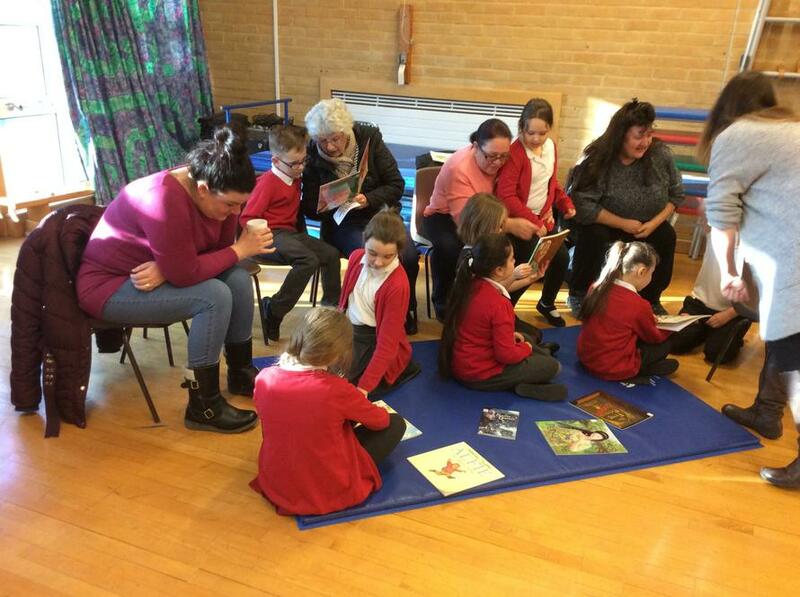 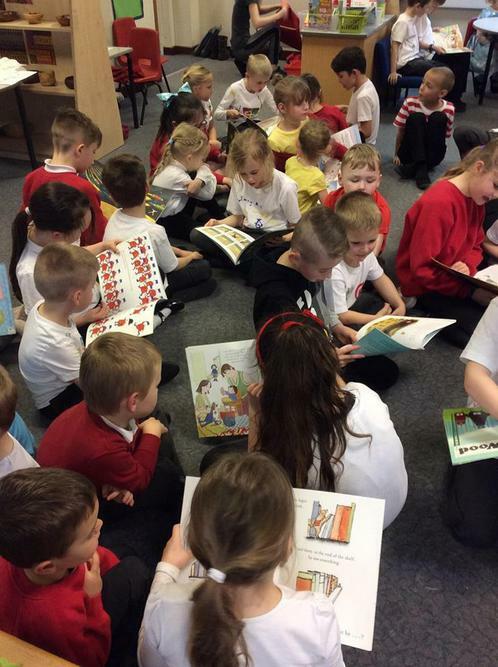 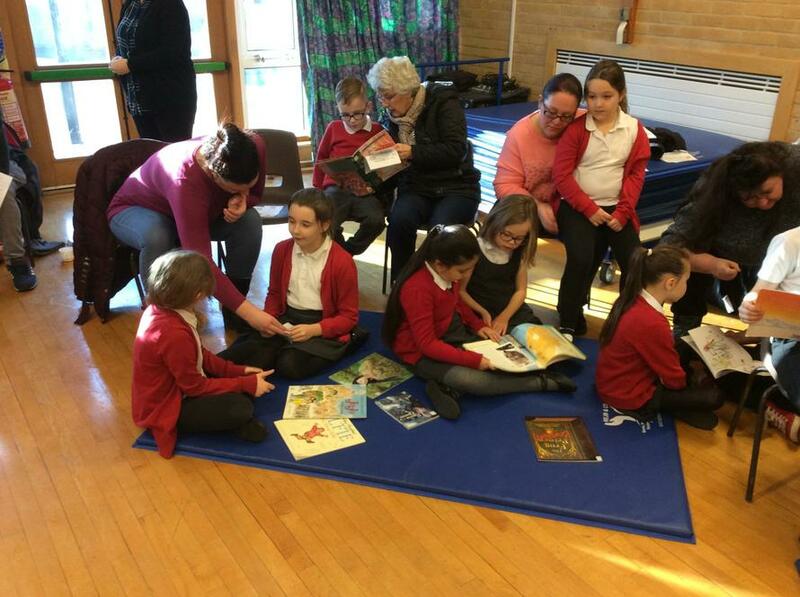 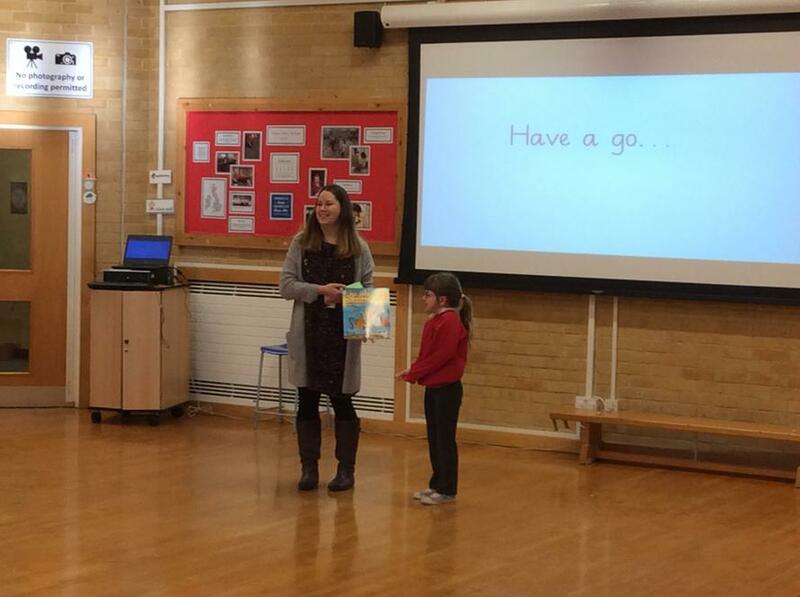 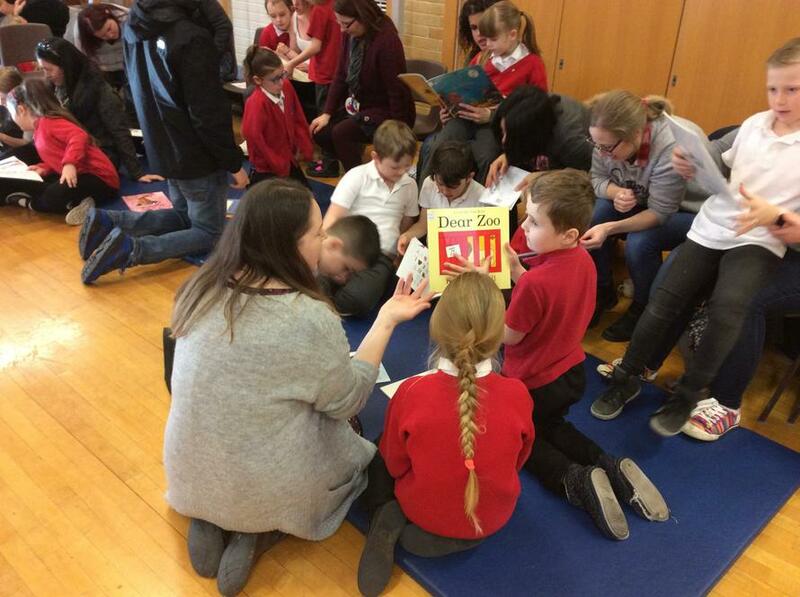 It was lovely to see the children sharing the books with such enthusiasm. 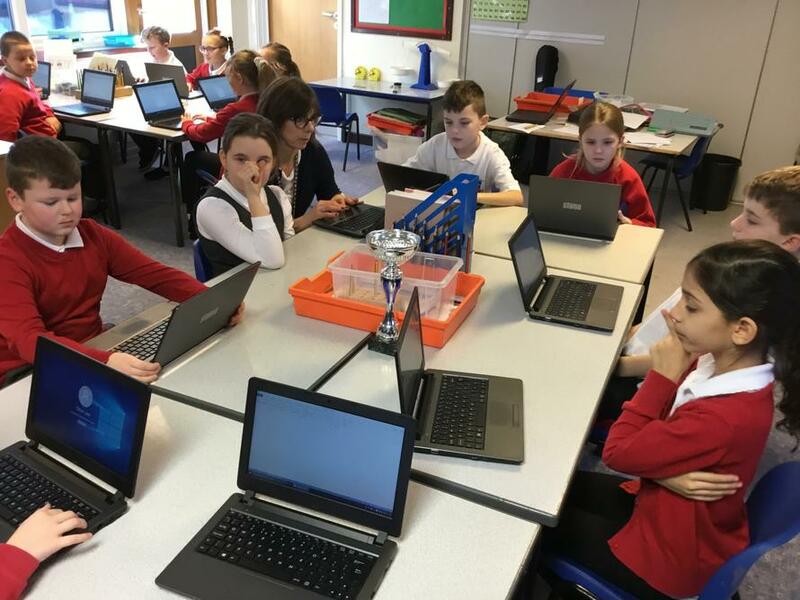 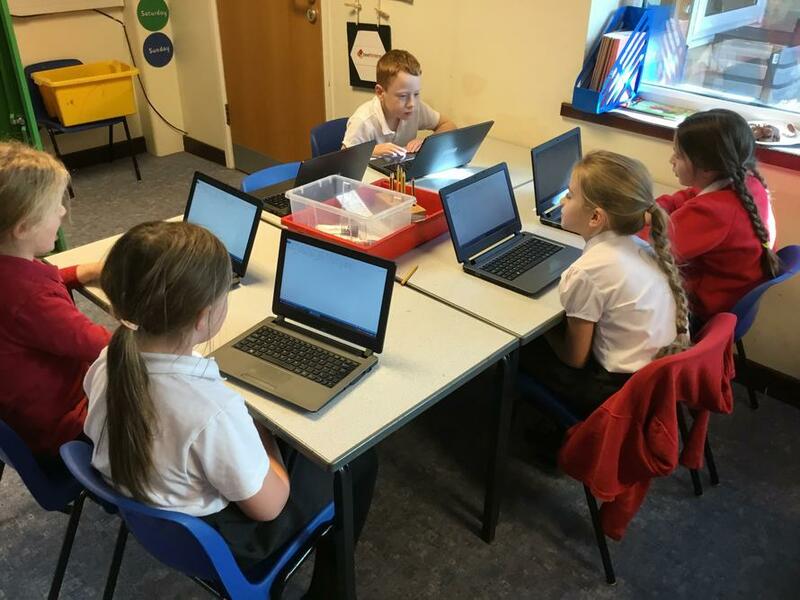 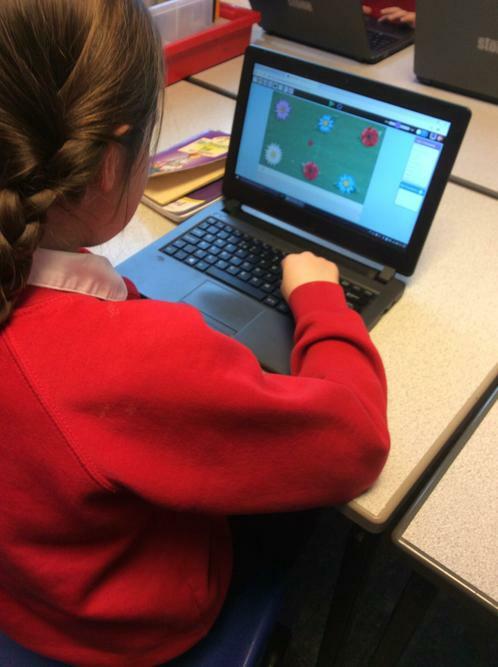 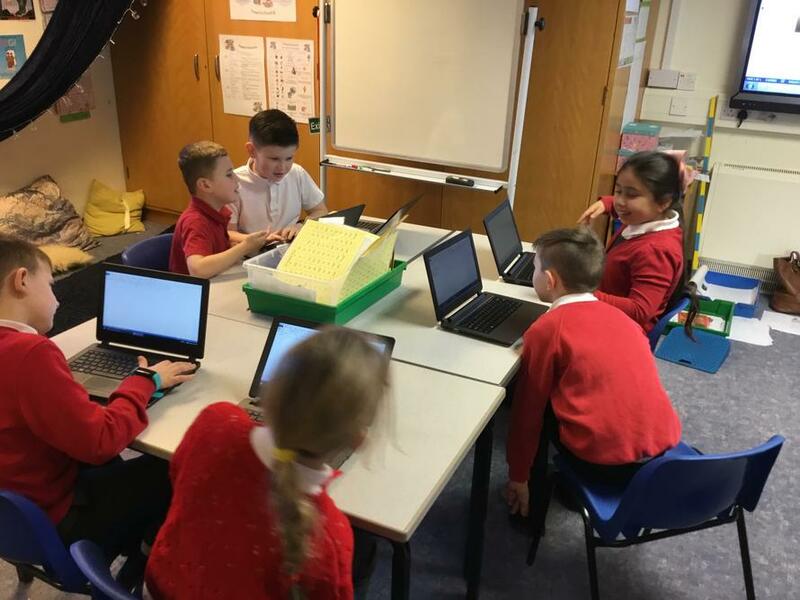 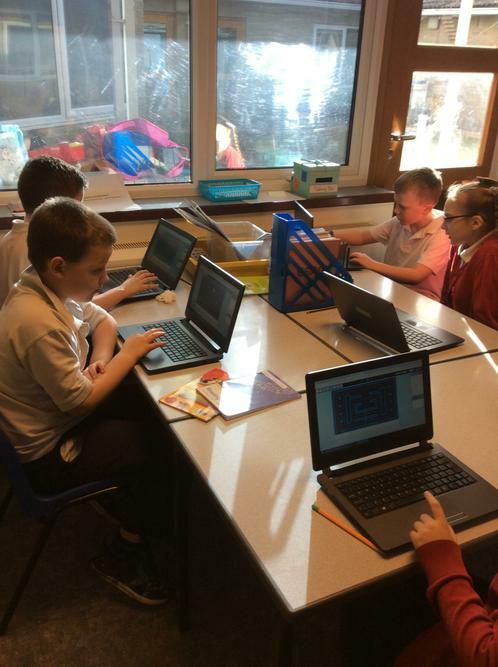 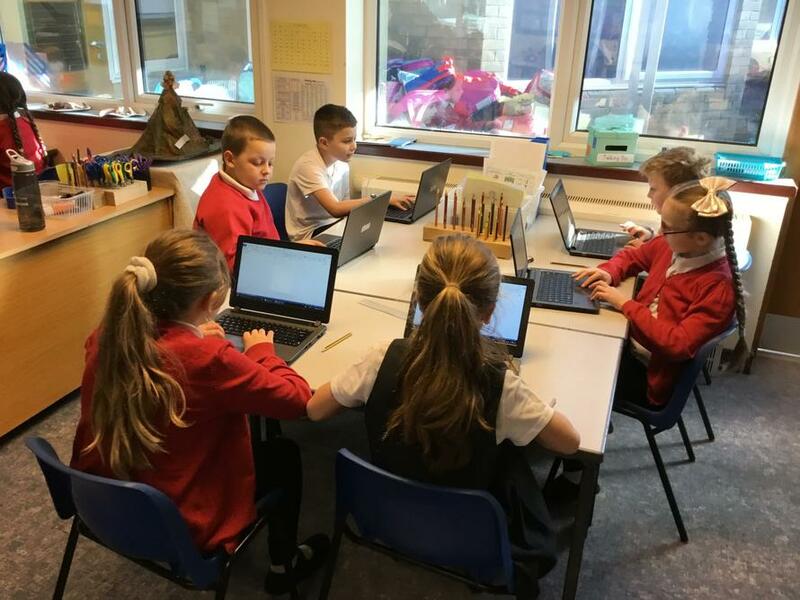 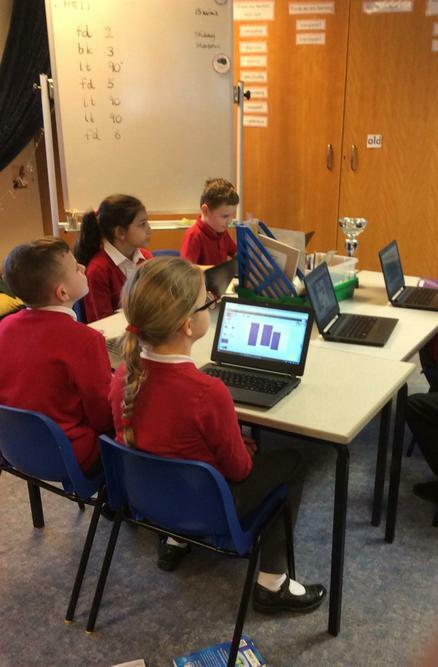 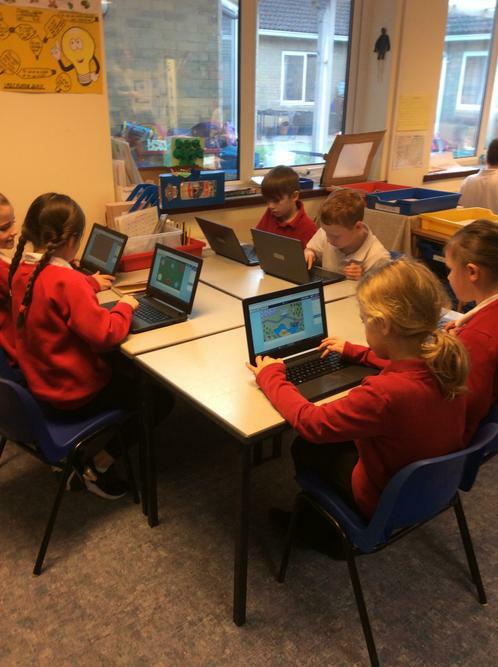 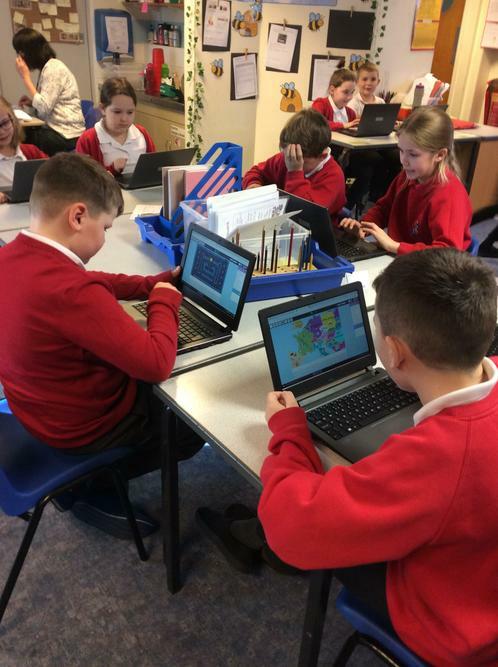 Year 3 have been exploring the Purple Mash programme in ICT. 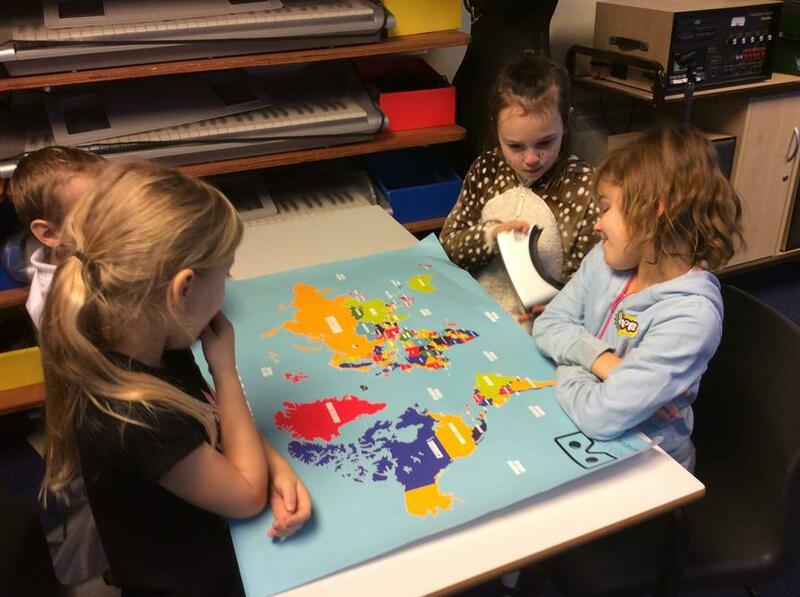 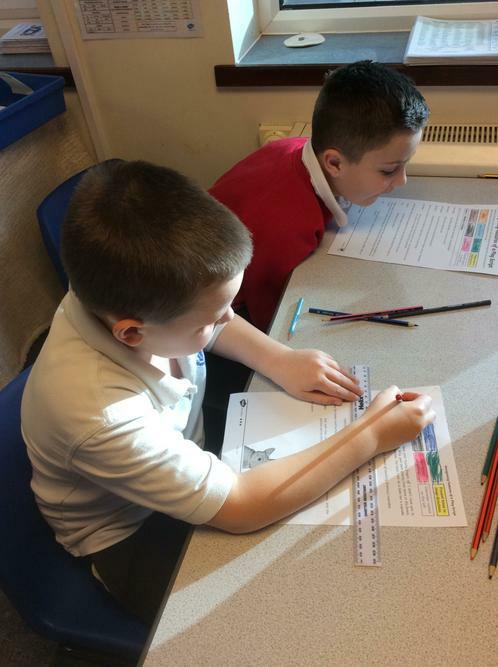 They have designed a sequence of instructions to guide their character around a map. 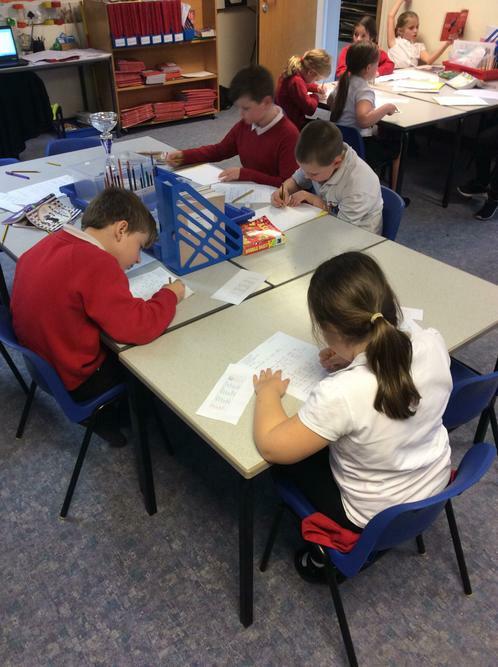 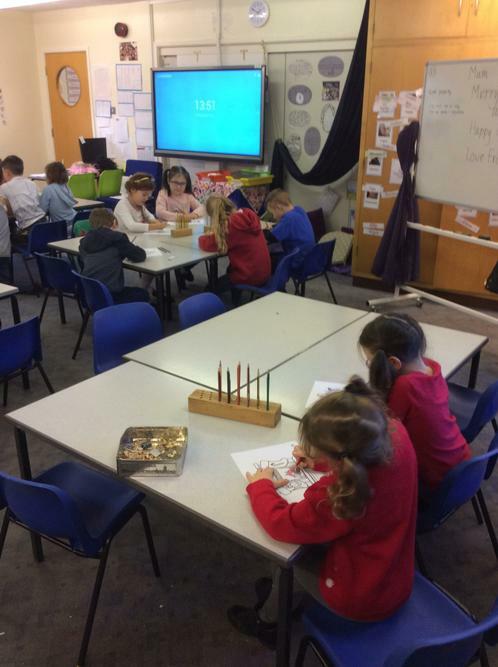 In Maths, the children have been learning their 3, 4 and 8 times tables. 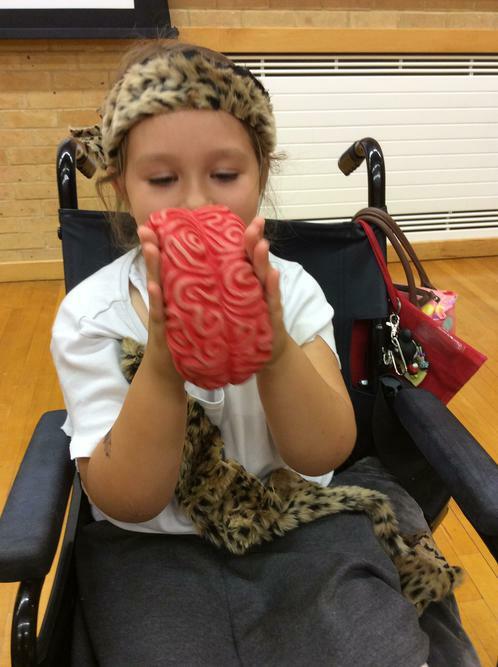 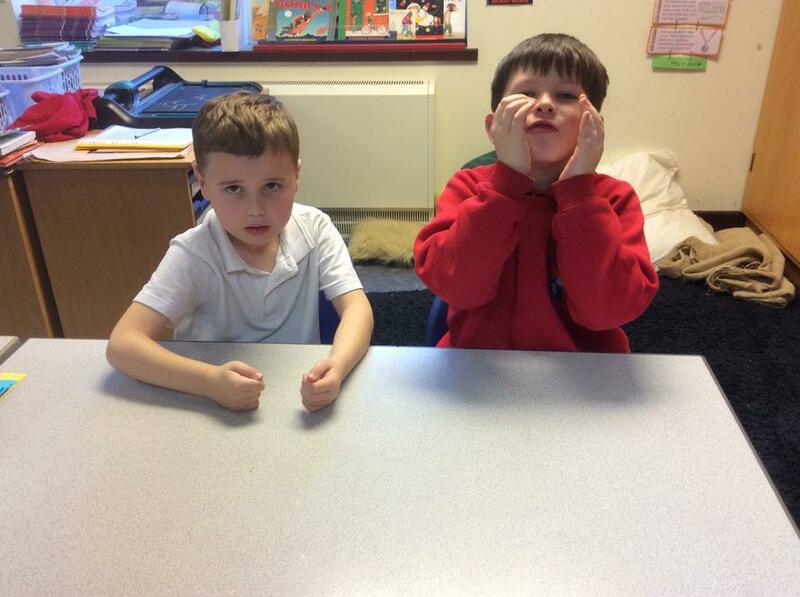 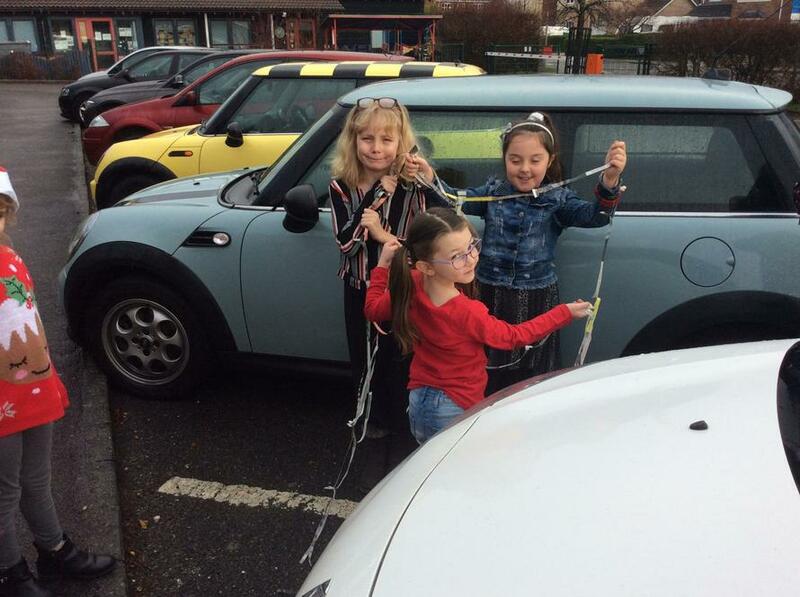 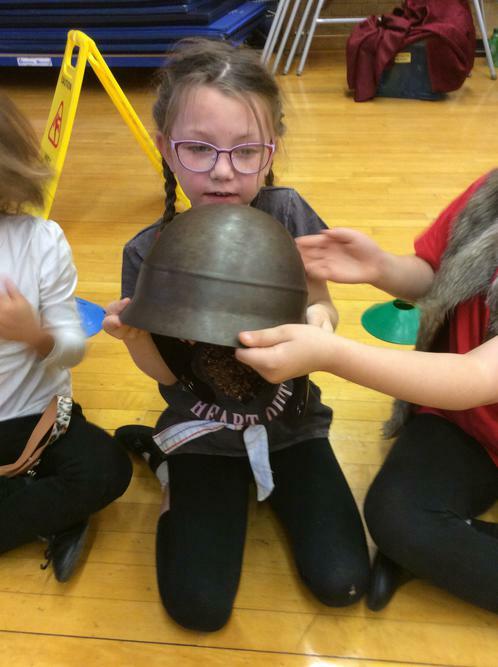 They have enjoyed learning new ways to remember them including singing them to pop songs! 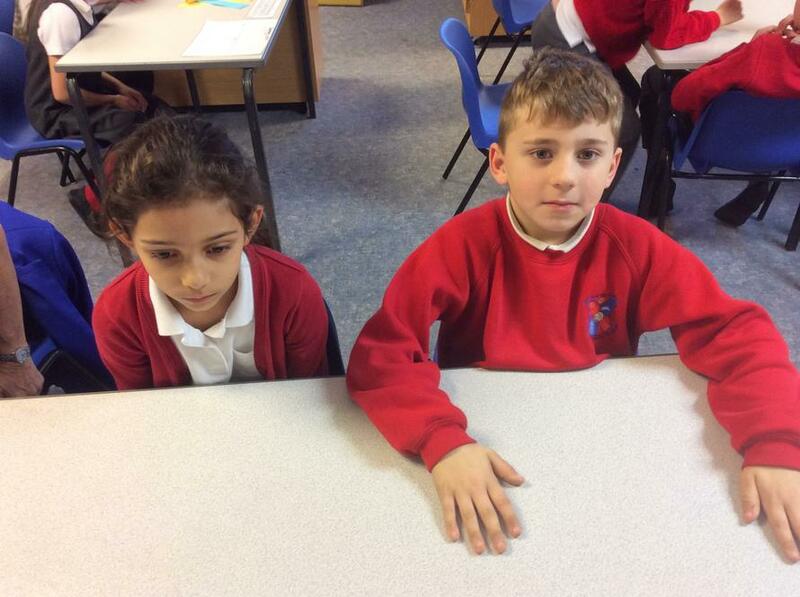 By the end of Year 3 all children should know these times tables in addition to 2, 5 and 10. 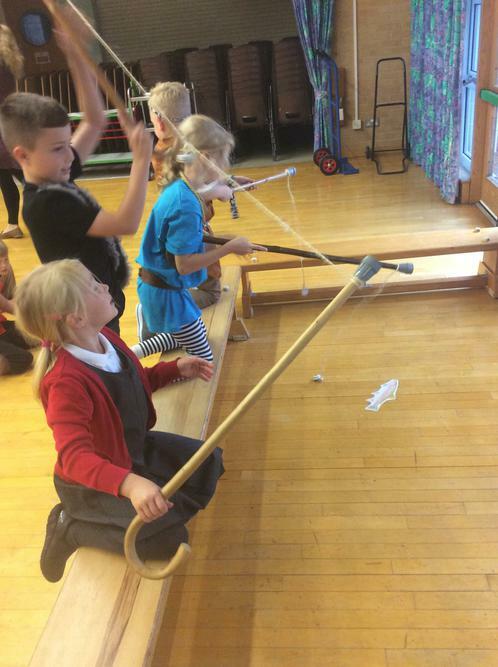 Please keep practising at home! 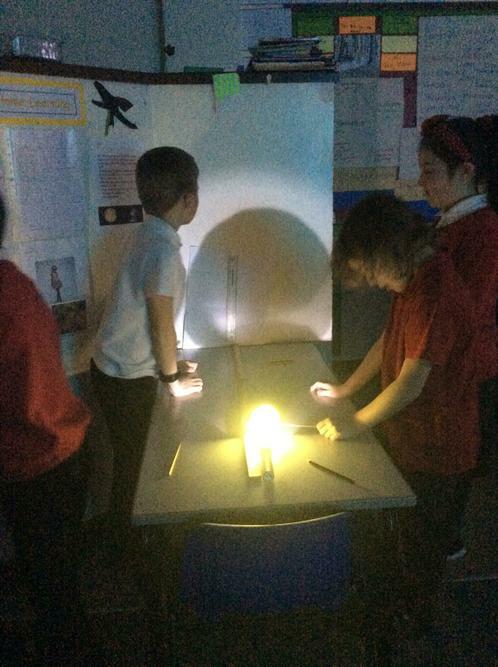 We have continued to look at ‘Light’ in Science. 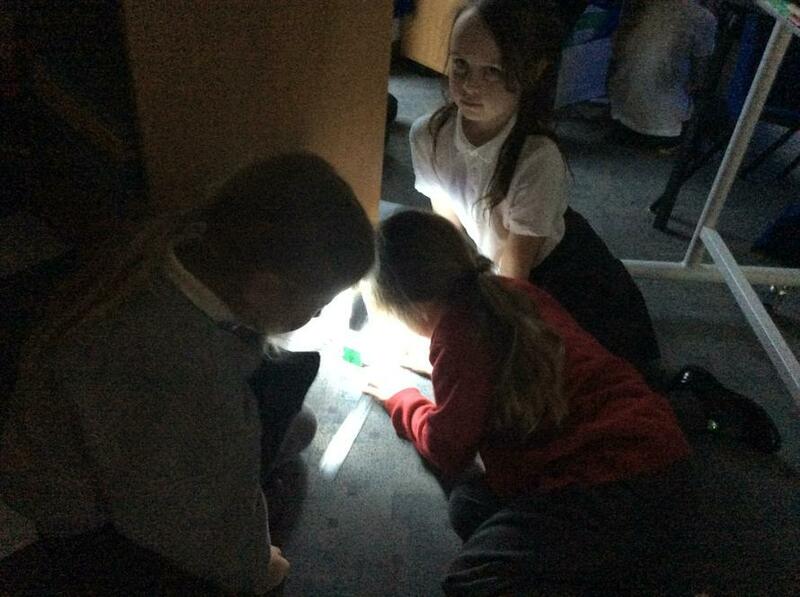 The children adjusted the angle of the light source to see what would happen to the shadow of the domino. 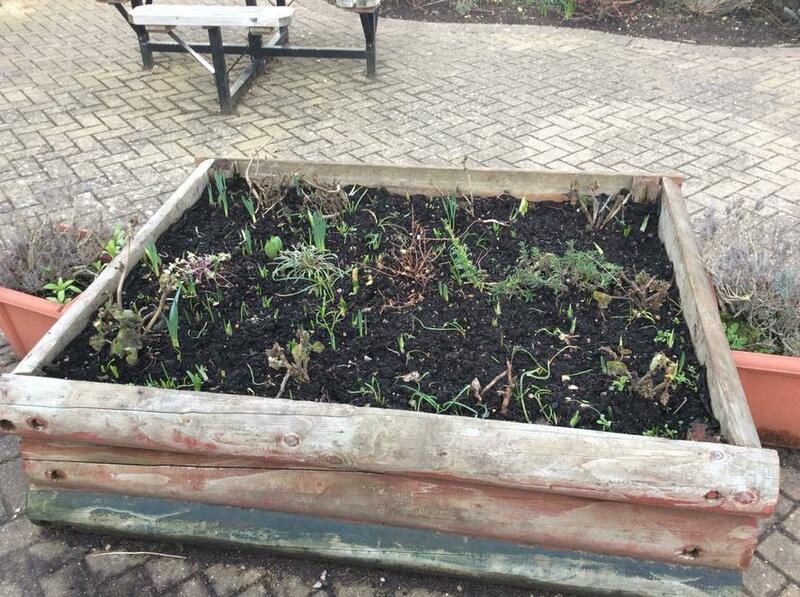 Our outdoor planting areas are starting to show signs that spring is just around the corner! 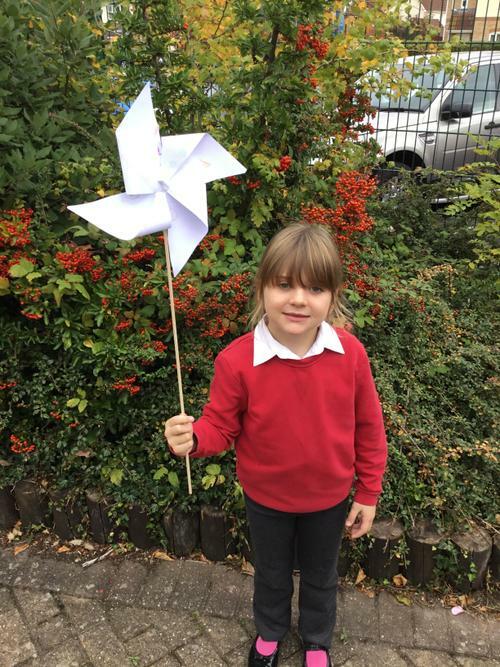 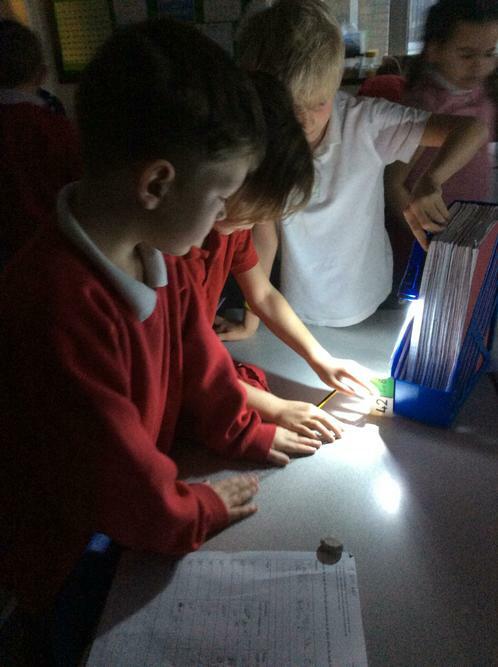 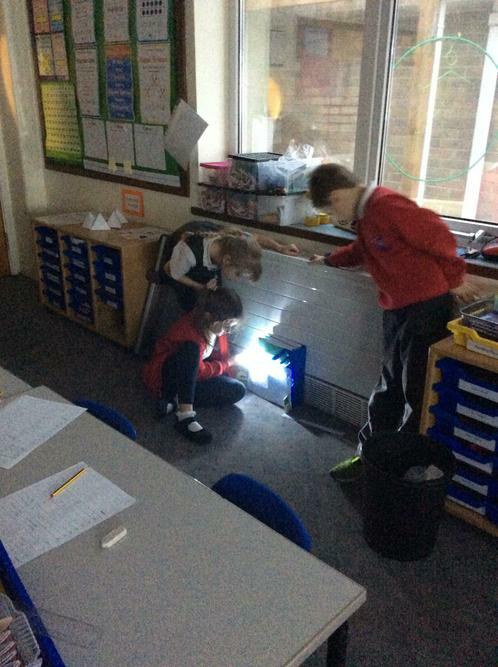 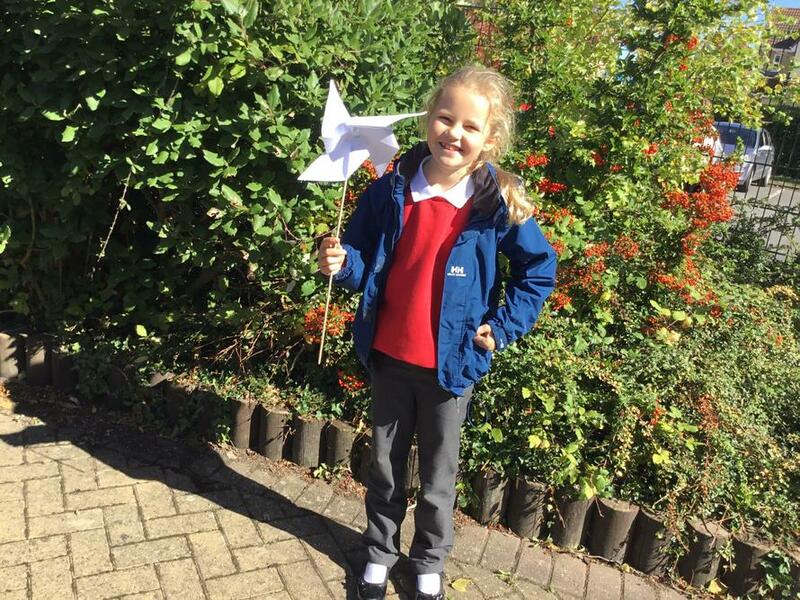 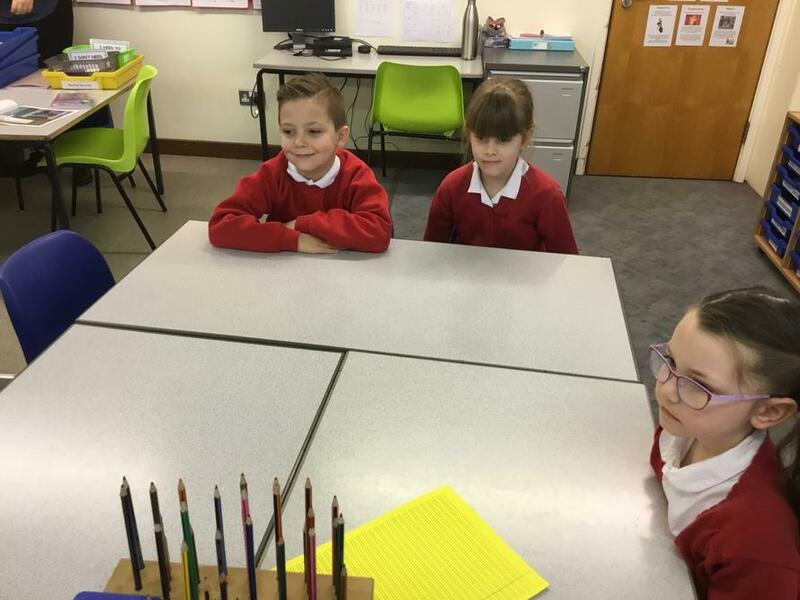 In Science this week, Year 3 have continued to look at ‘Light’. 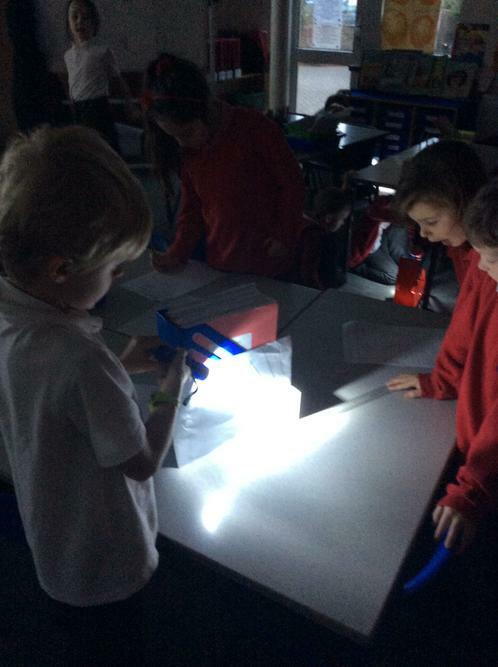 They made shadow puppets and measured how moving the light source altered the size of the shadow. 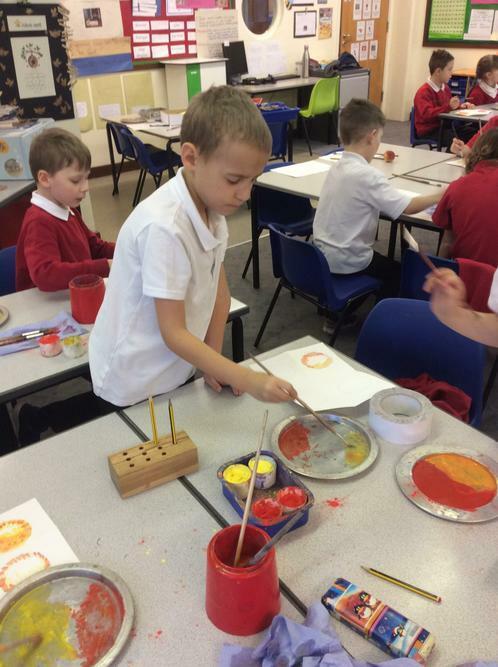 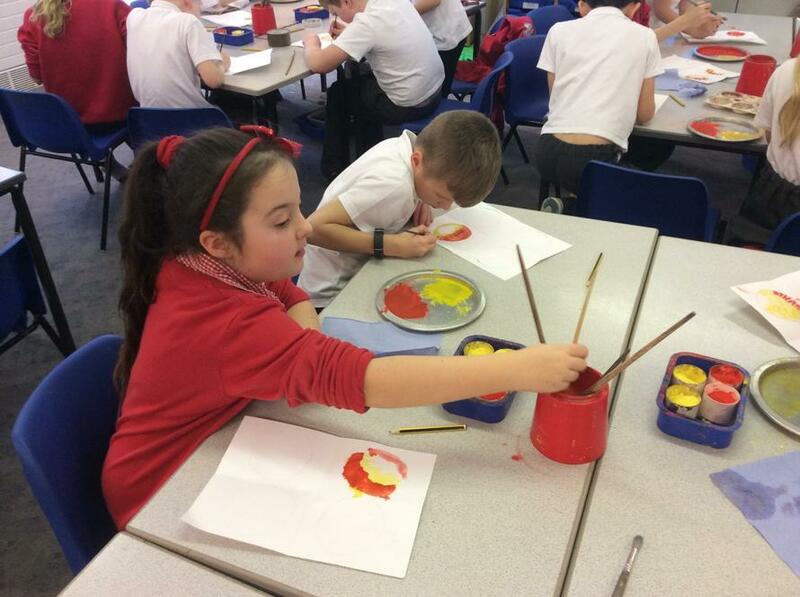 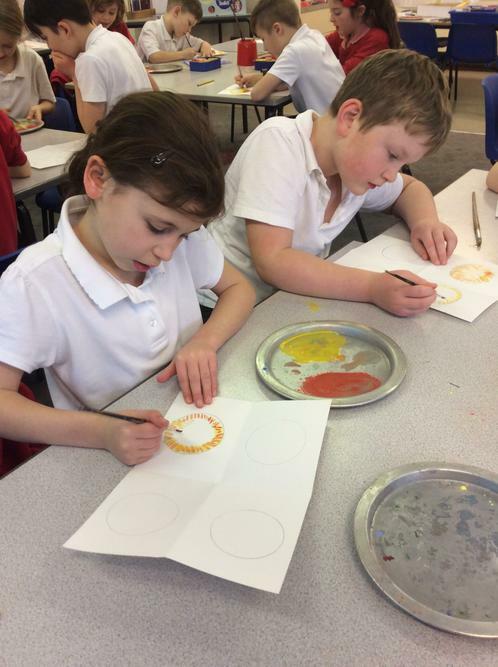 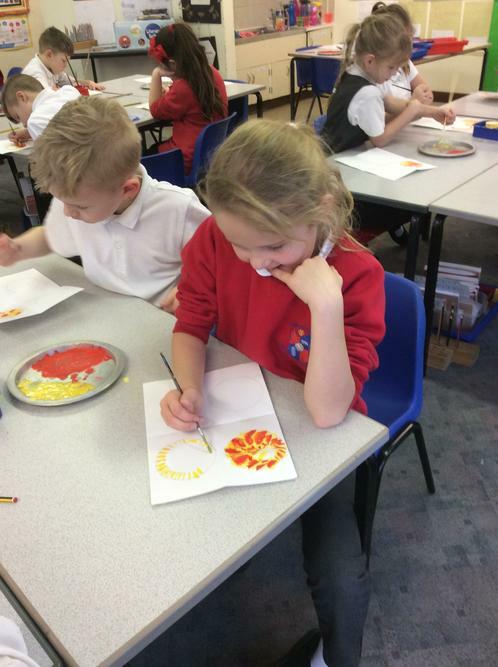 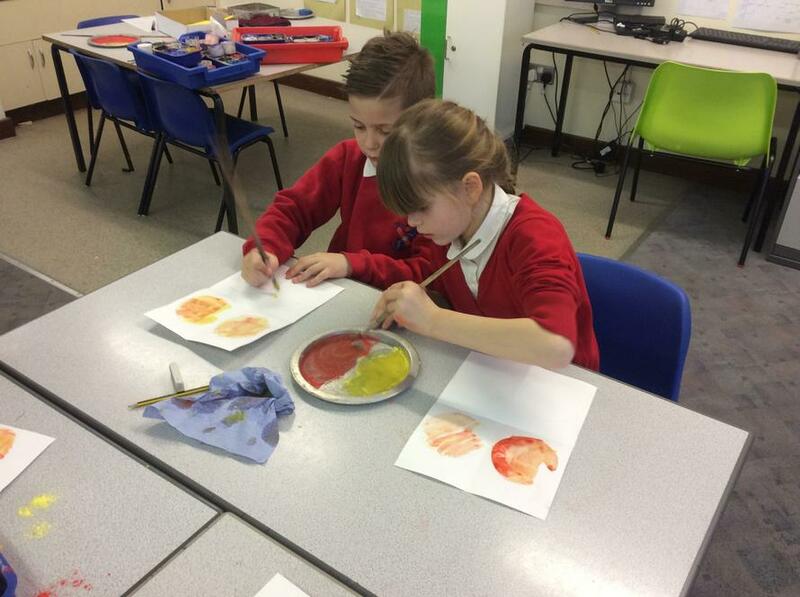 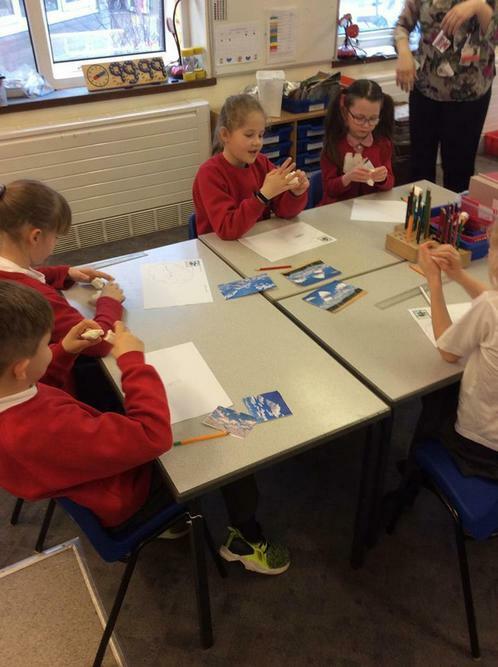 In Art, the children were using brushes to create different effects in painting. 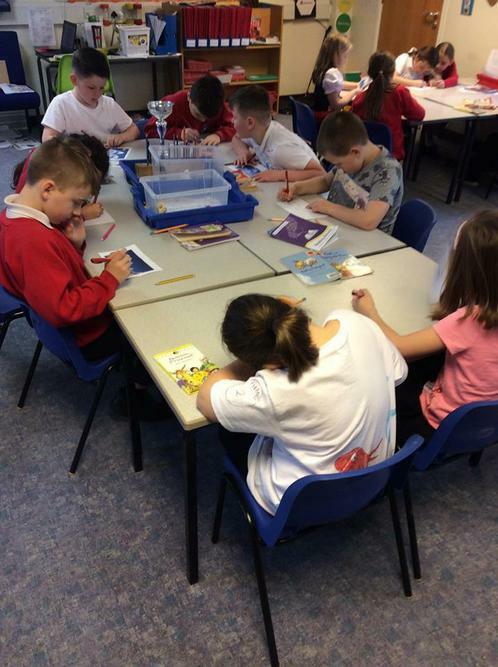 They practiced hatching, cross-hatching, stippling and blending. 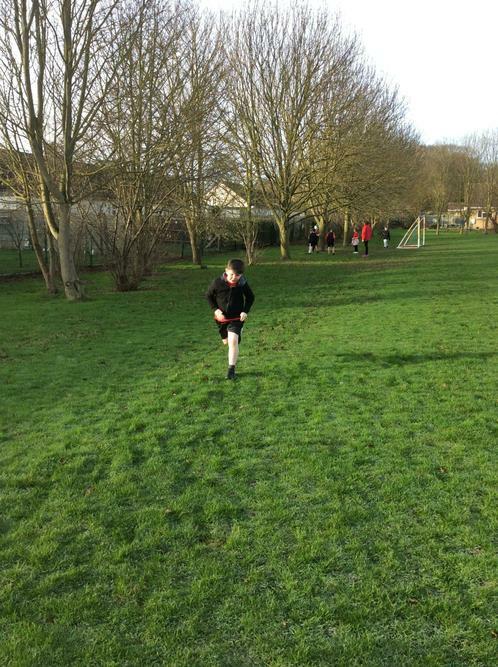 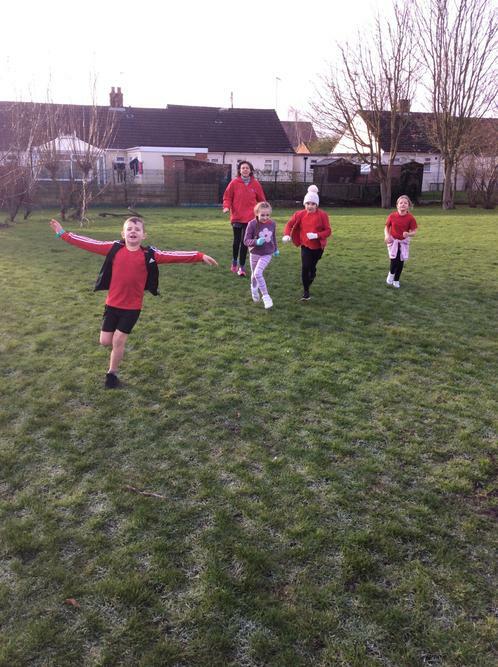 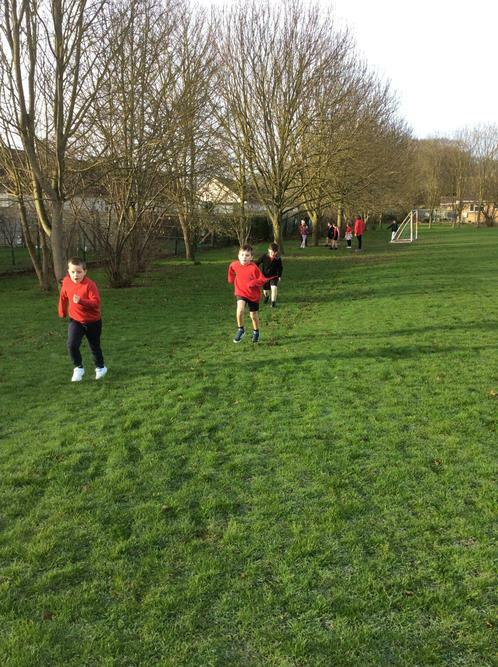 Class 7 wrapped up warm and took to the field on Tuesday morning to have a refreshing cross country run which they all enjoyed – even Mrs Lacey! 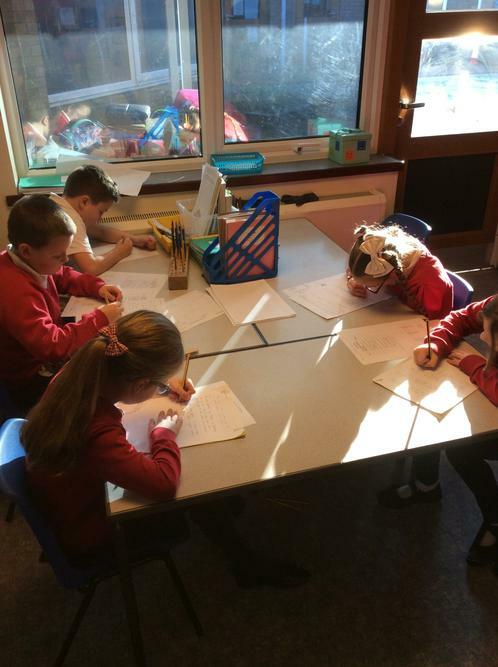 For their final piece of work on ‘Into the Forest’ the children have planned and written their own version of the story. 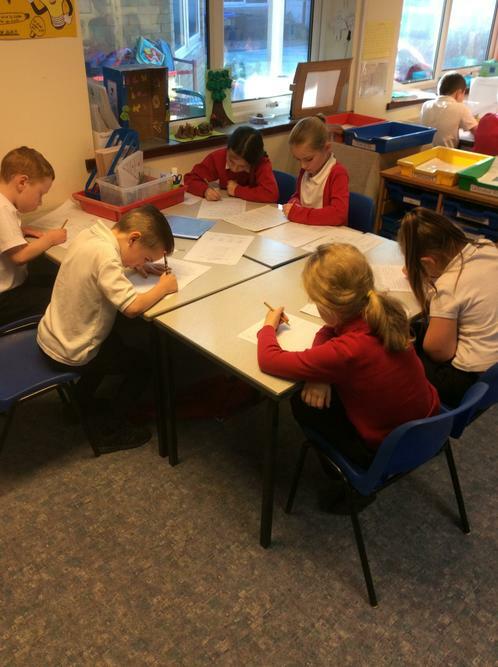 They have focused on paragraphs and punctuating direct speech. 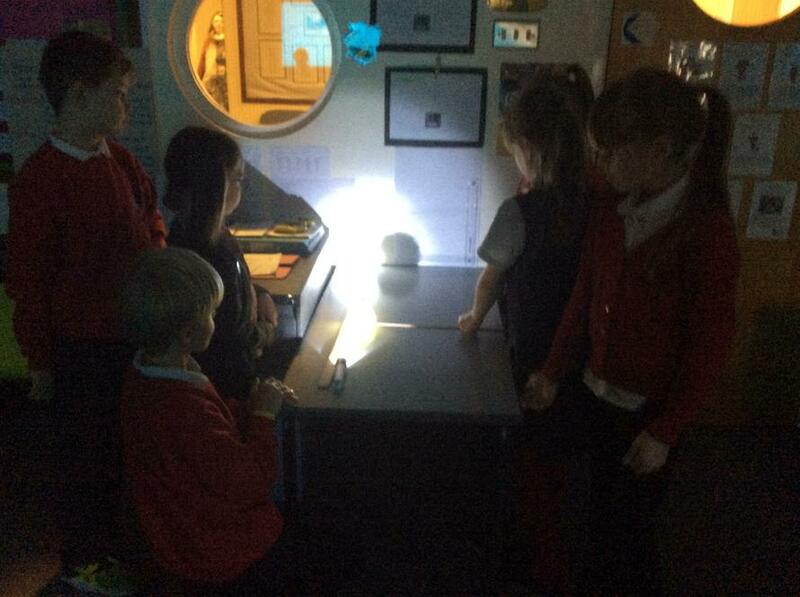 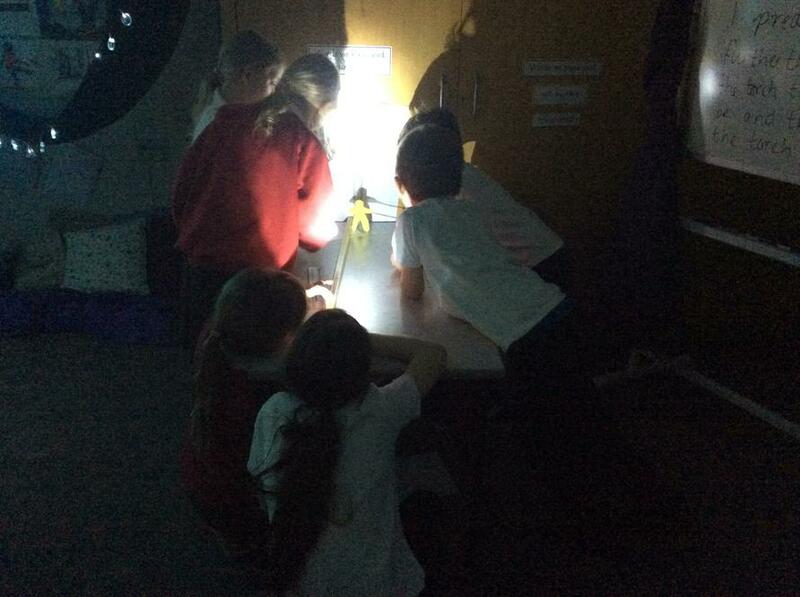 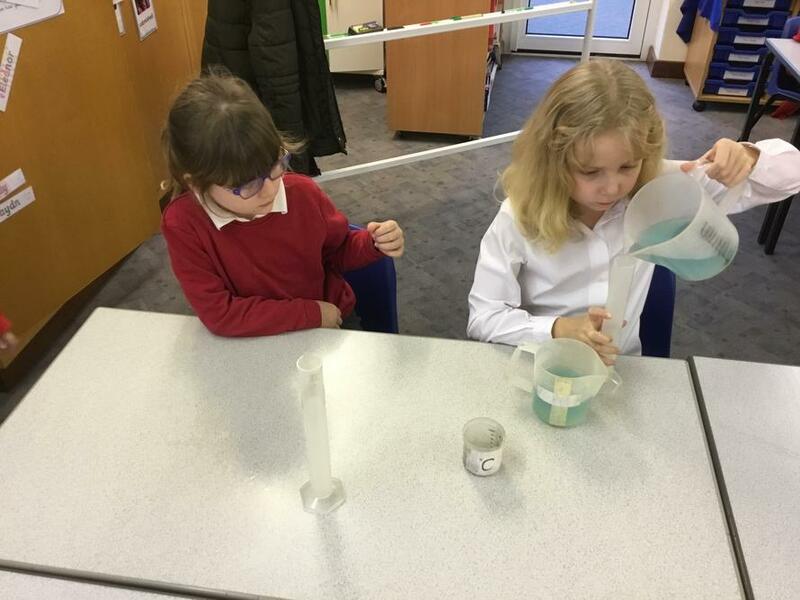 This week, Year 3 have been looking at ‘Light’ in Science. 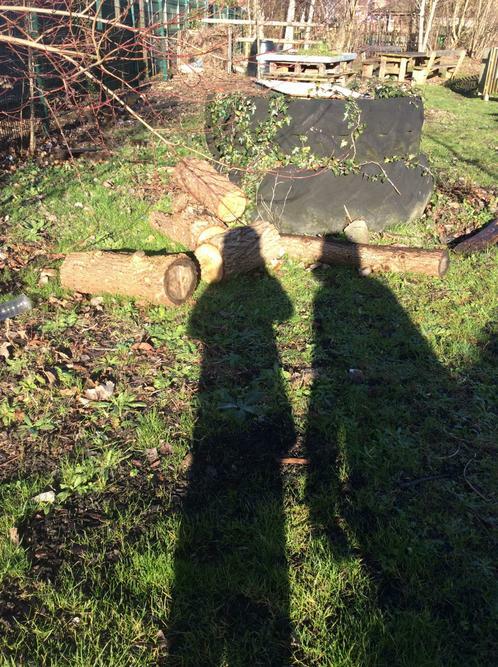 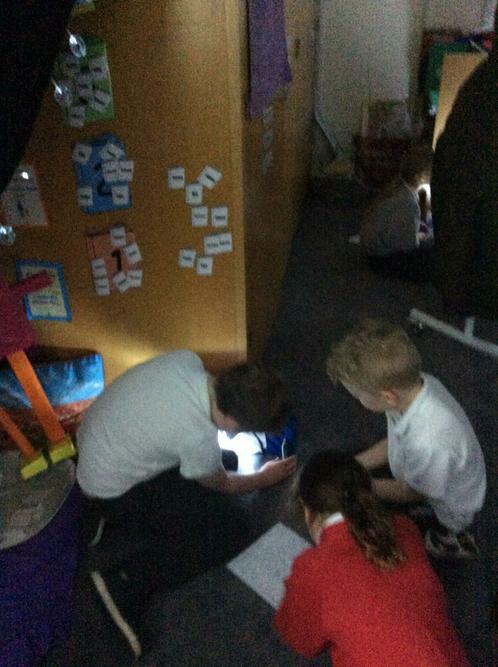 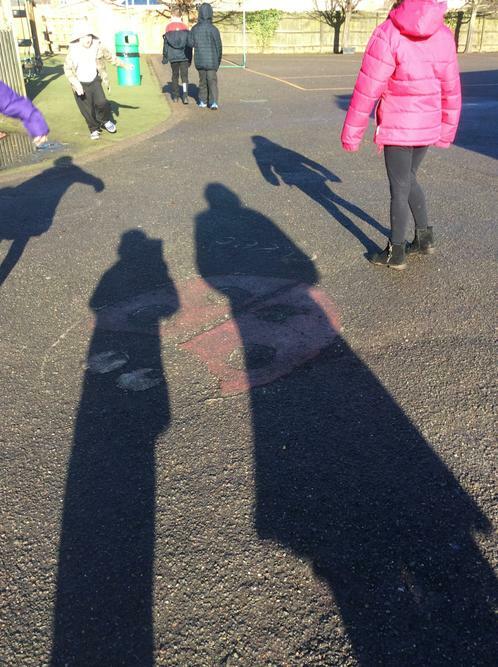 The children went on a shadow hunt and thought about how shadows change depending on the location and brightness of the light source. 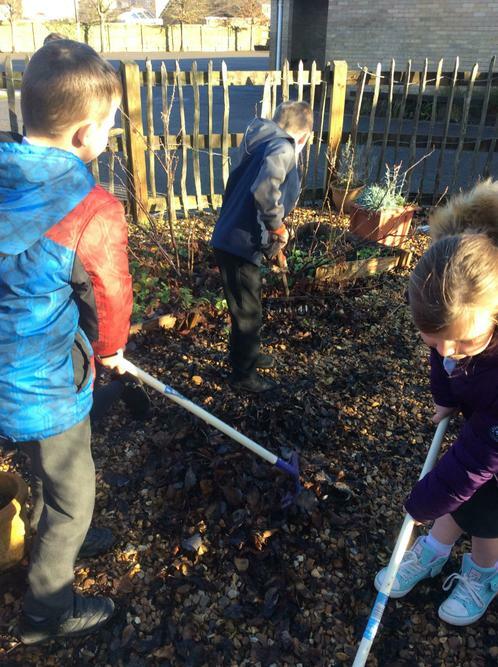 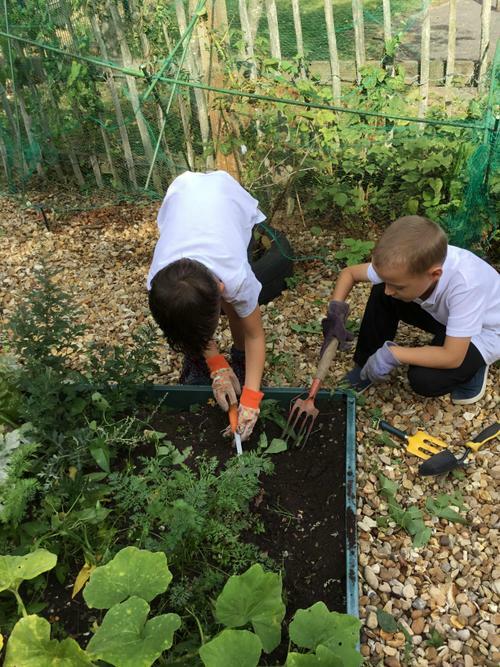 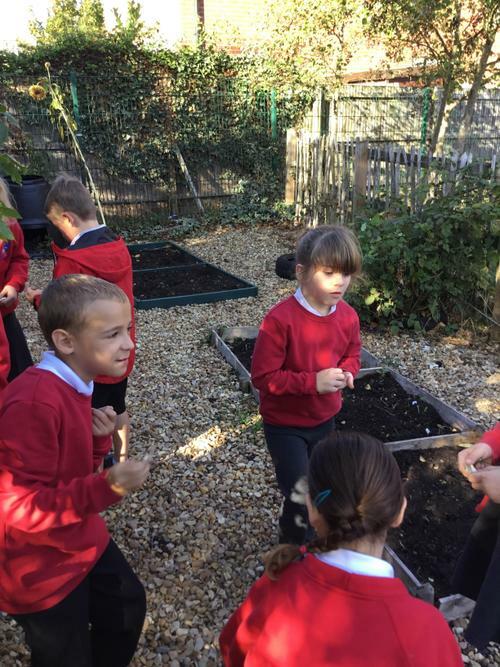 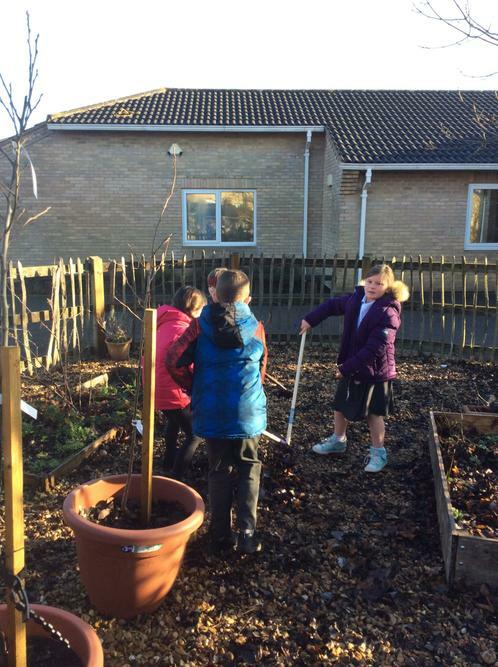 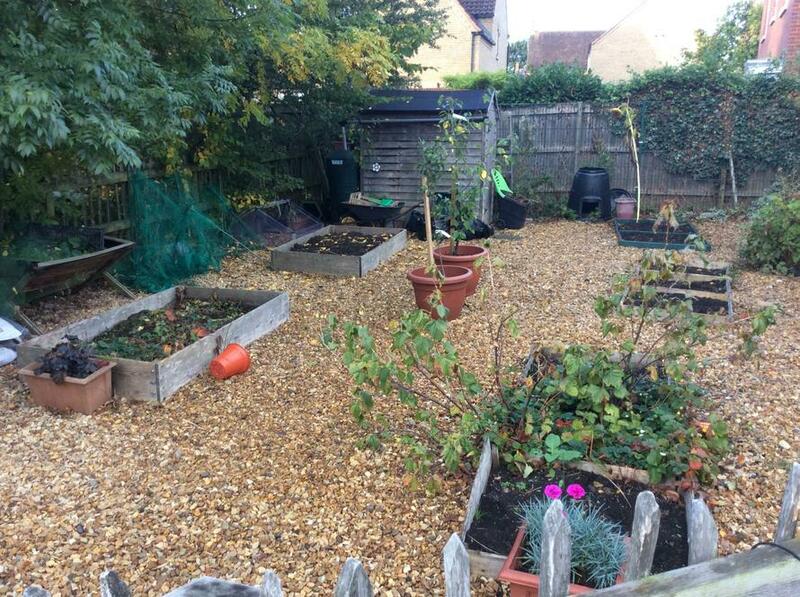 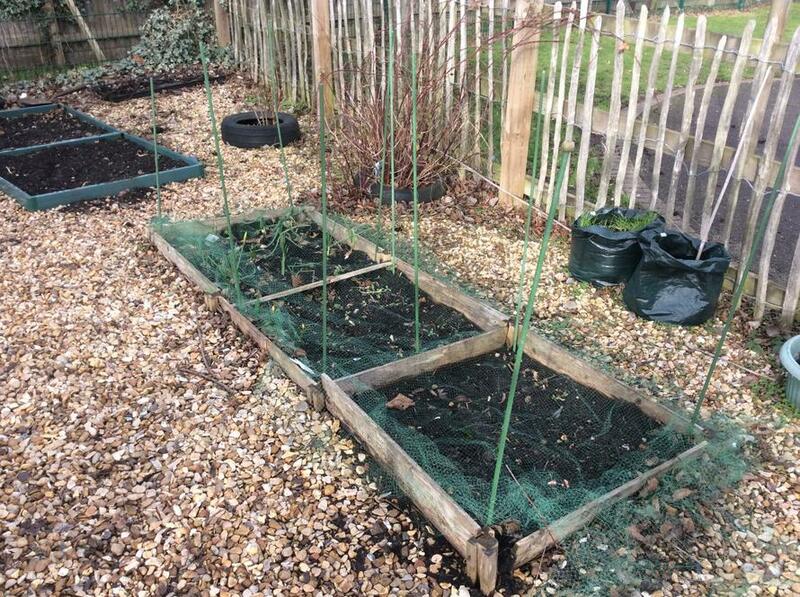 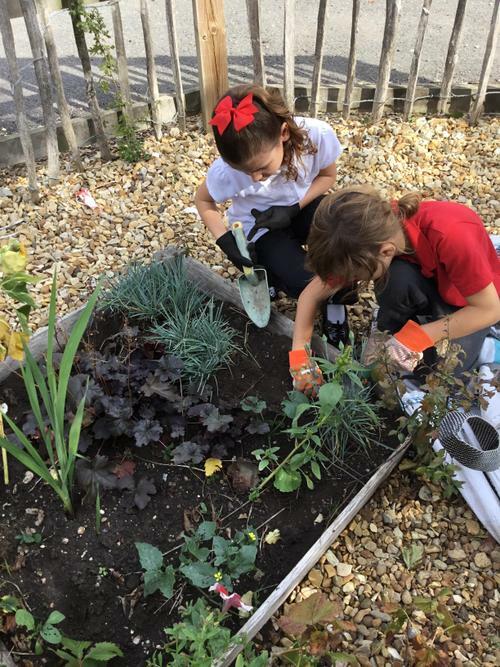 In the outdoor area, the children have been tidying up the allotment and tending to the flower beds. 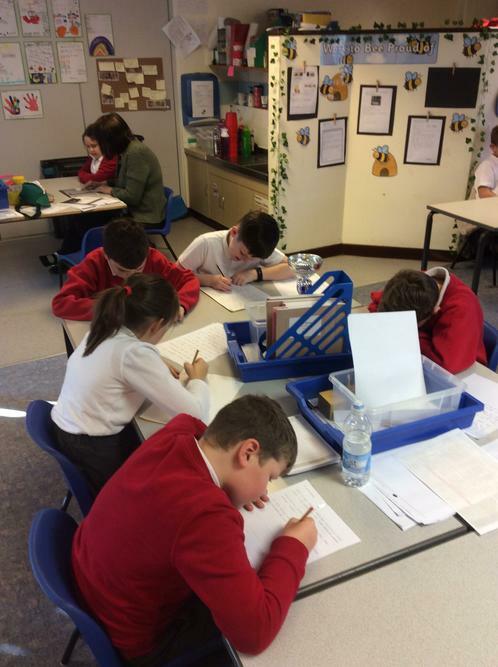 Play scripts have been the focus of English this week. 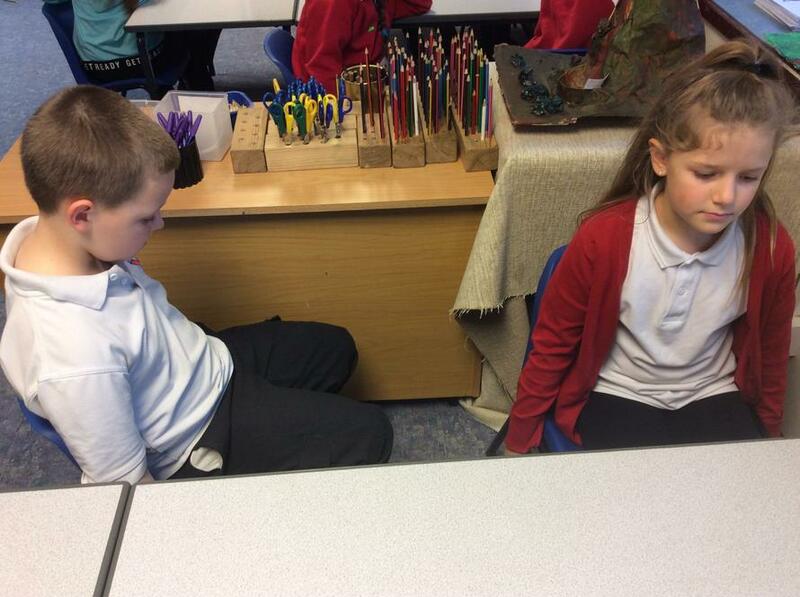 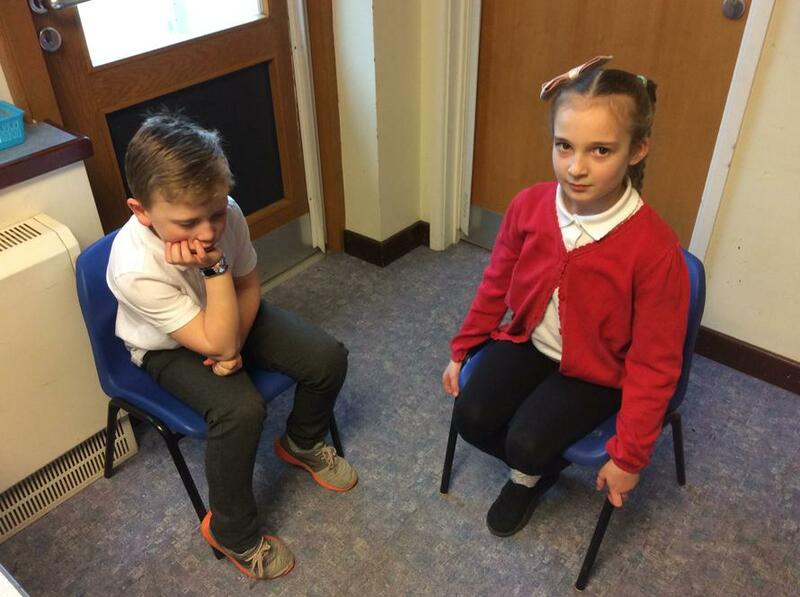 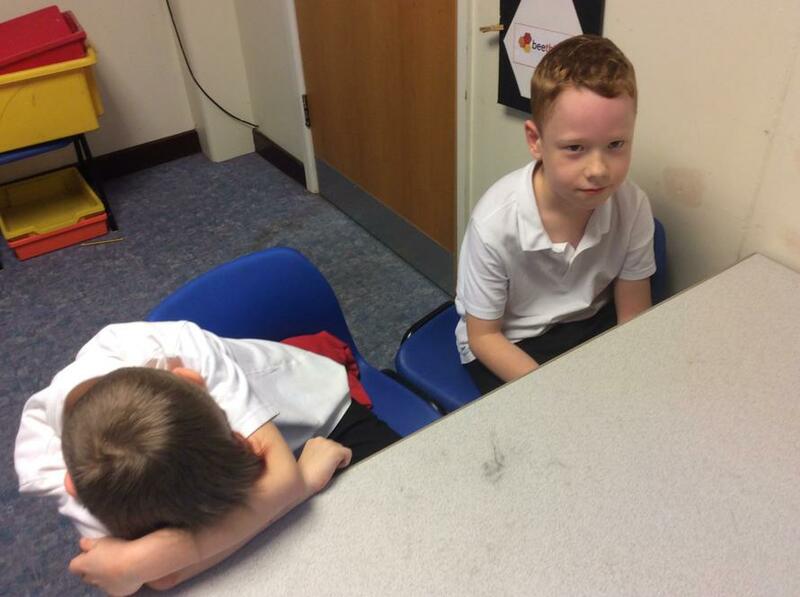 The children have adapted the story ‘Into the Forest’ into a play script. 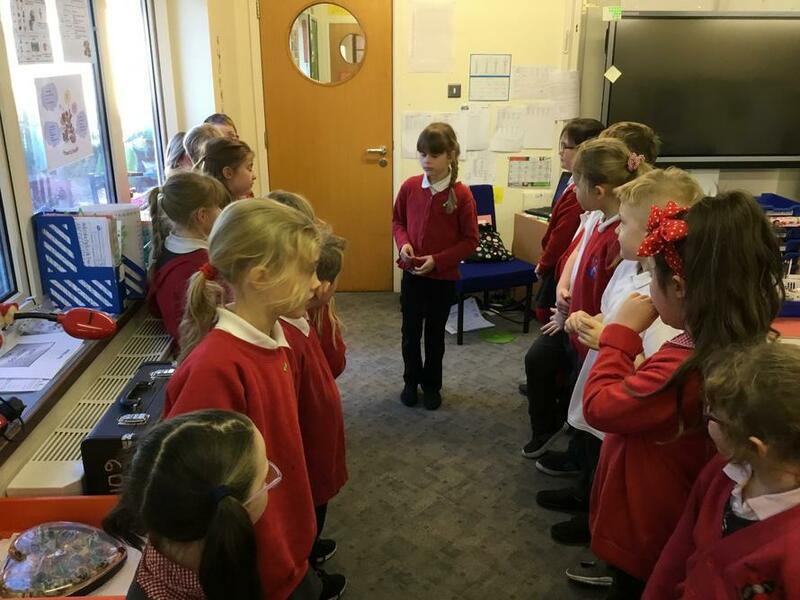 They will perform them to the rest of the class in small groups. 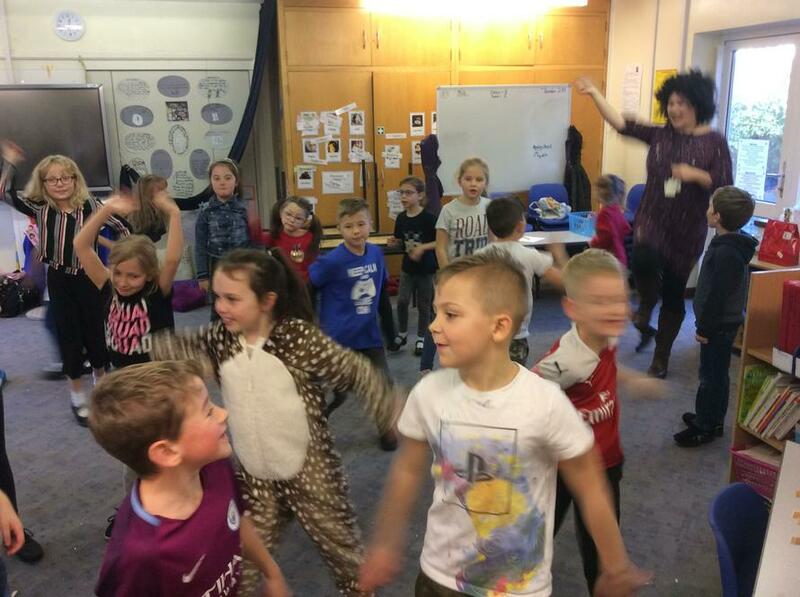 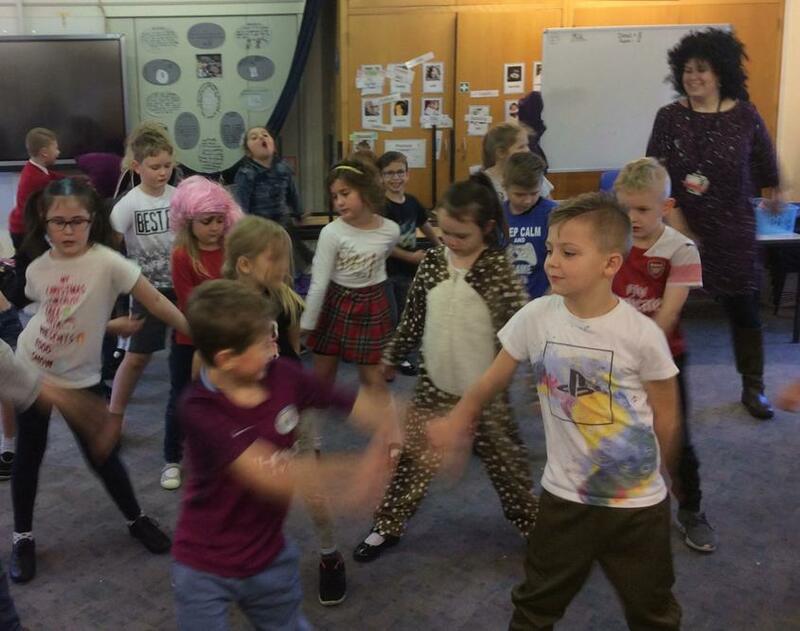 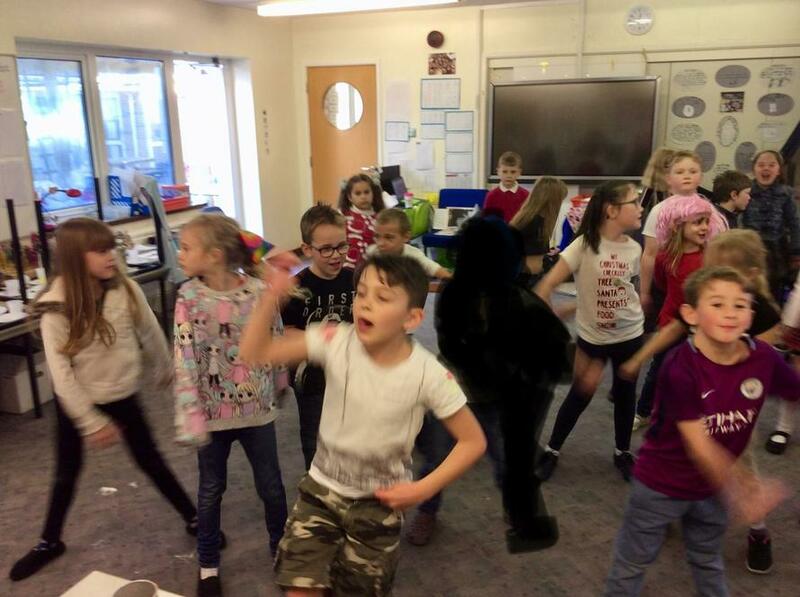 Class 8 have been practising their dance to ‘High Hopes’ by Panic! 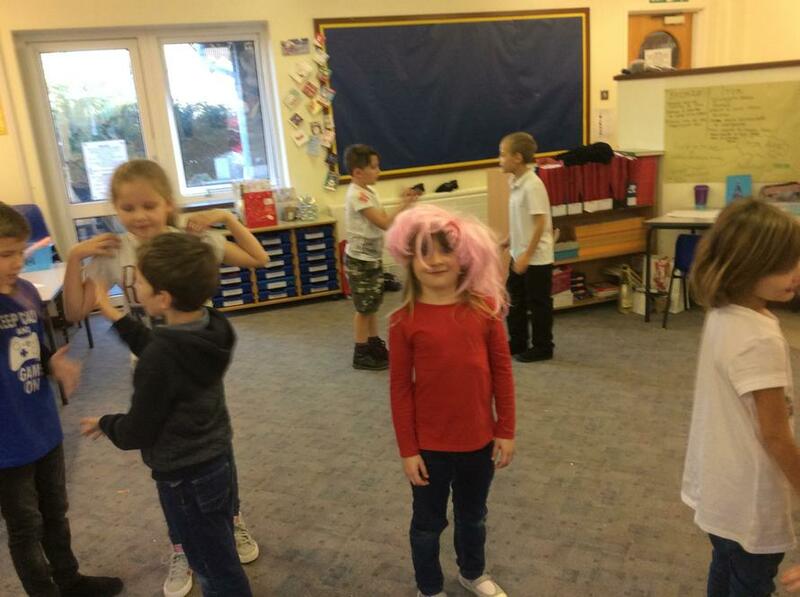 At the Disco. 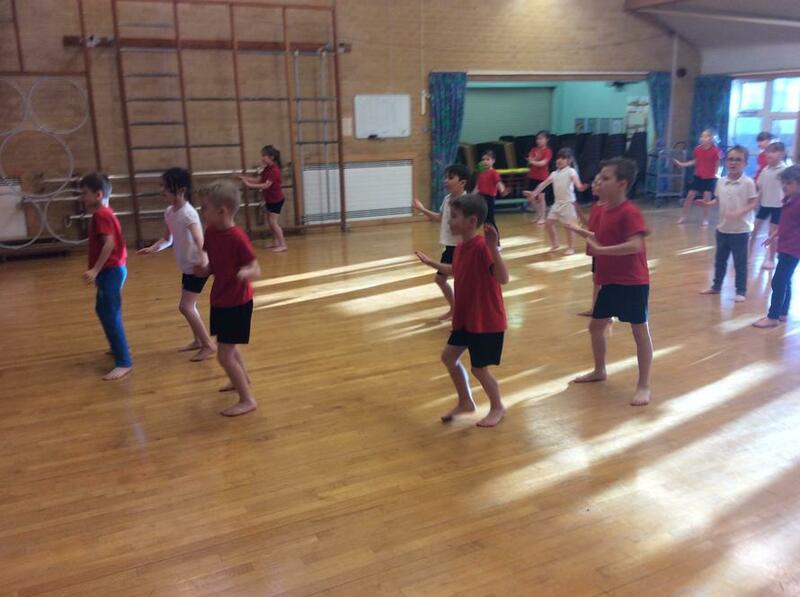 They have been perfecting their armography and trying to keep to the beat! 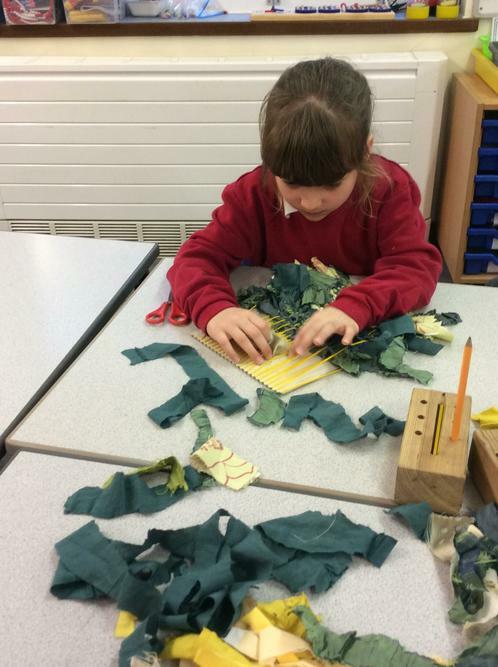 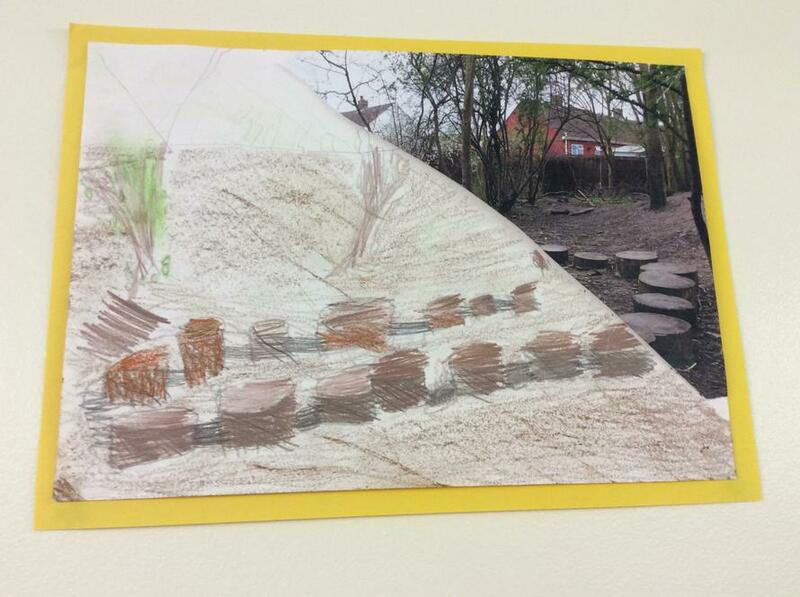 Year 3 have continued to look at the book ‘Into the Forest’ this week. 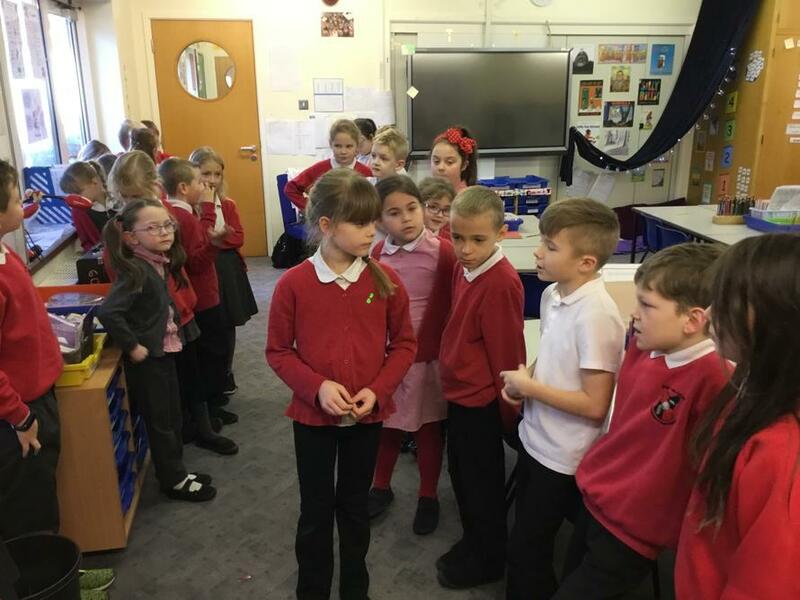 Here they are creating a conscience alley to rehearse a balanced argument. 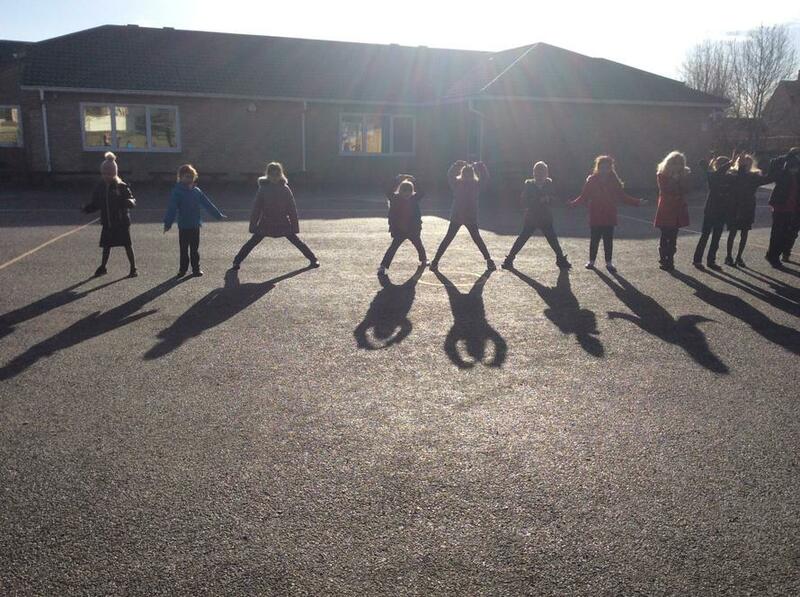 In computing the children have taken pictures around school to represent the letters of the alphabet. 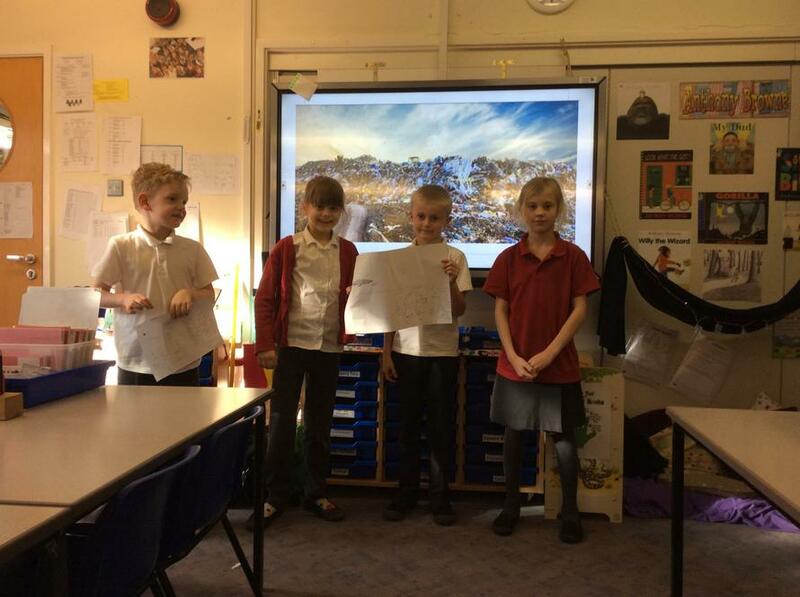 Then they have manipulated and improved the images. 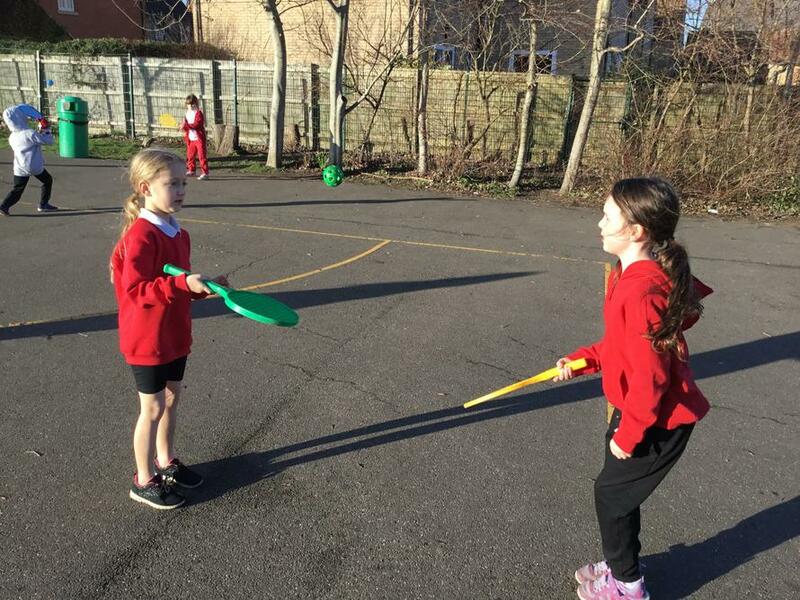 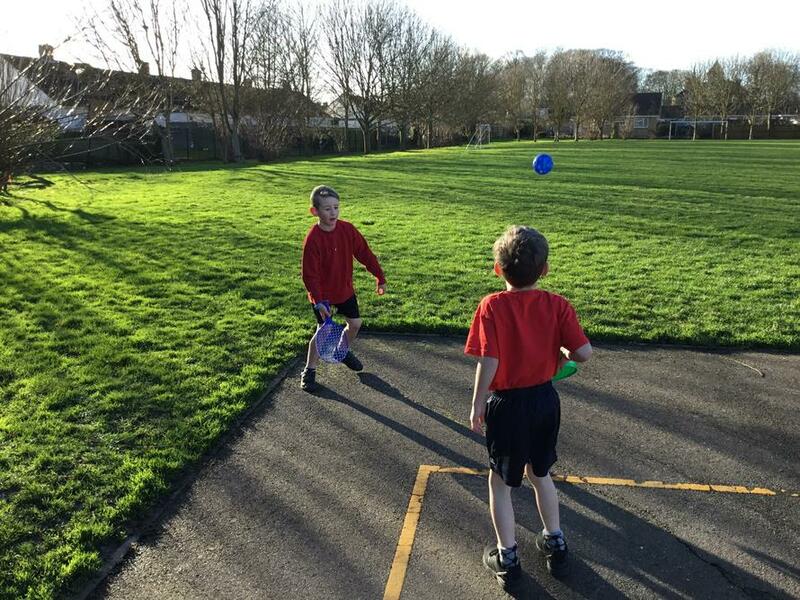 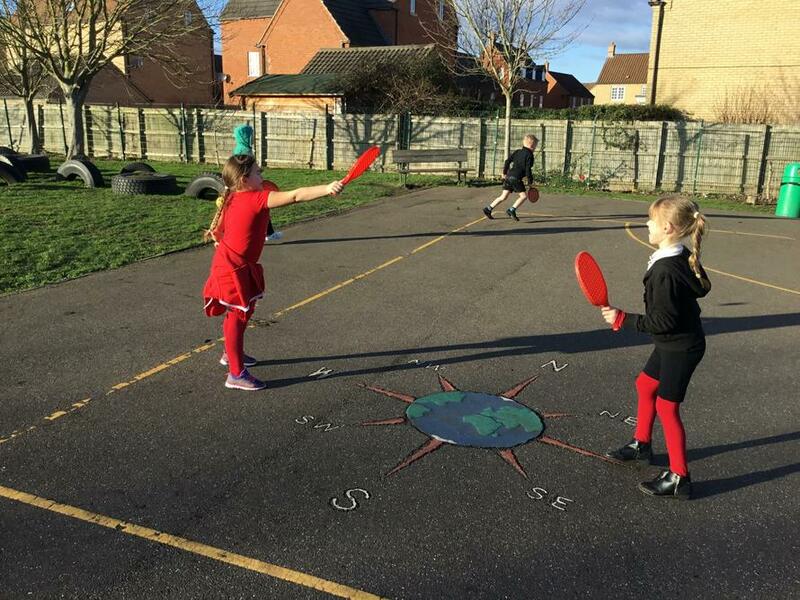 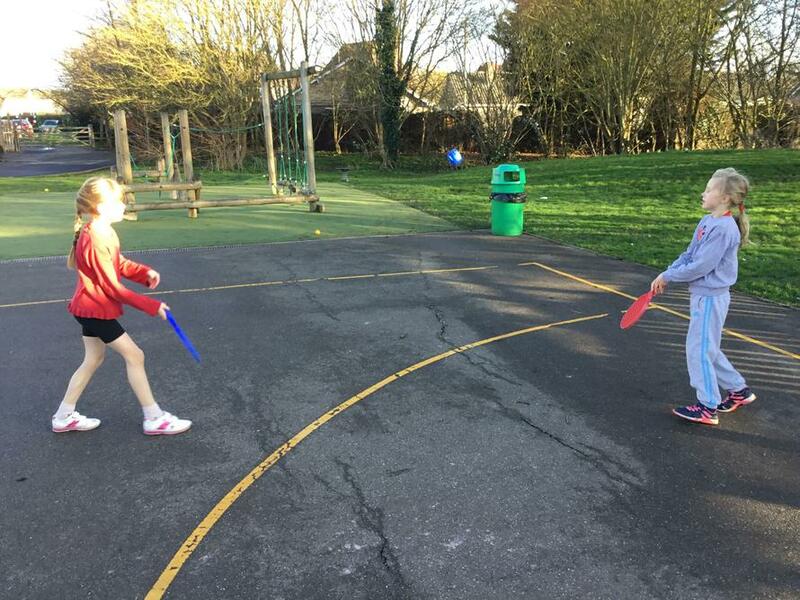 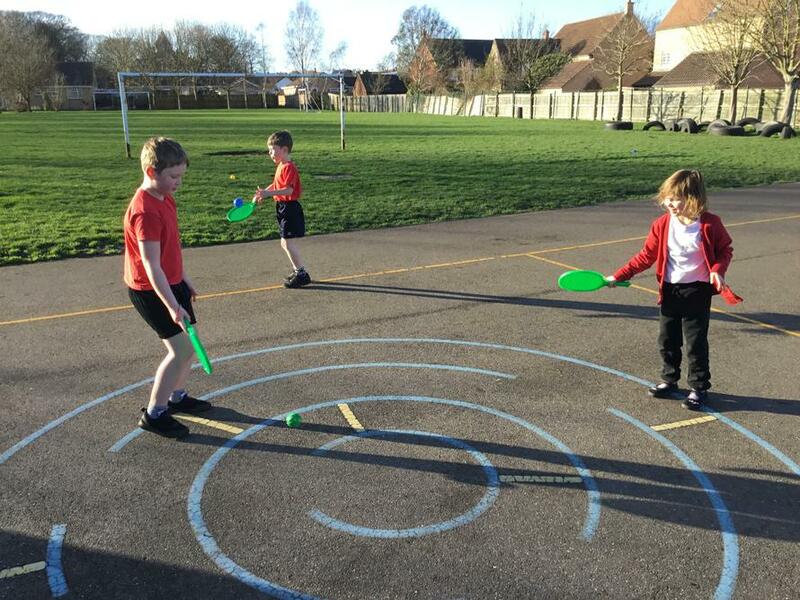 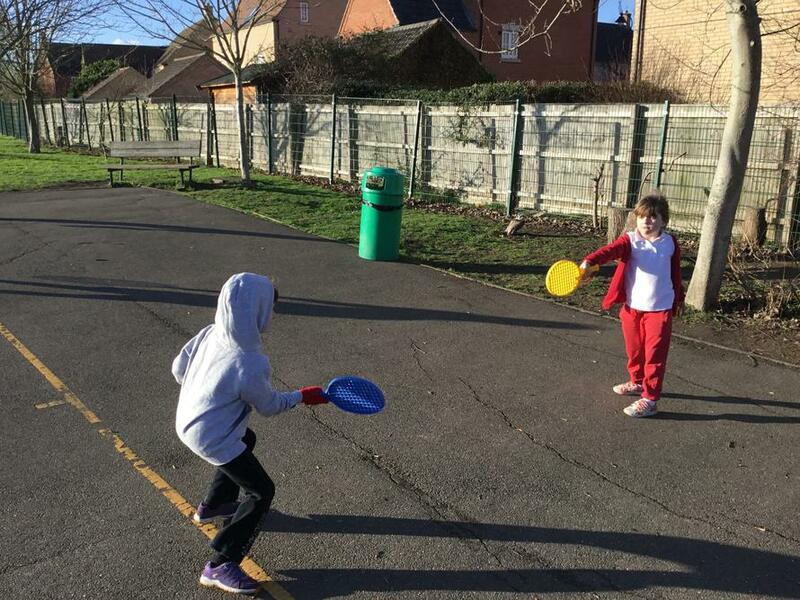 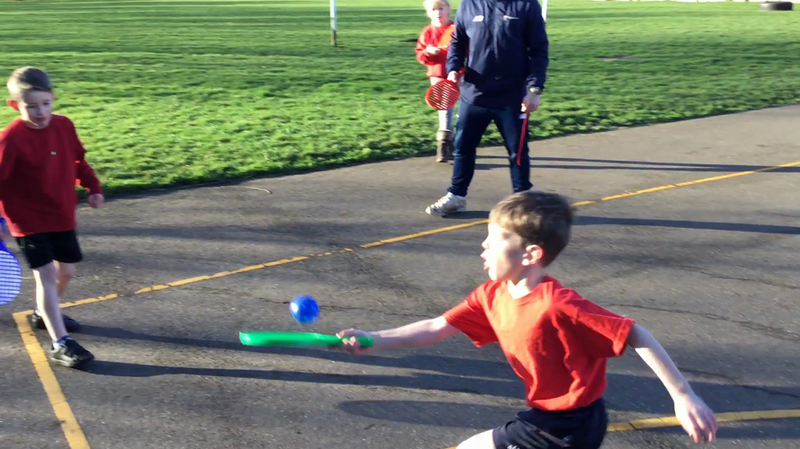 In PE this week Class 8 have been using rackets to practice their sending and receiving technique with Mr Chamberlain, PE Teacher. 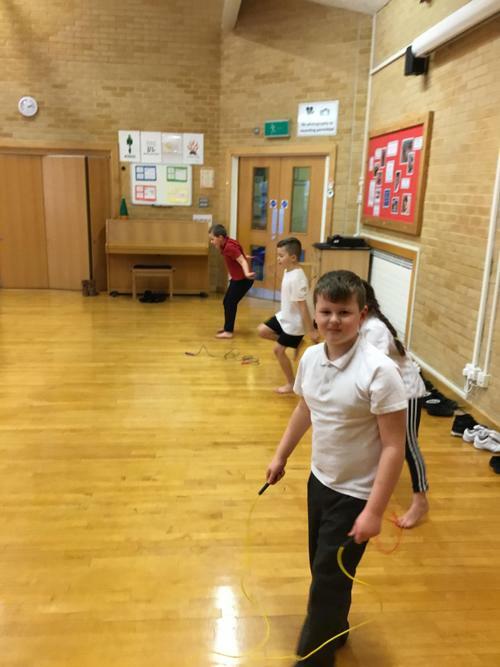 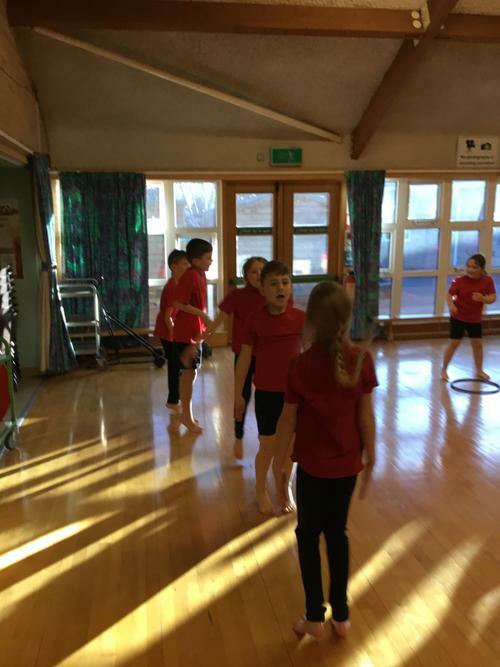 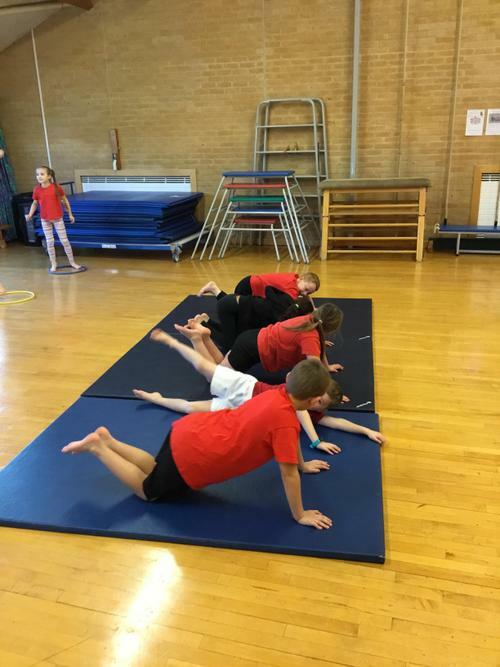 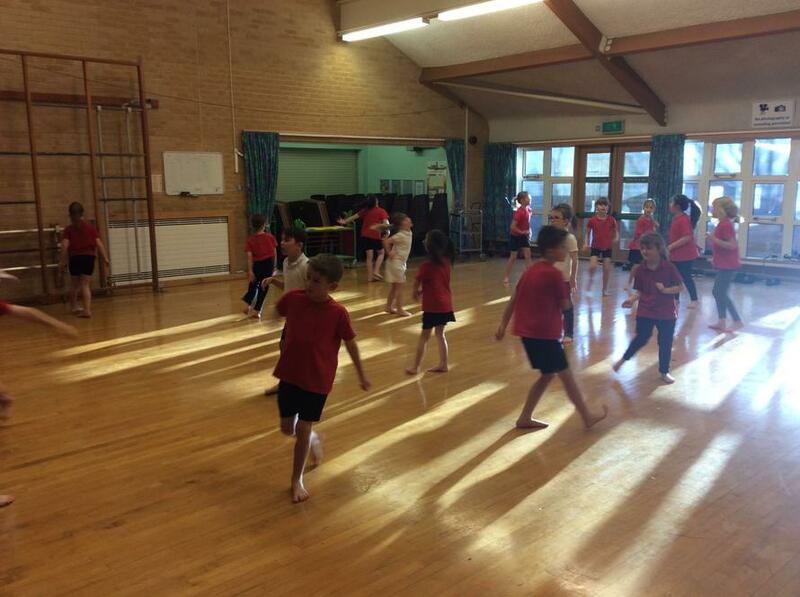 Class 7 had a circuits session to help build up their fitness levels. 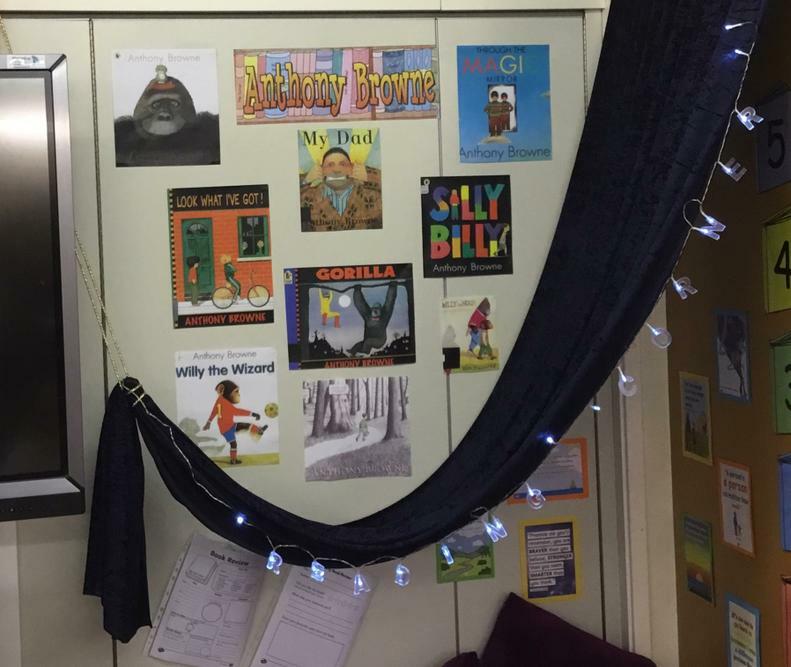 This week we have been enjoying books by the author Anthony Browne. 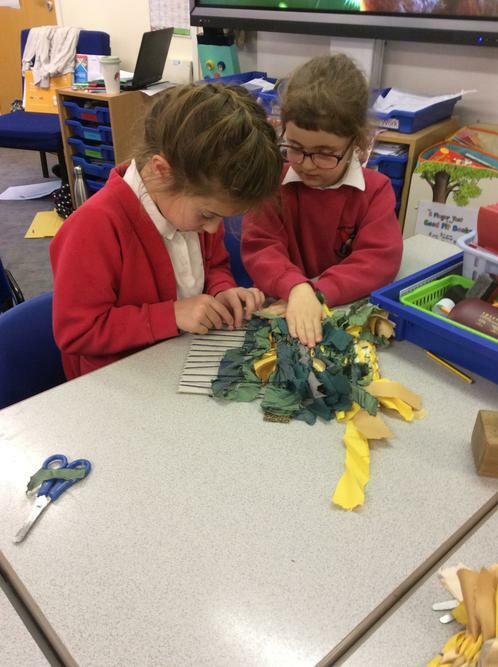 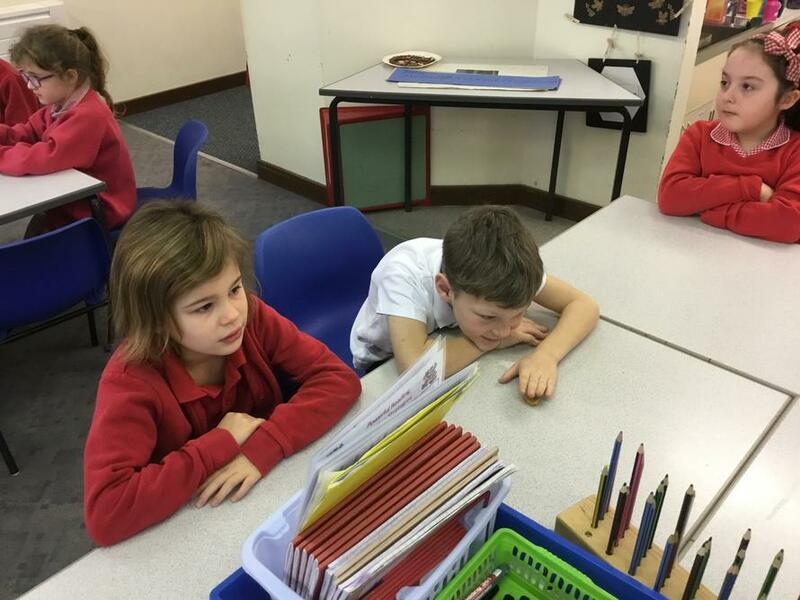 In English, the children have been looking at the story ‘Into the Forest’. 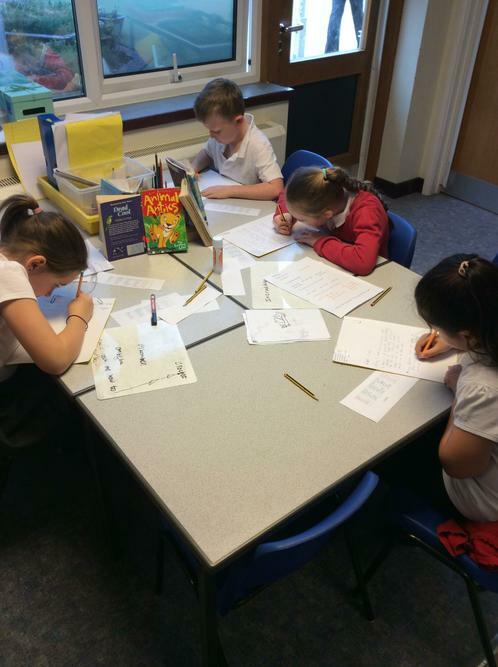 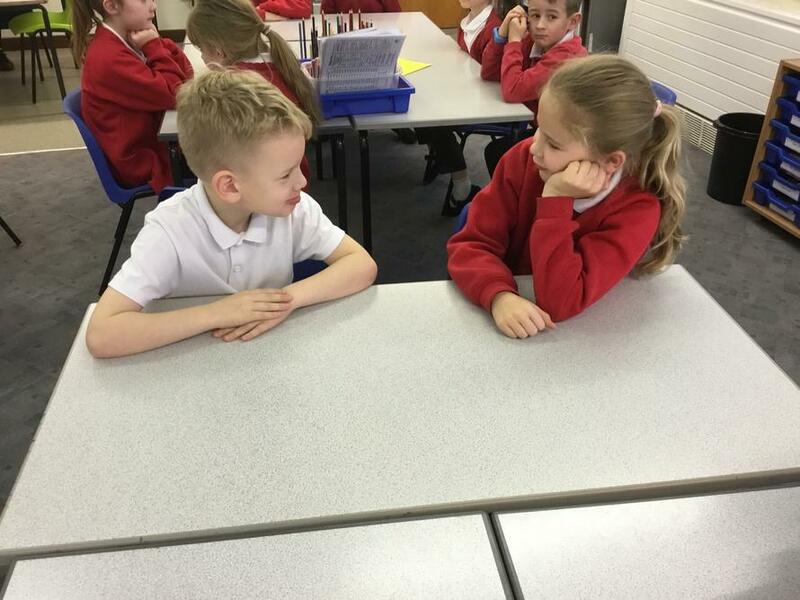 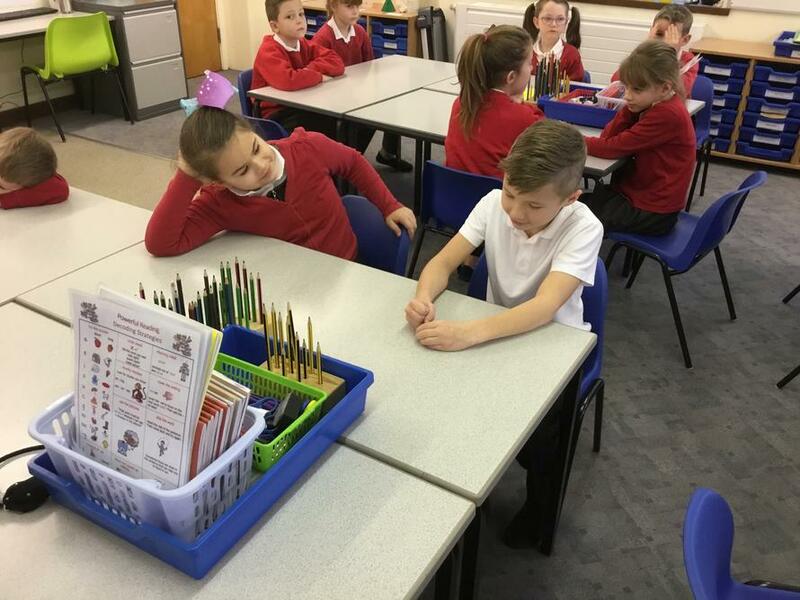 We have been making predictions about the story from the front cover, writing poetry and acting out a scene. 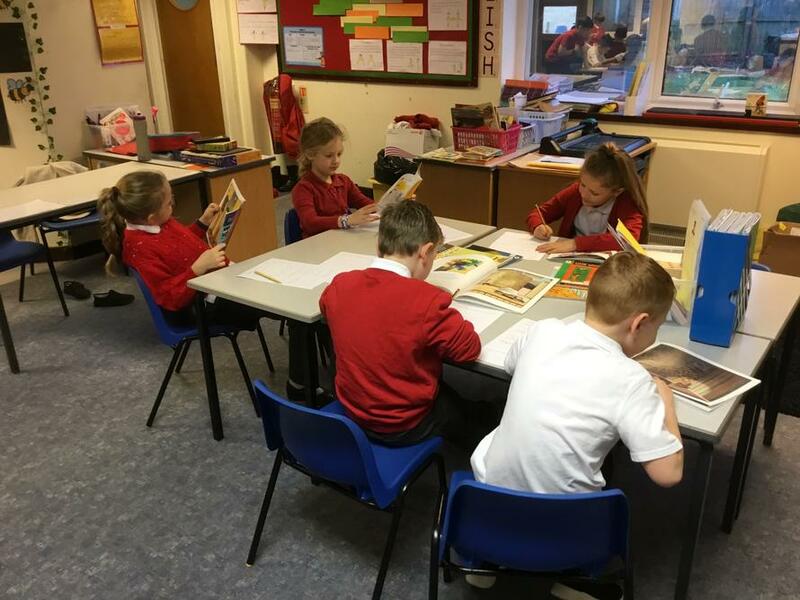 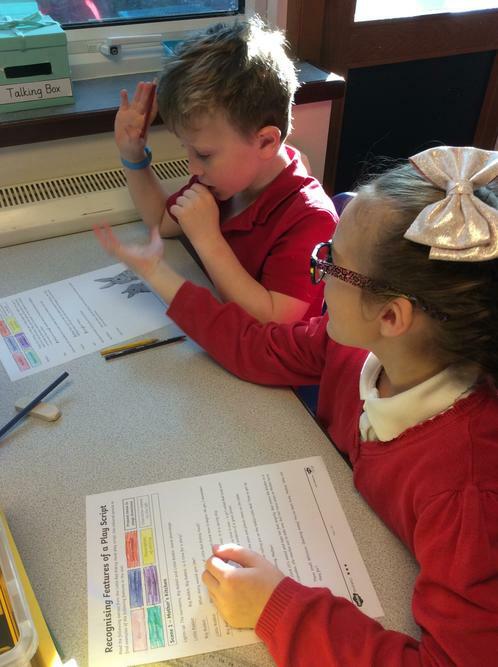 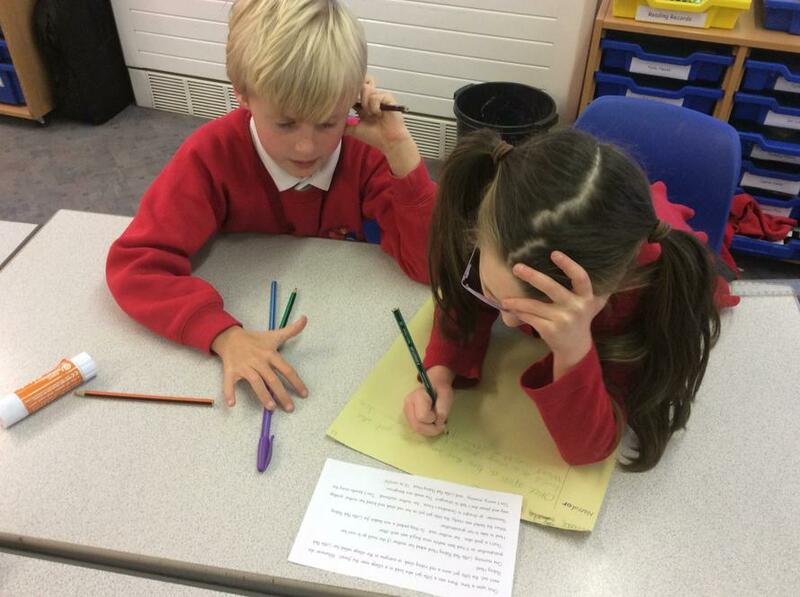 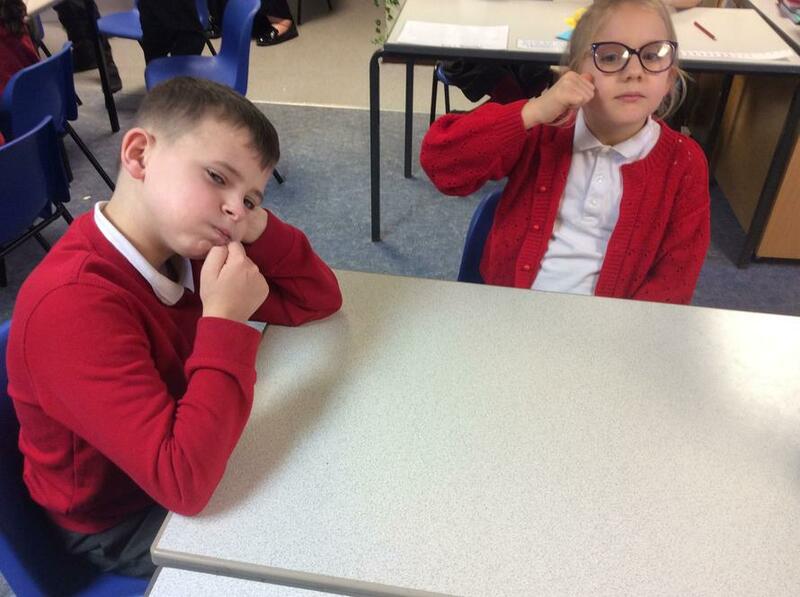 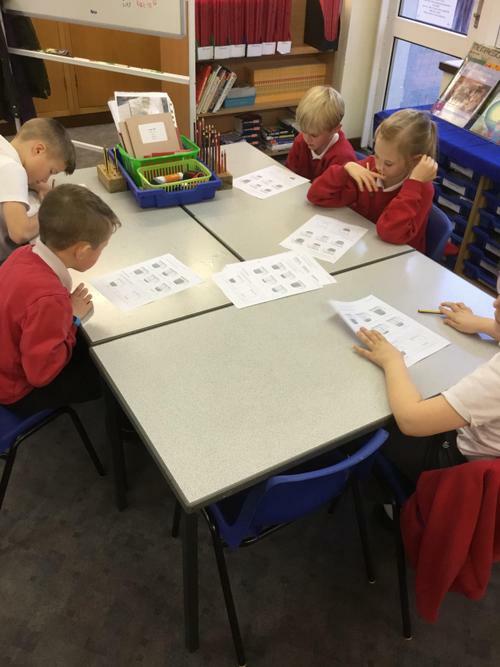 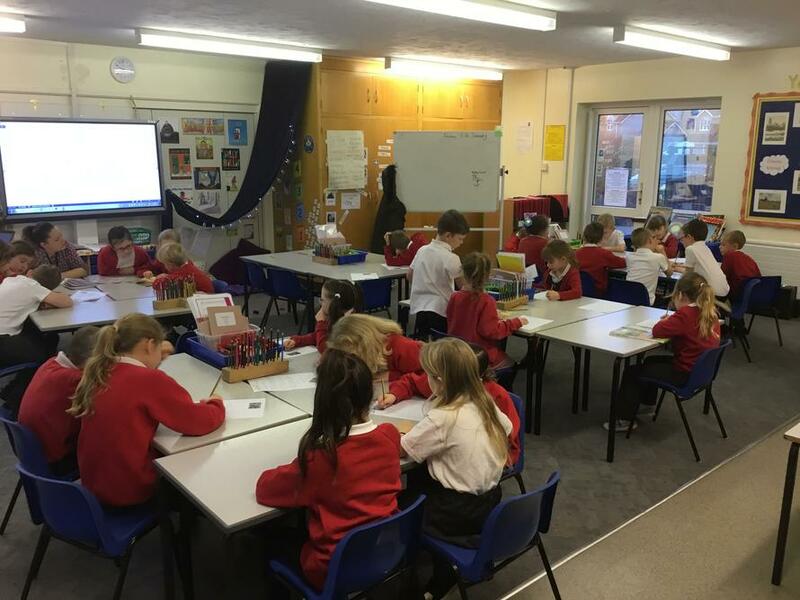 Guided Reading has given the children opportunities to explore lots of his work using ‘Powerful Reading’ techniques to assist with reading ‘Into the Tunnel’. 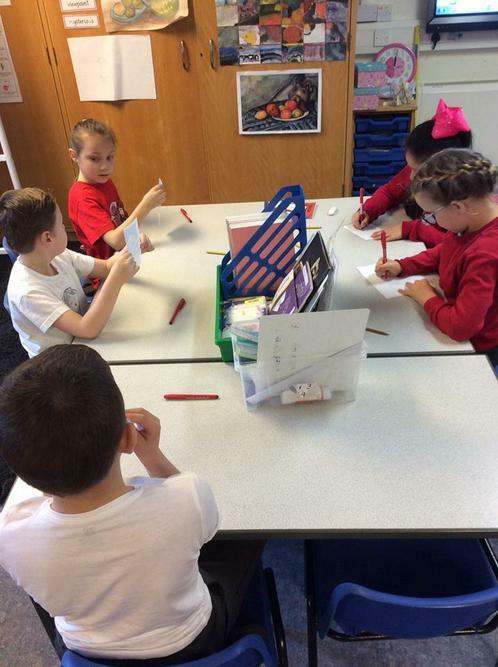 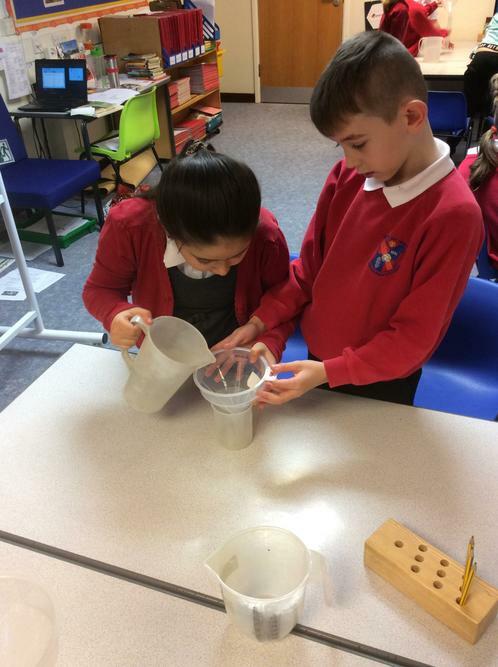 In Maths, we have been exploring measurements. 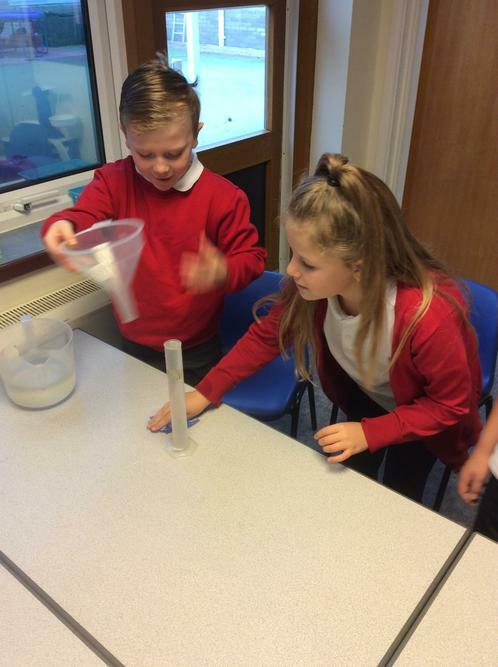 The children have estimated then weighed and measured objects. 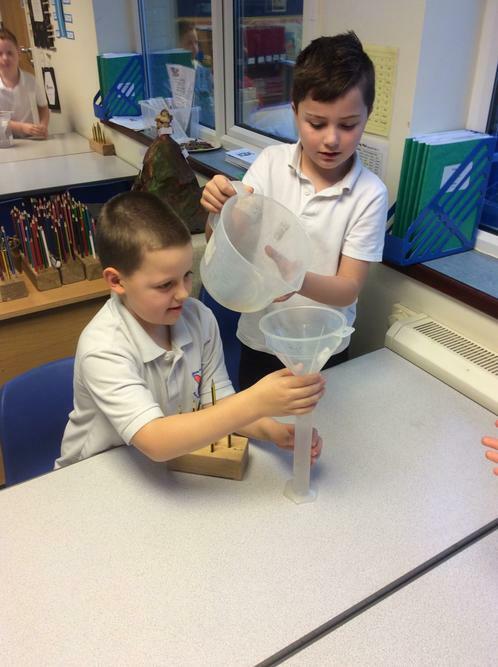 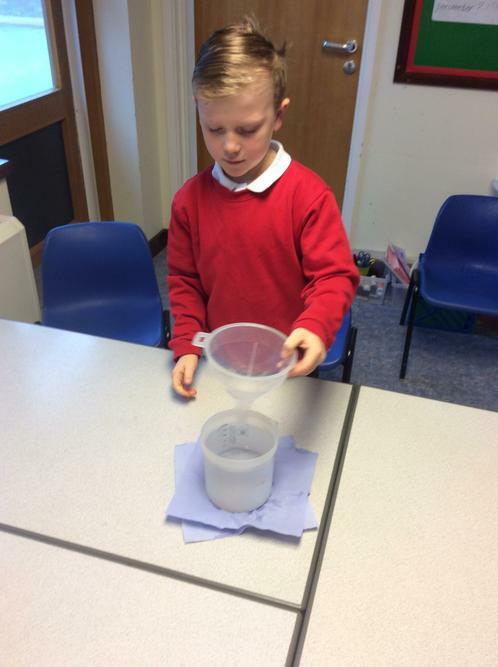 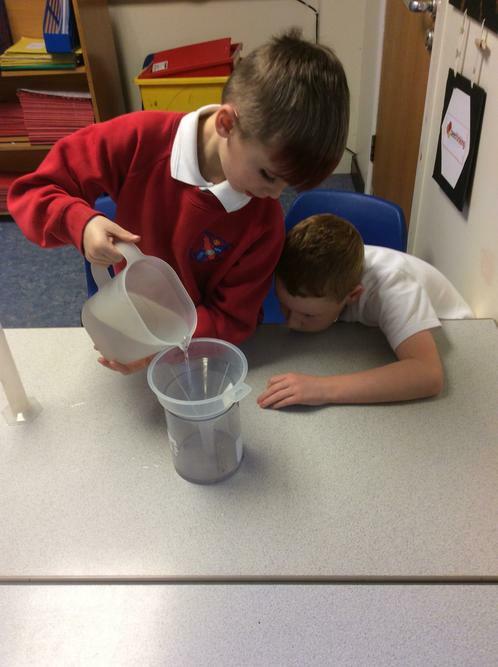 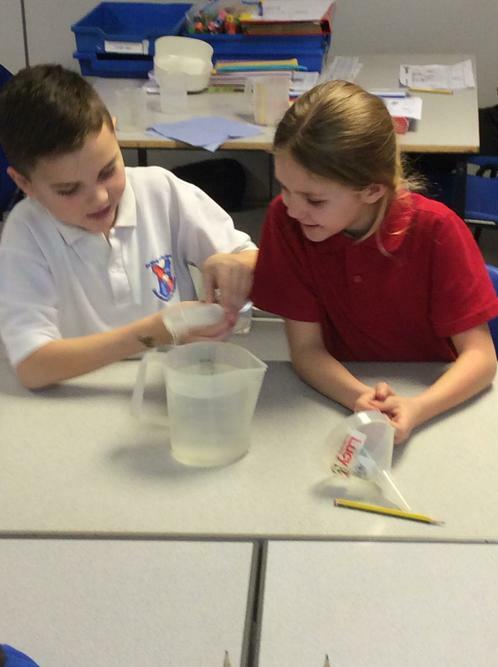 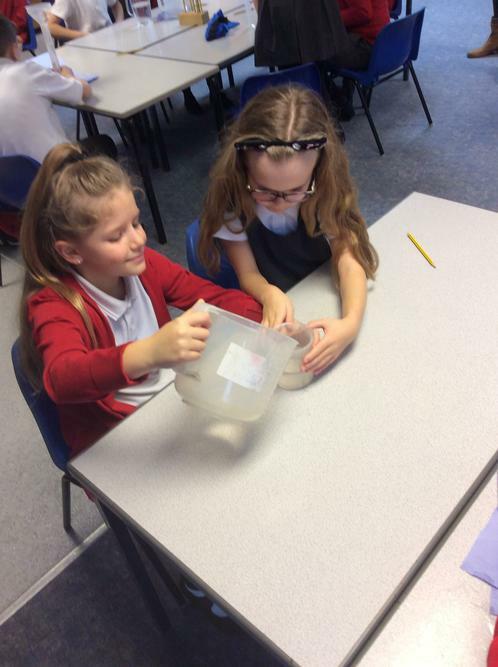 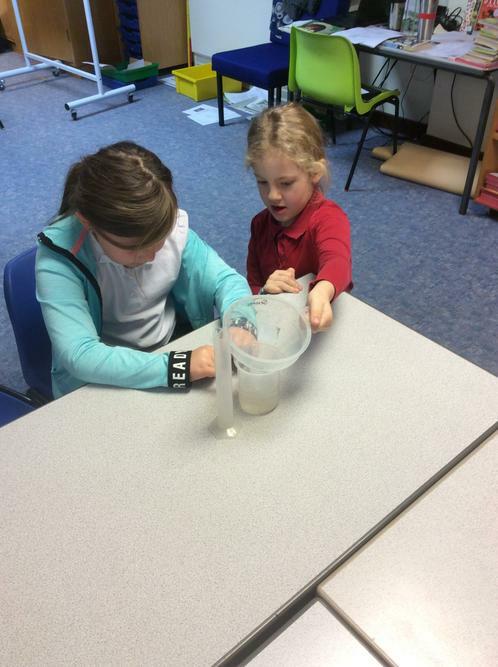 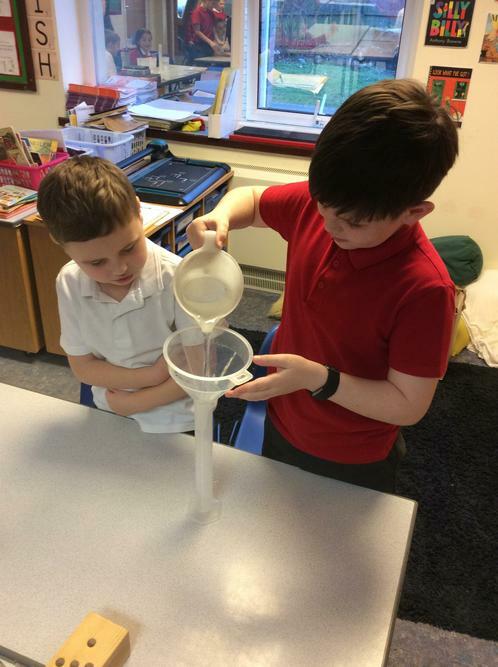 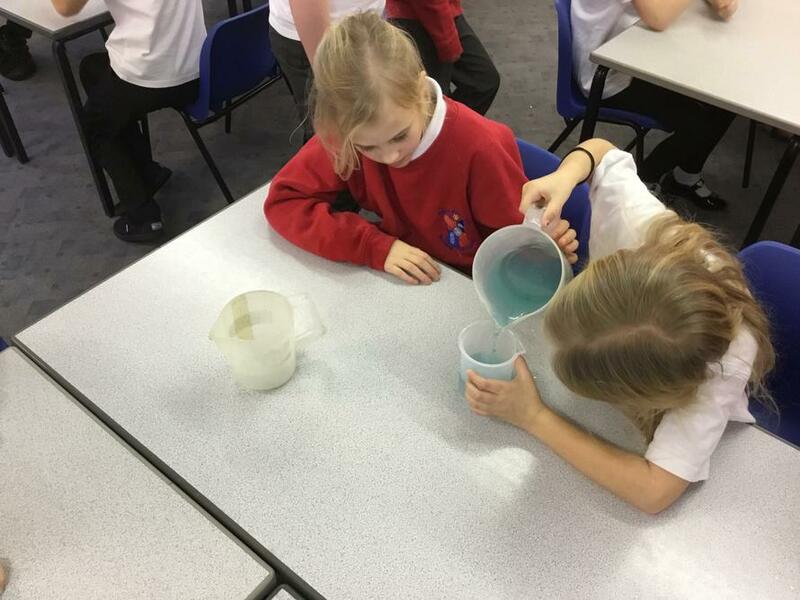 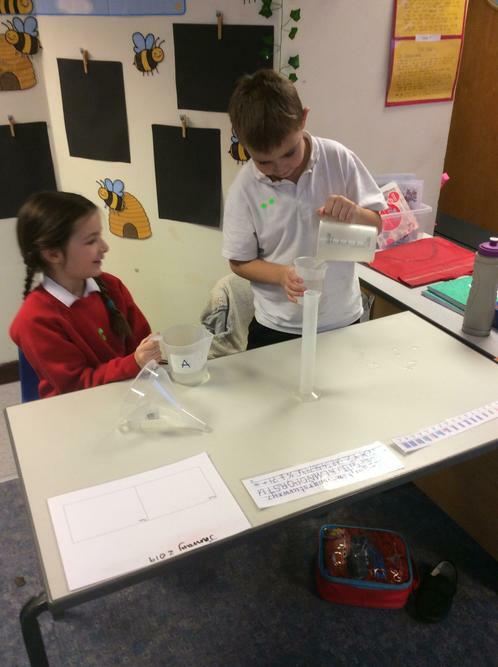 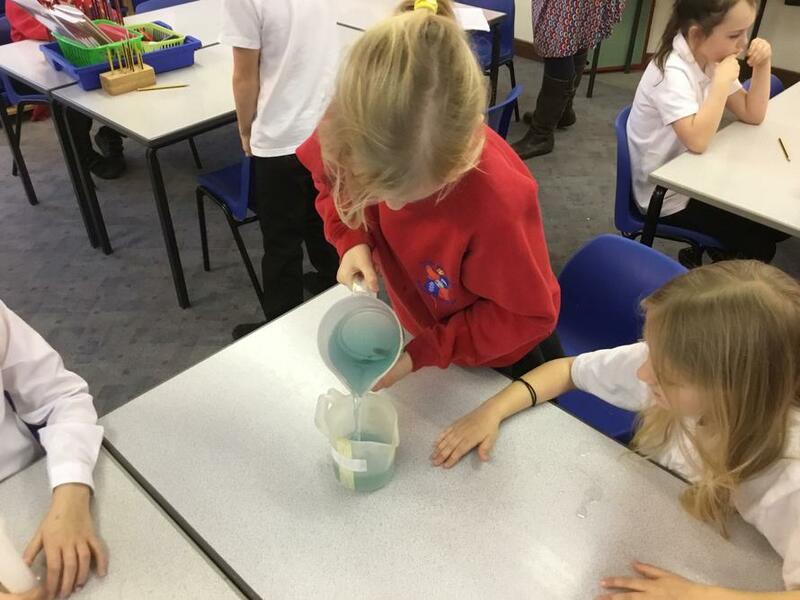 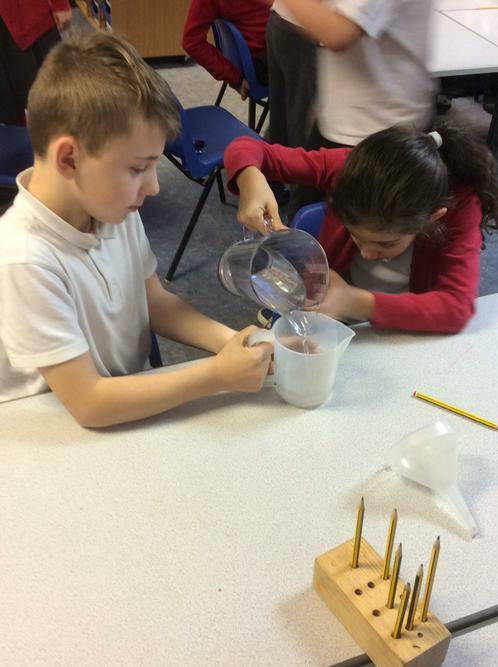 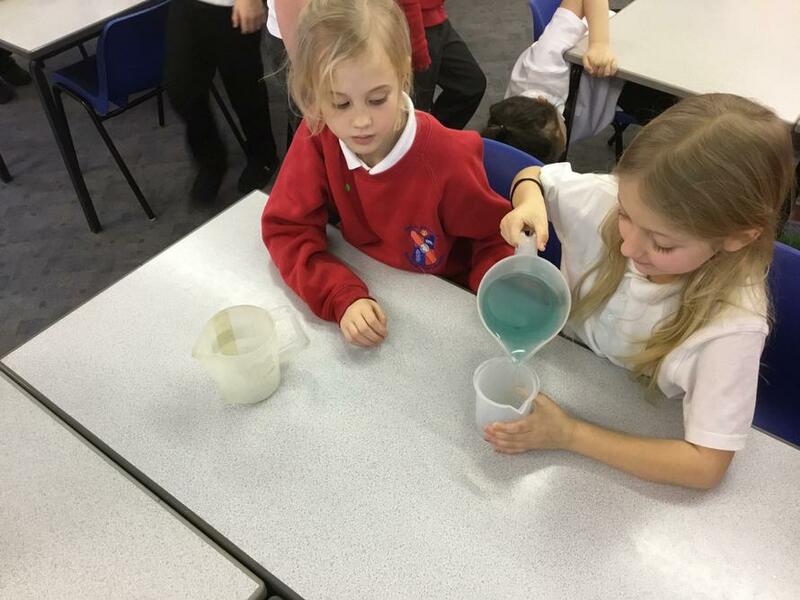 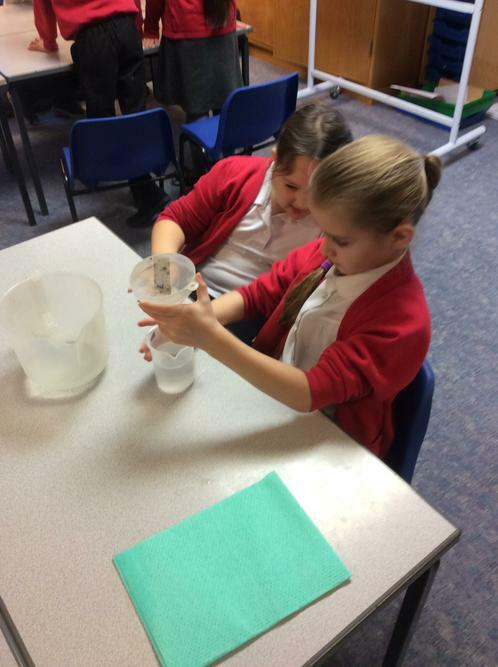 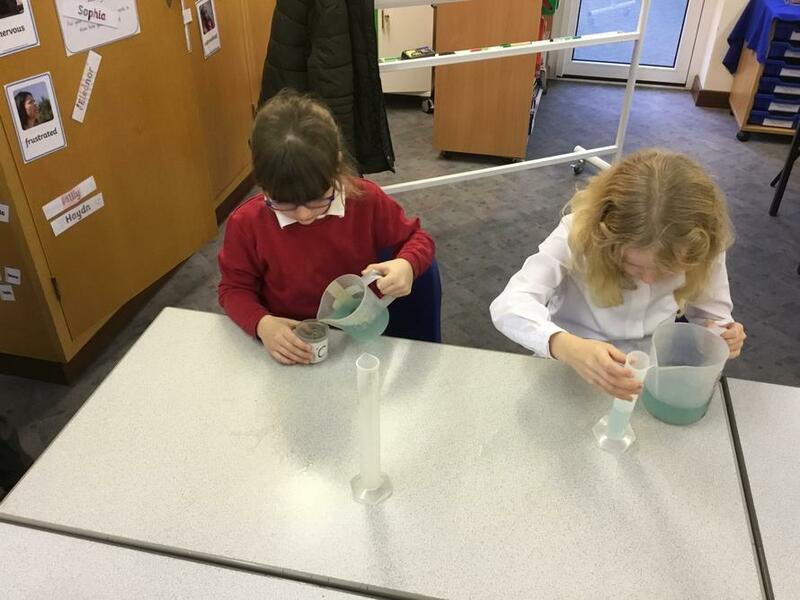 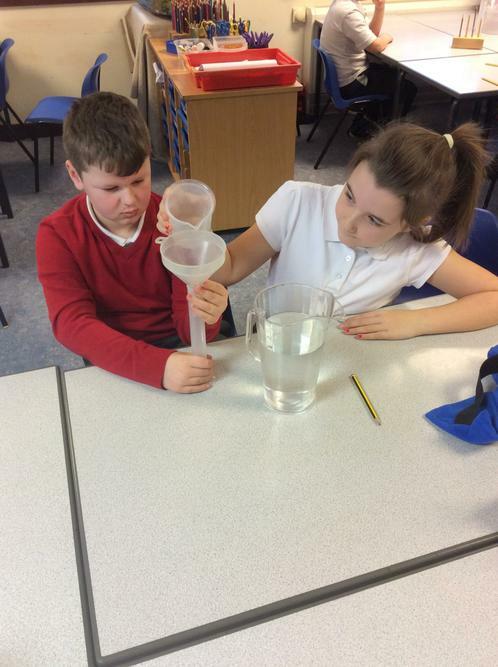 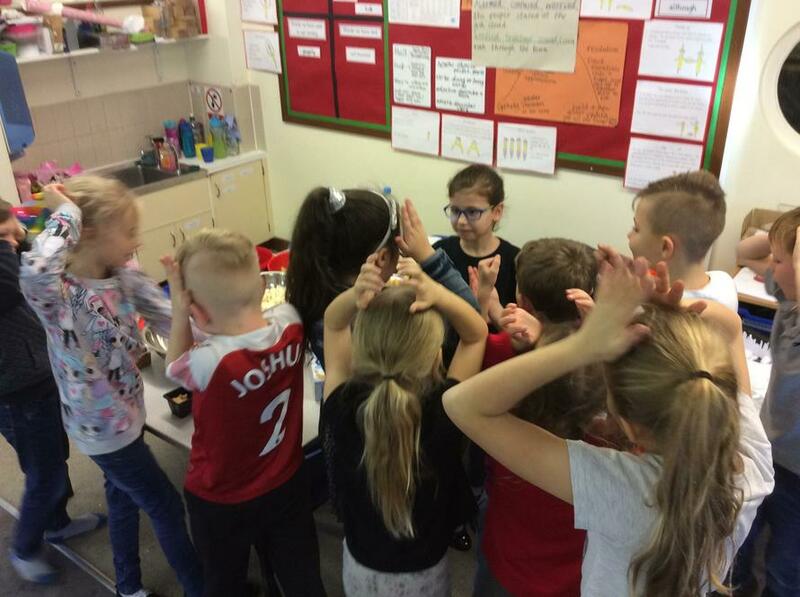 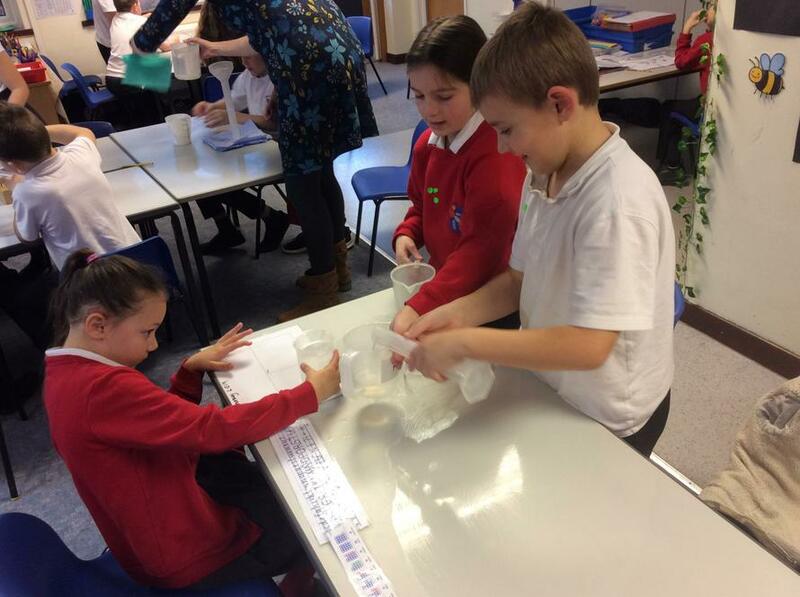 Whilst looking at capacity, the children worked in pairs to calculate the volume using different scales of measure. 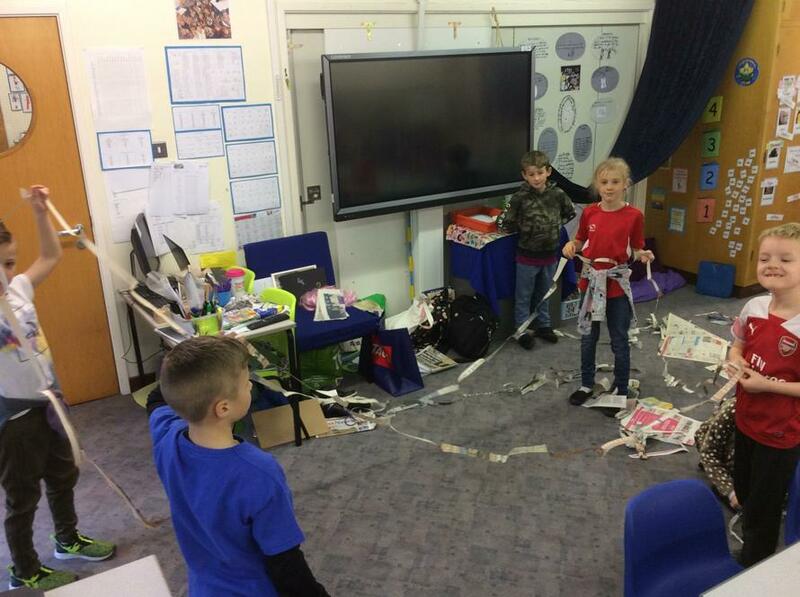 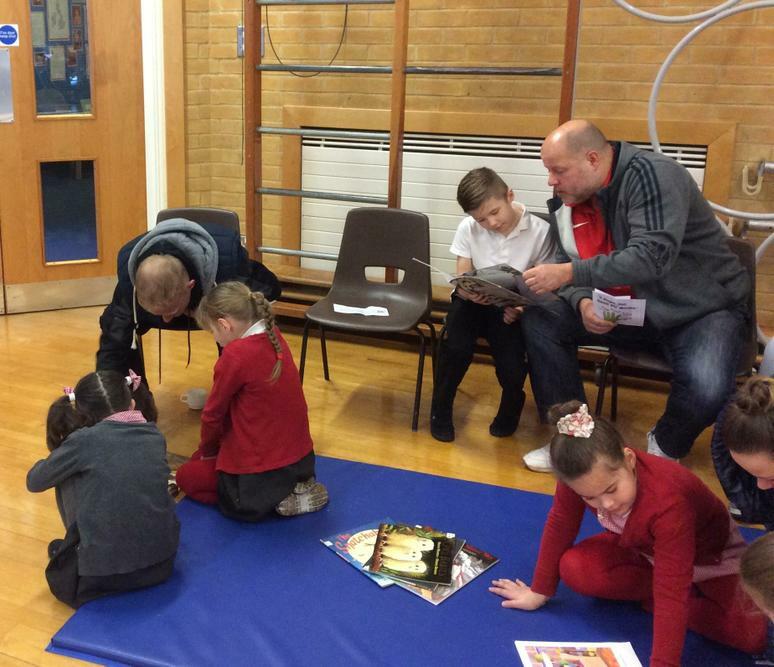 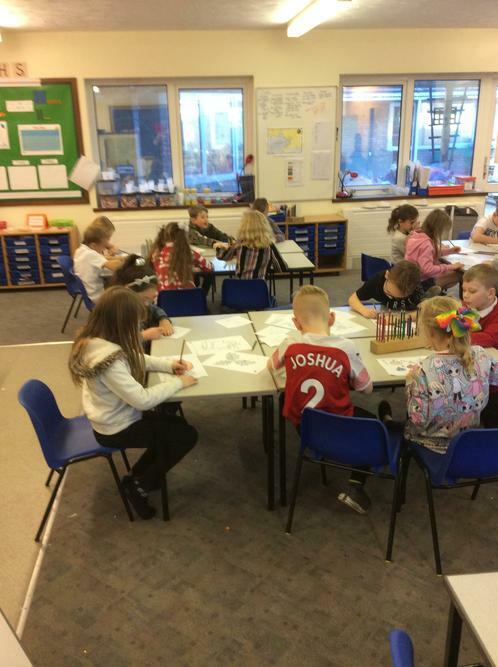 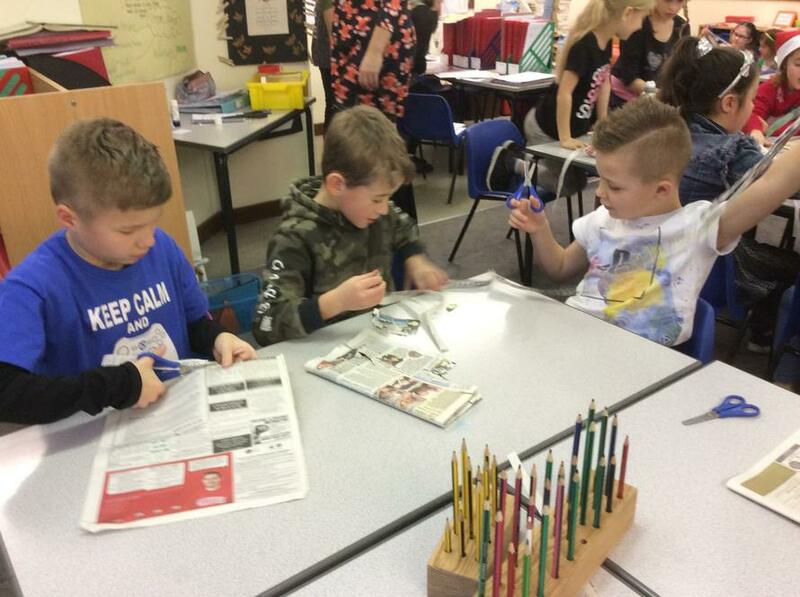 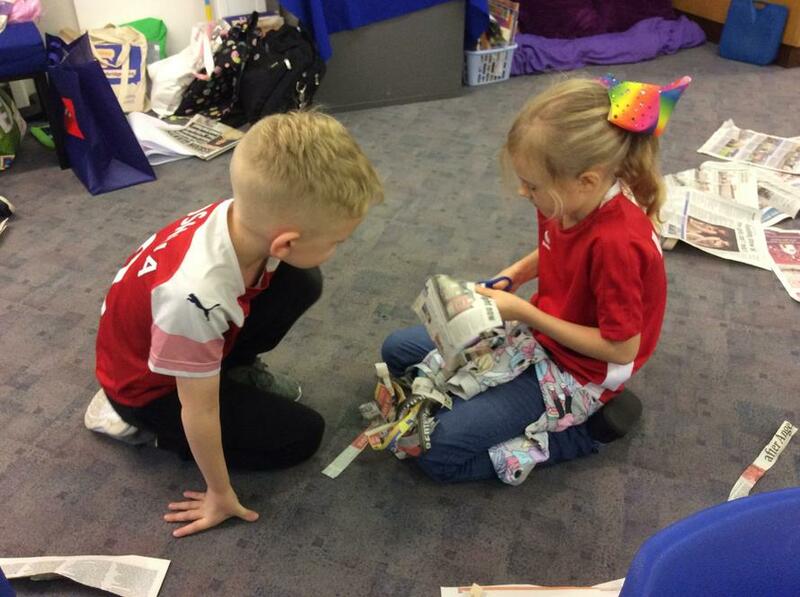 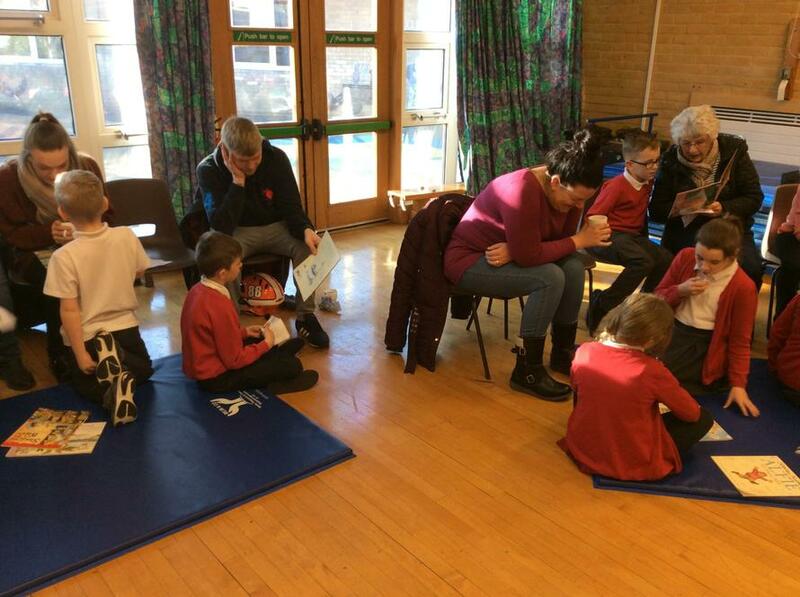 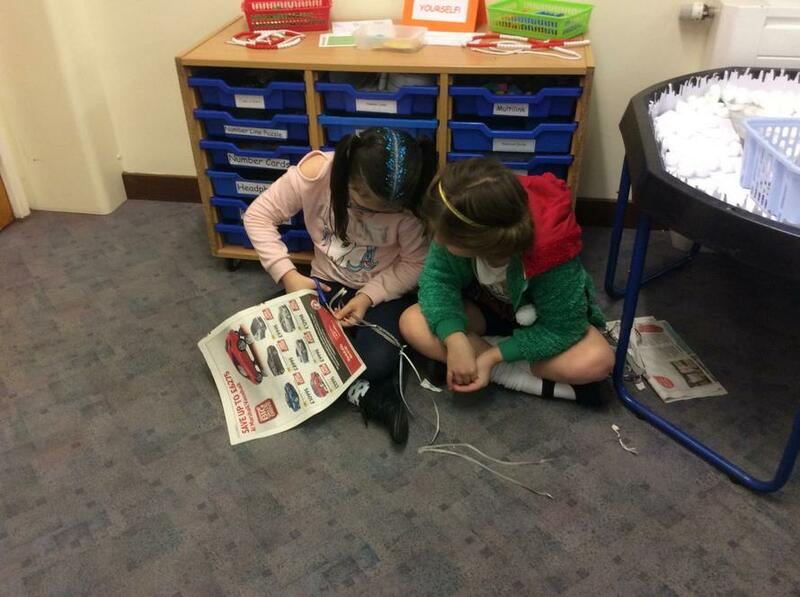 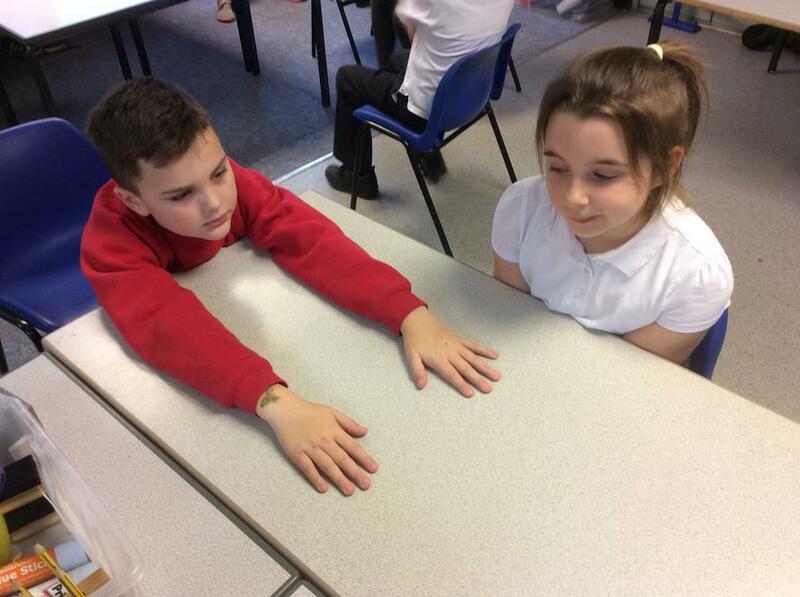 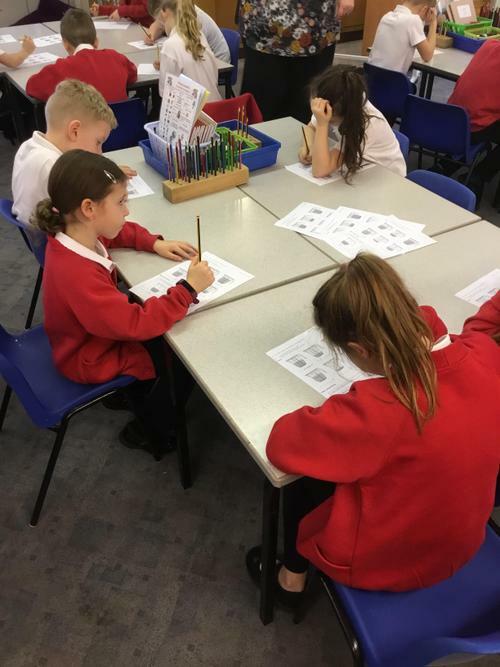 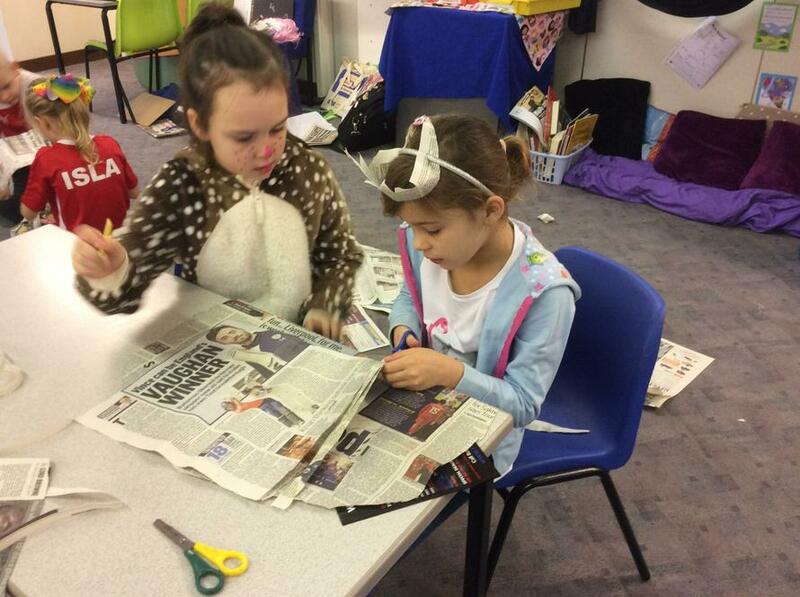 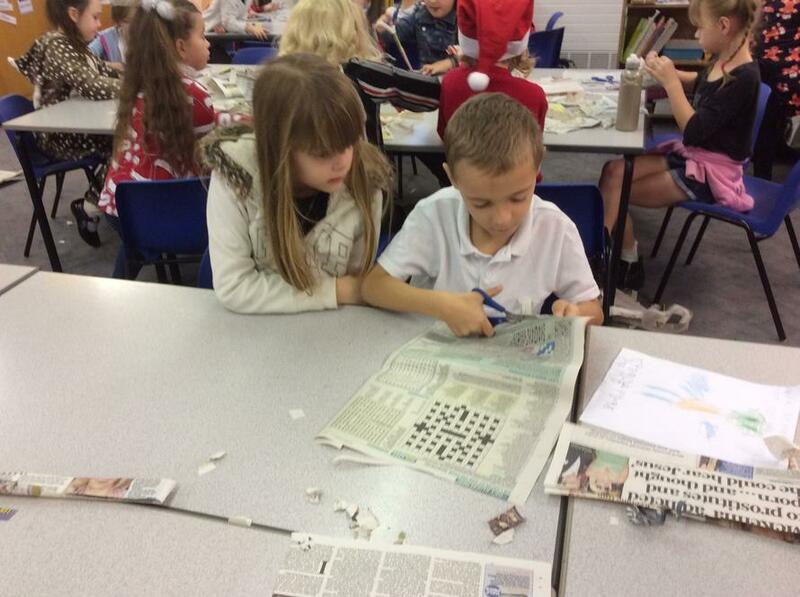 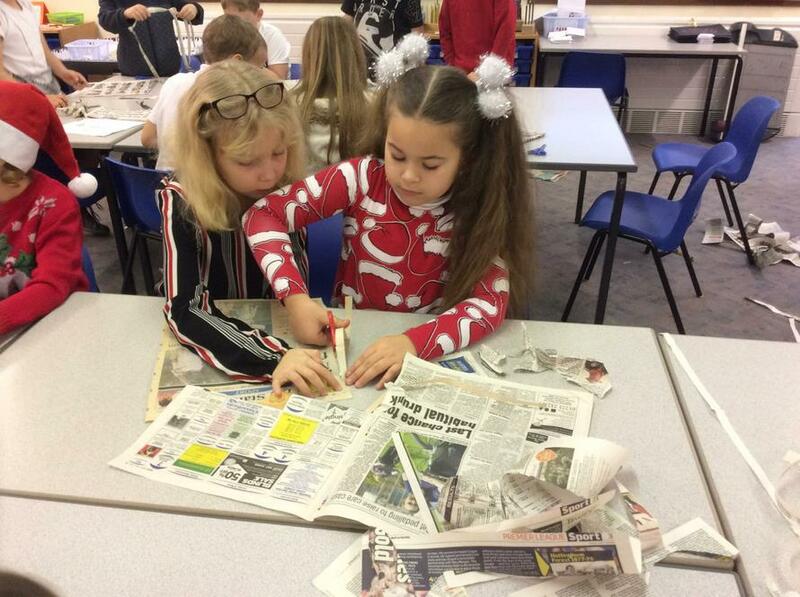 Year 3 enjoyed their Reward Day, we started the day with the Newspaper Challenge followed by party food and games. 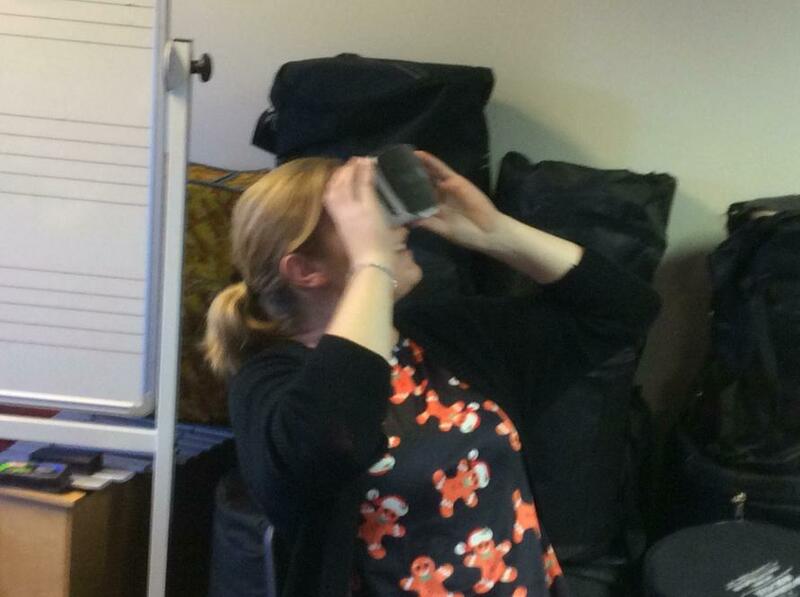 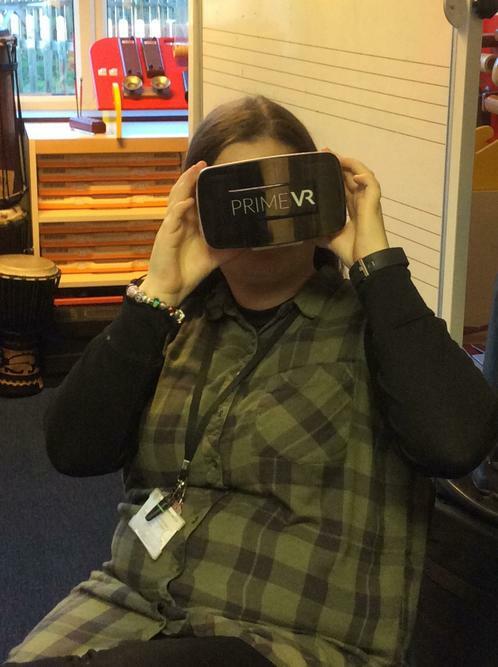 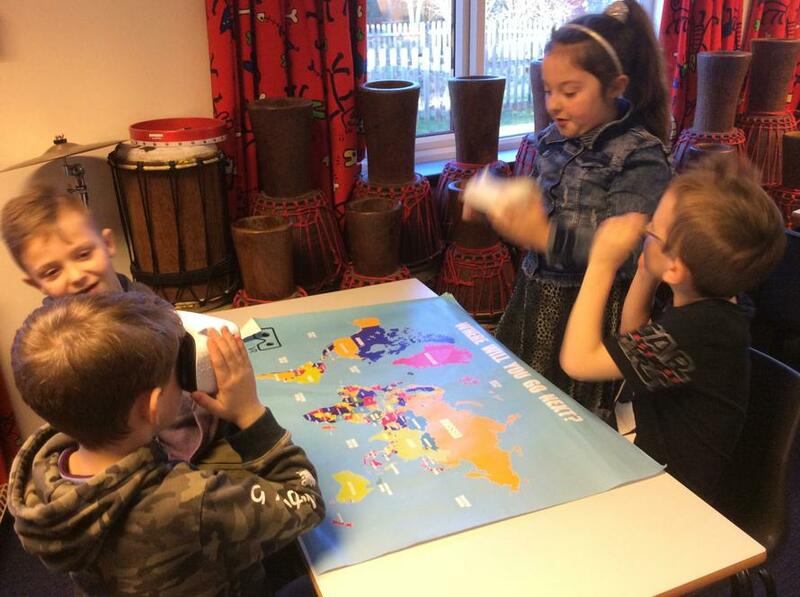 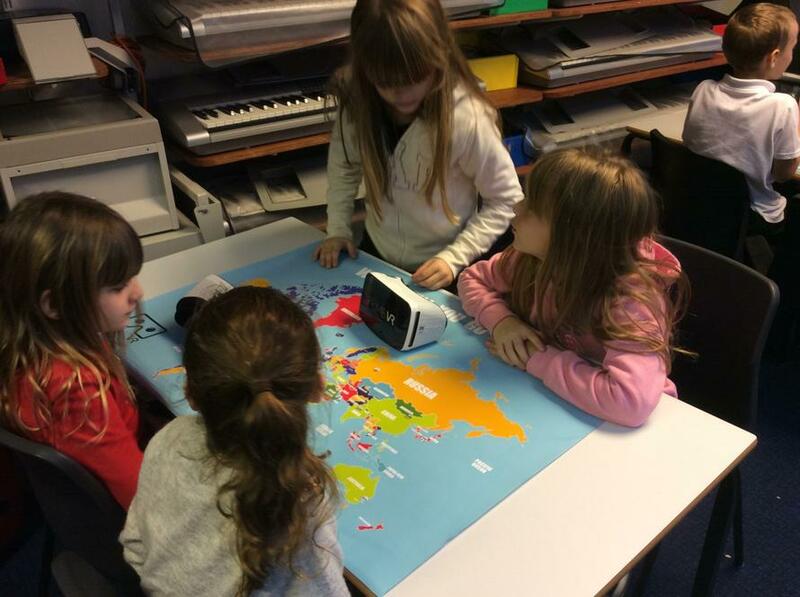 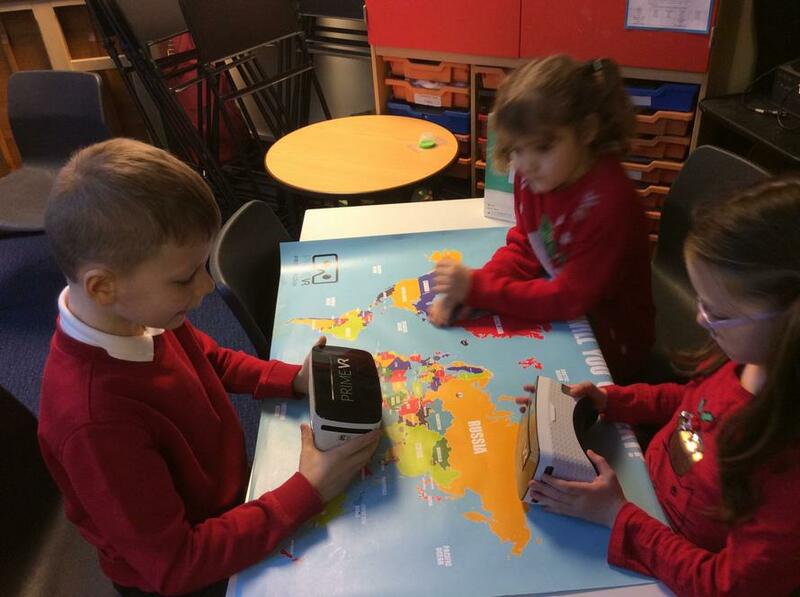 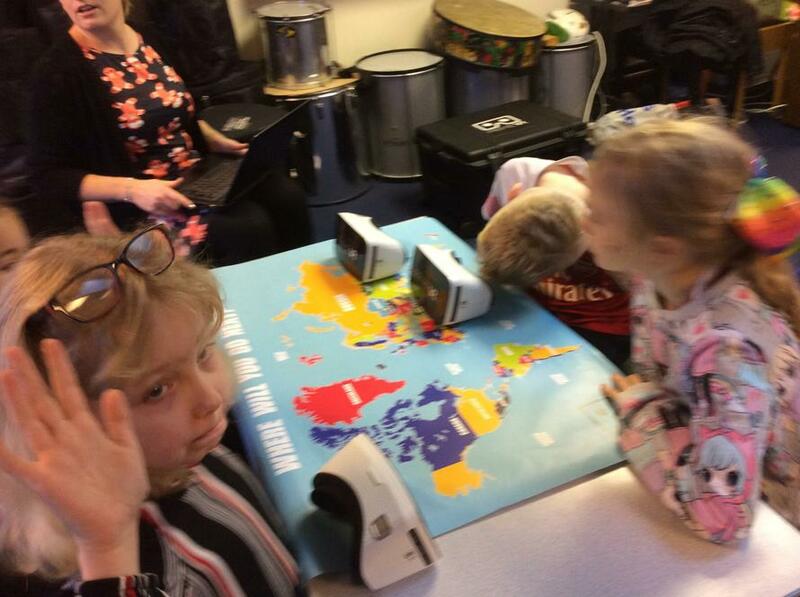 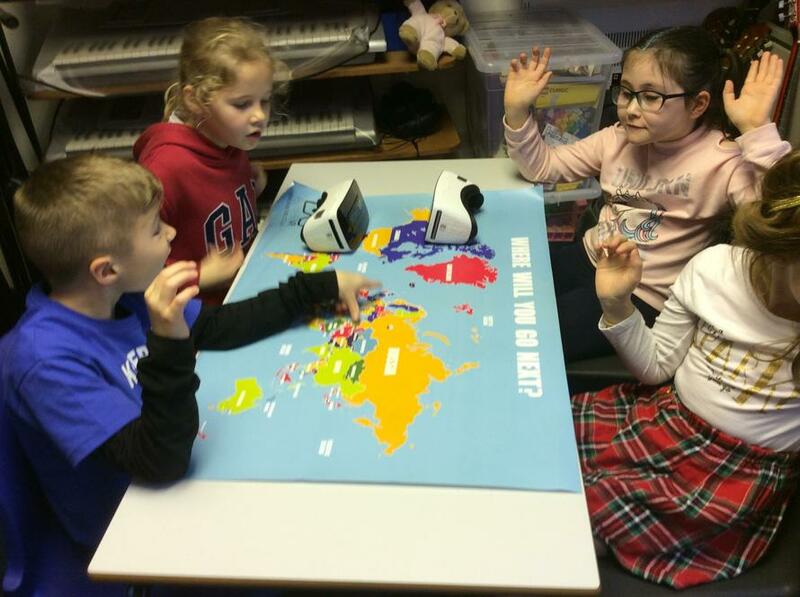 The children received their treat this afternoon in the form of a session exploring volcanoes using Virtual Reality technology. 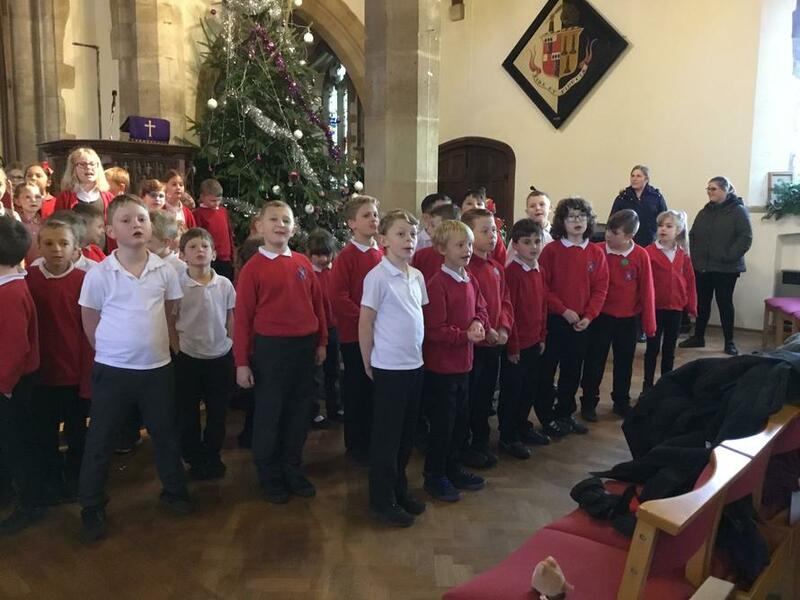 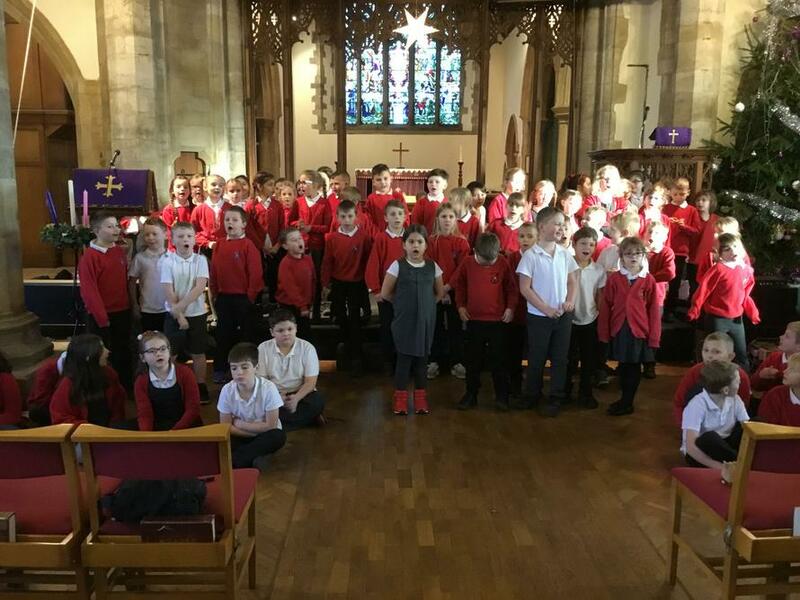 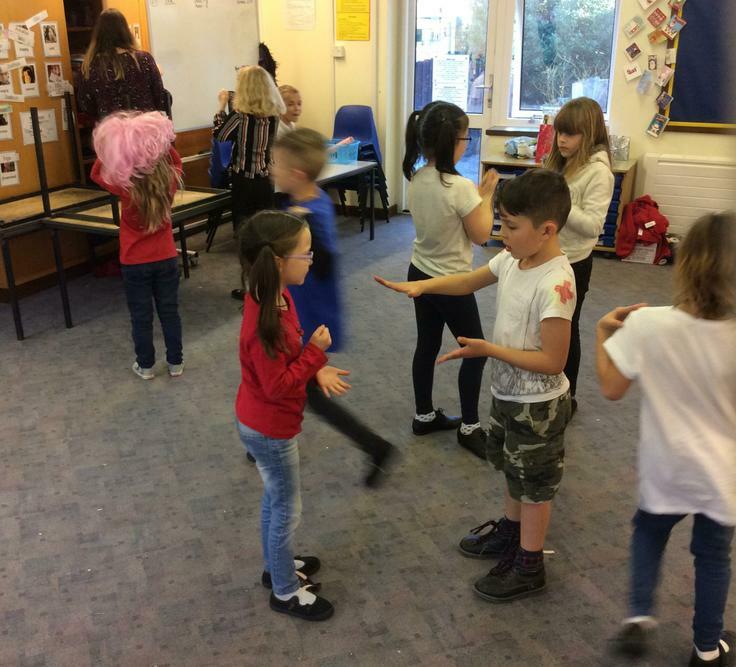 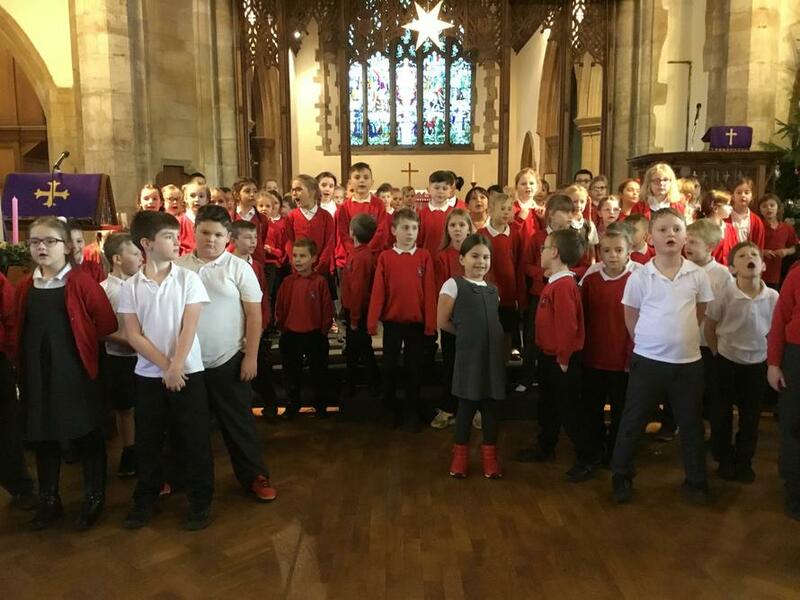 Here are some photos from our Year 3 and Year 4 Christmas rehearsals at St Peter's and St Paul's church. 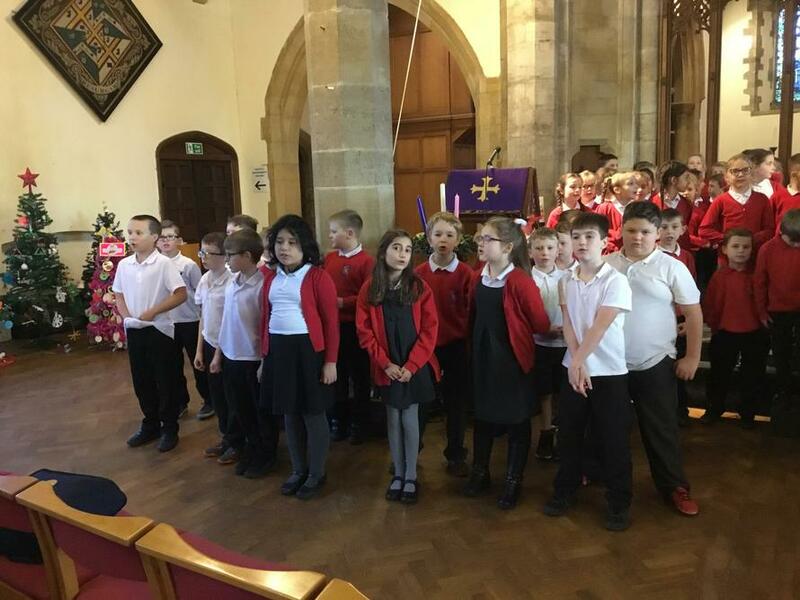 They all sang beautifully and had an excellent time performing in front friends and family. 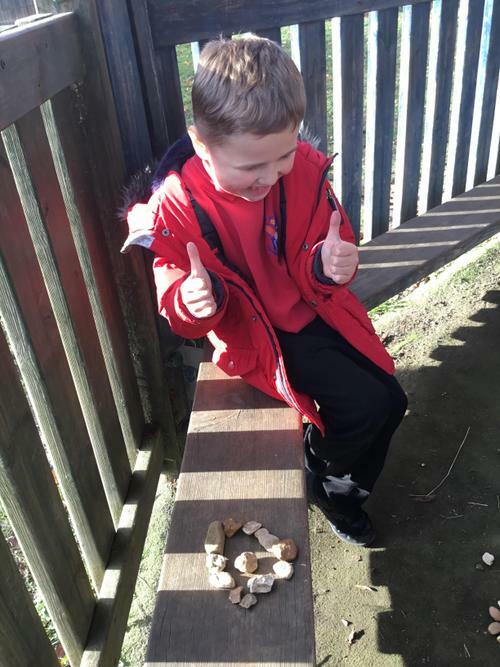 Well done! 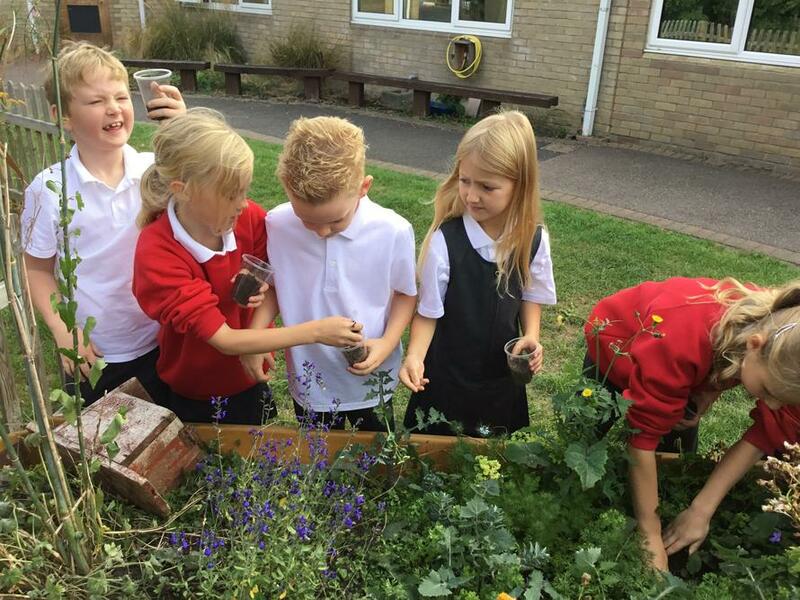 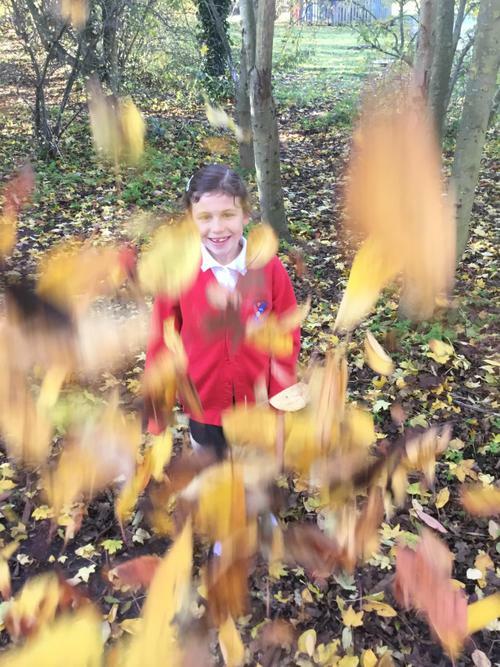 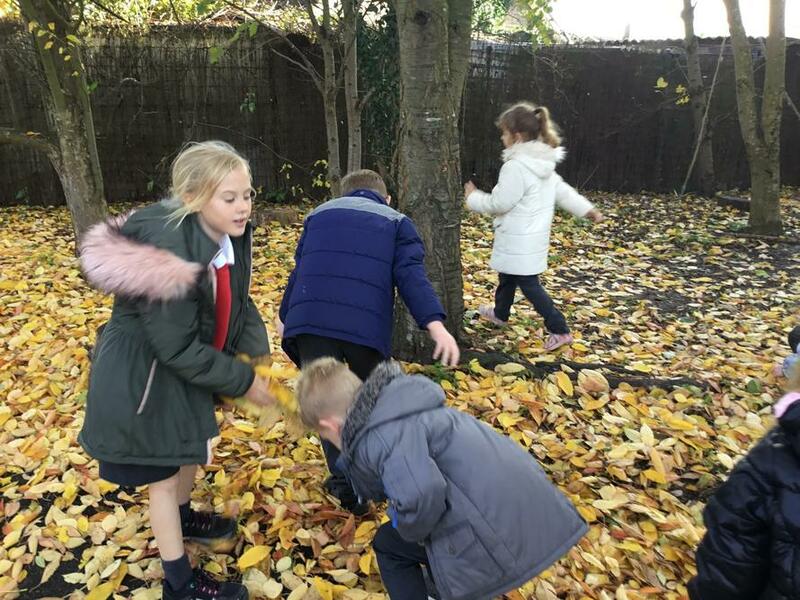 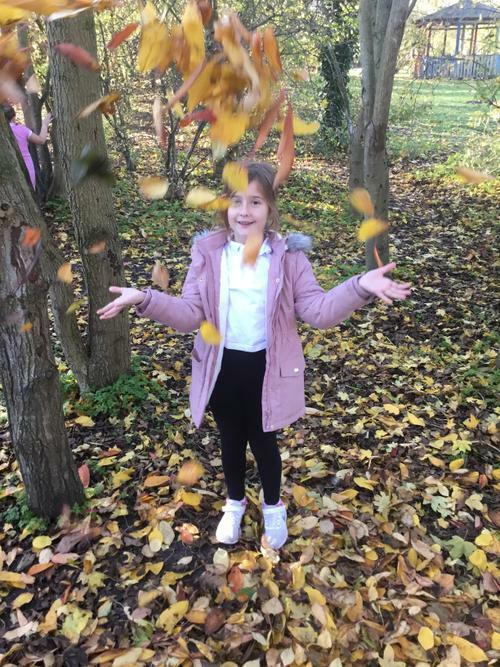 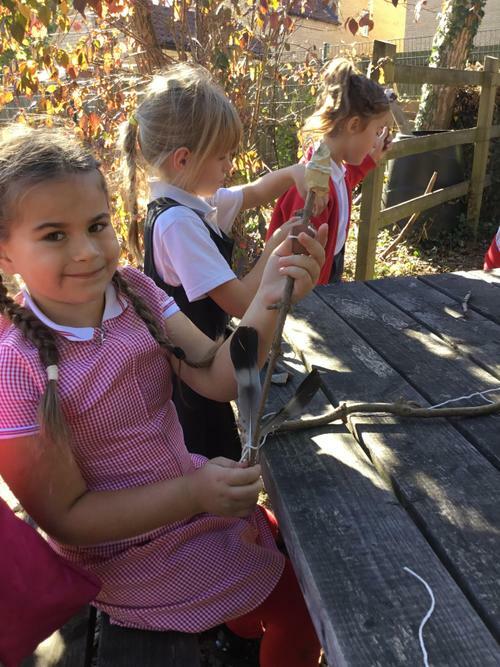 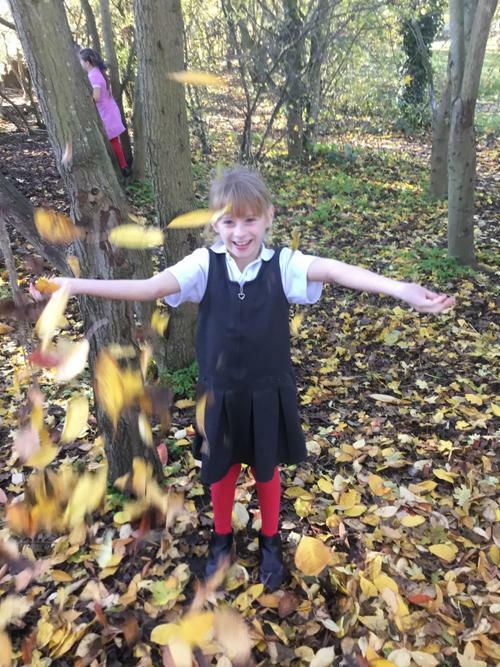 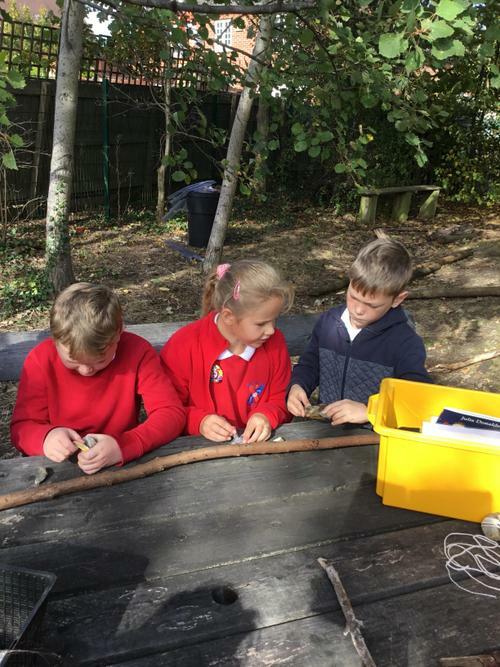 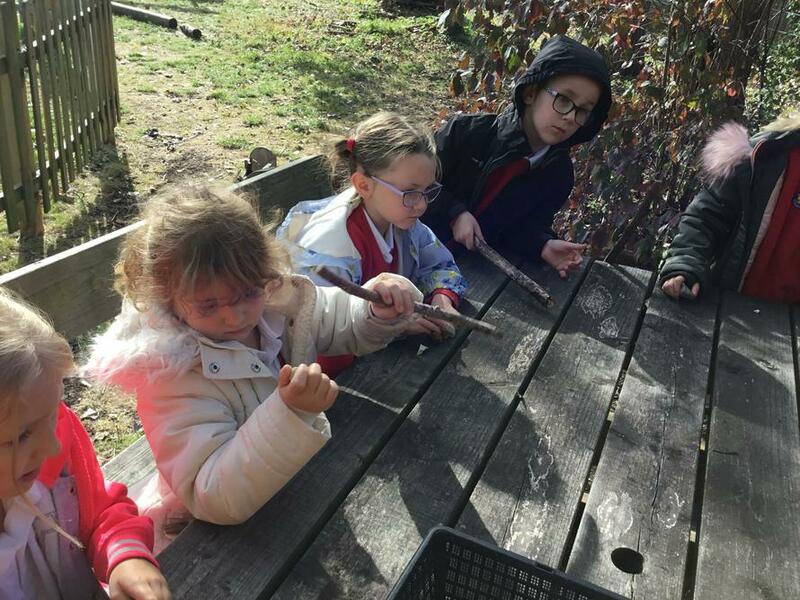 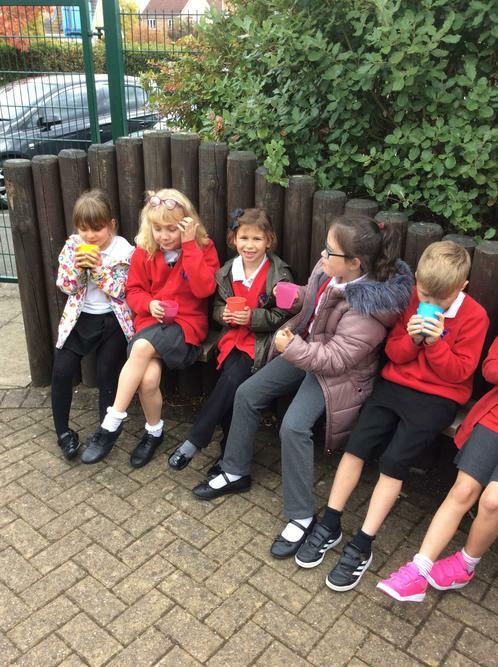 Year 3 have enjoyed their Outdoor Learning this term. 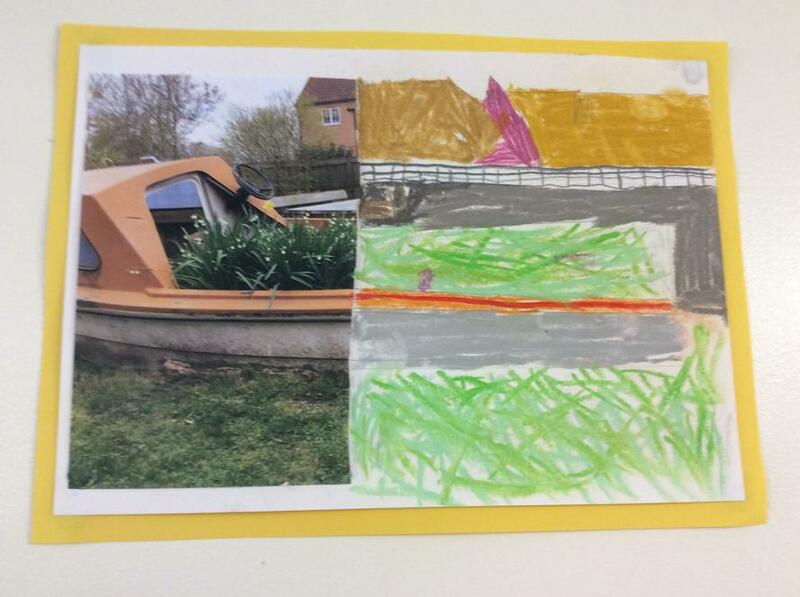 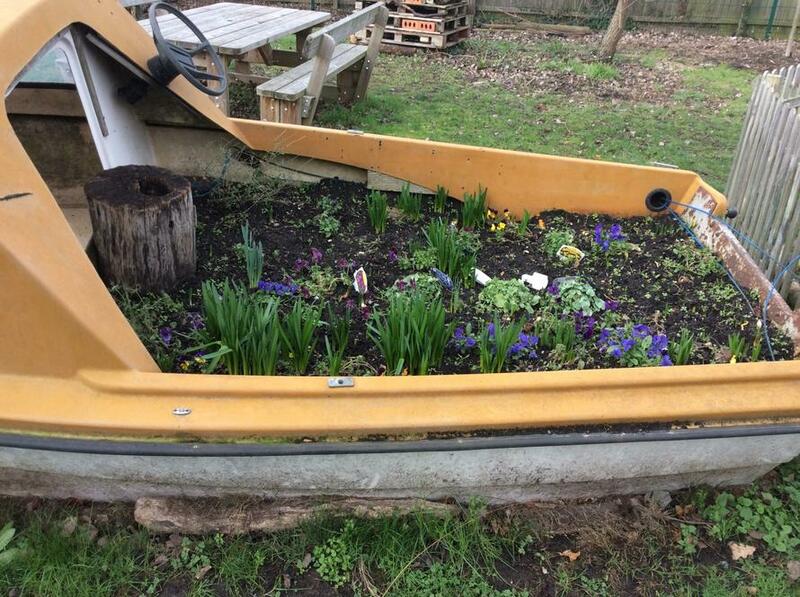 The children have been busy weeding and planting up the boat, allotment and courtyard. 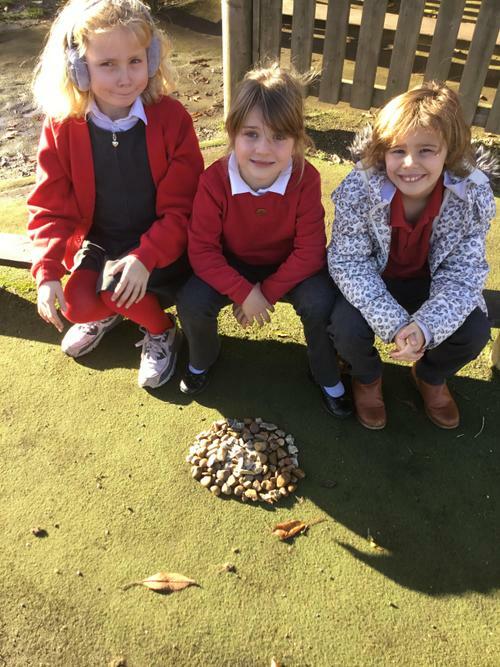 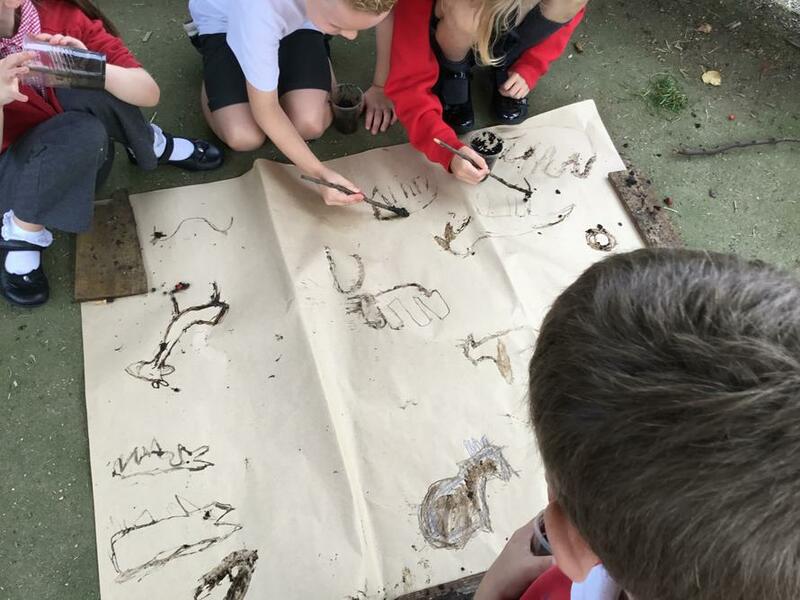 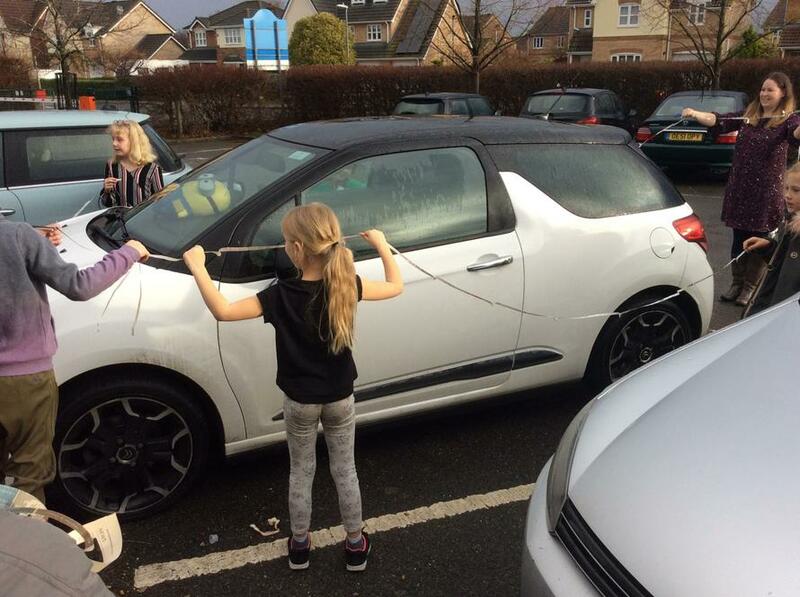 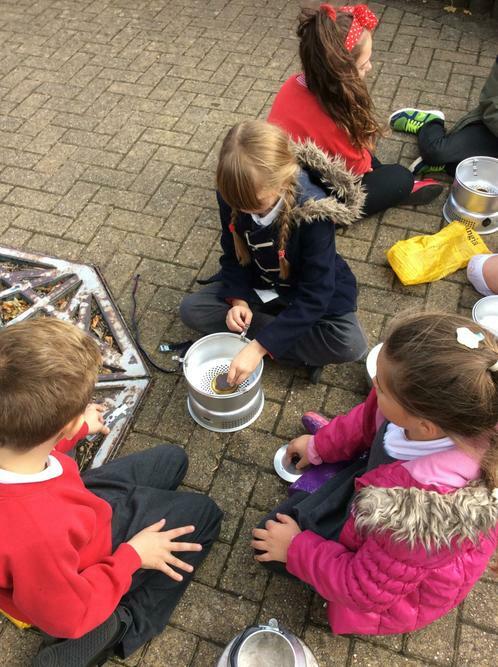 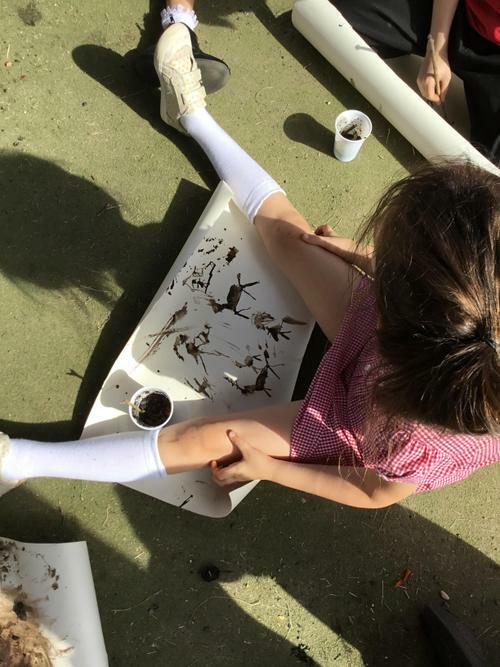 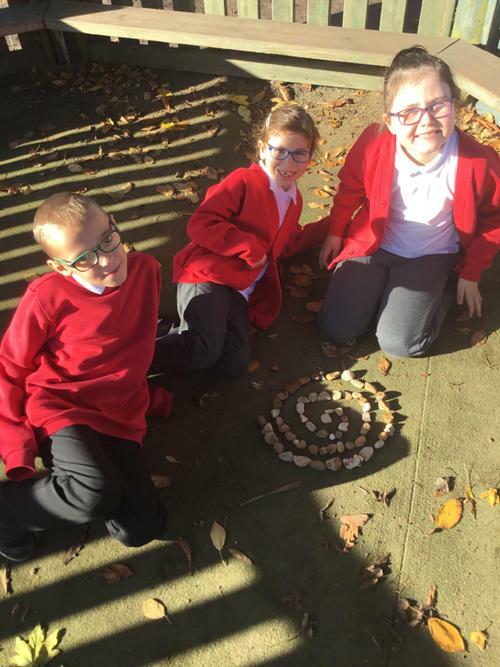 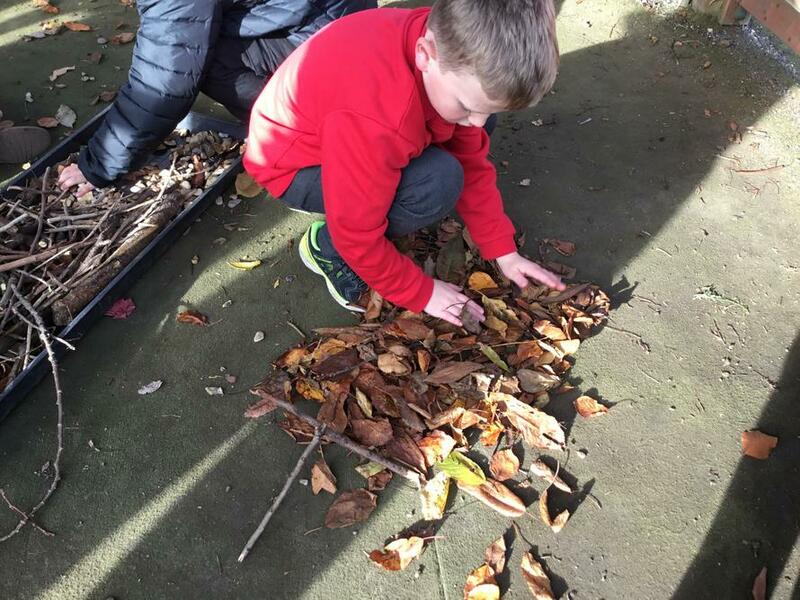 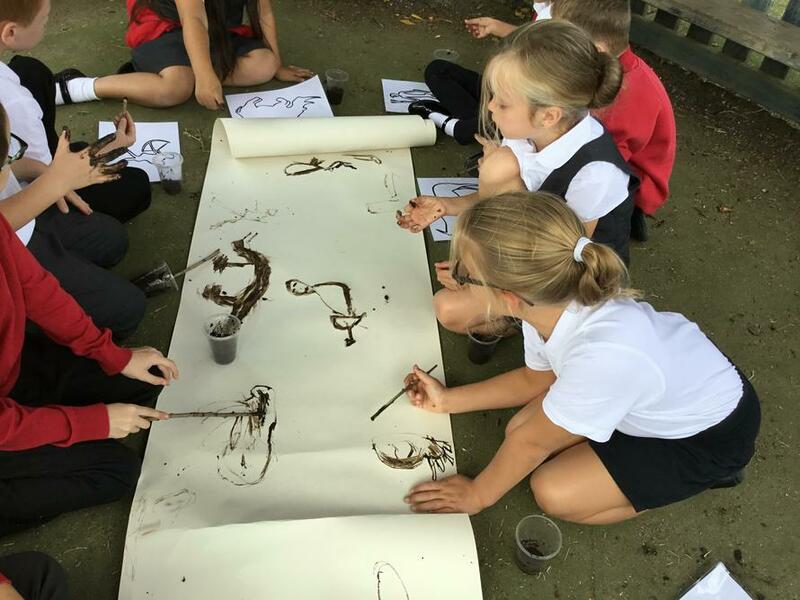 Other activities have included making Stone Age tools and cave paintings using resources found outside. 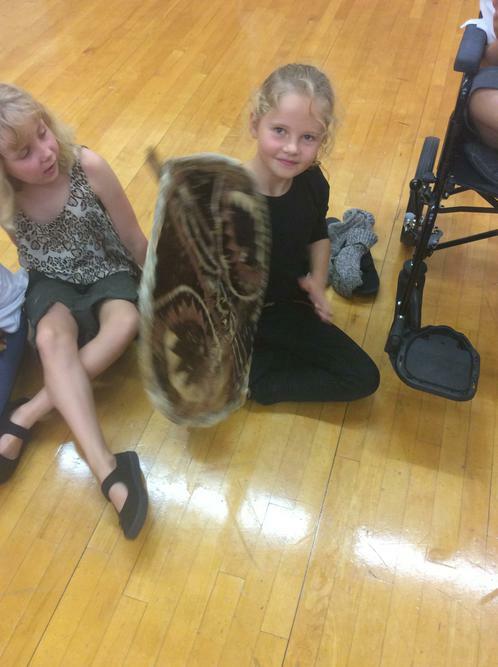 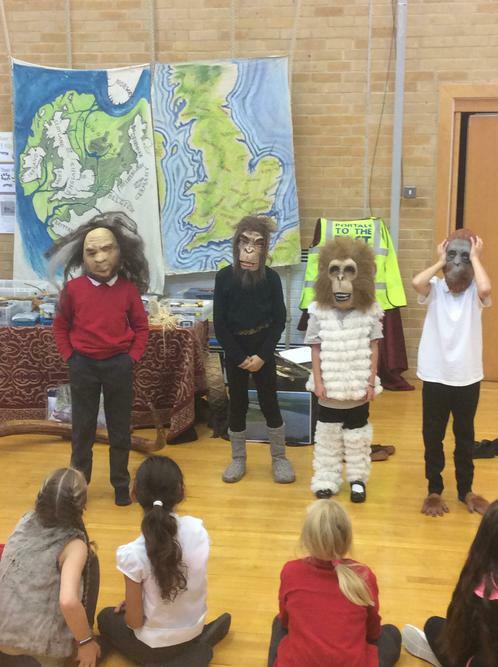 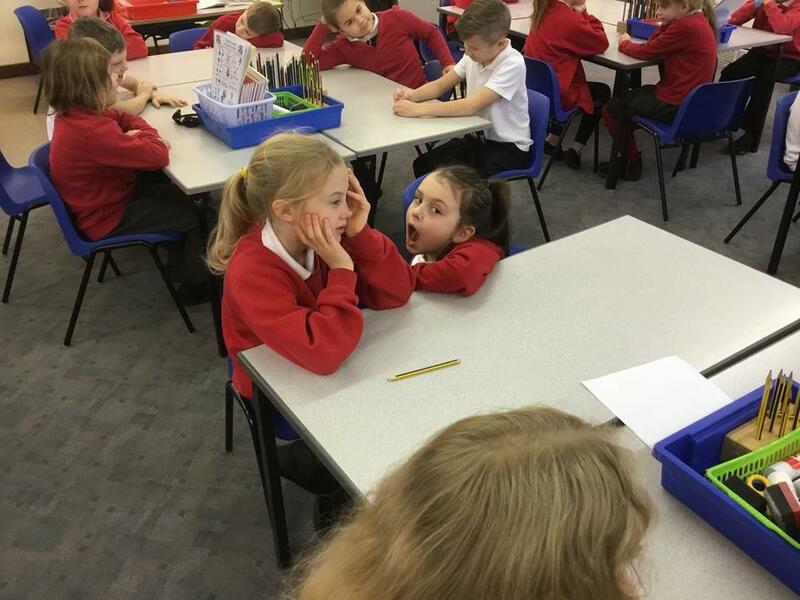 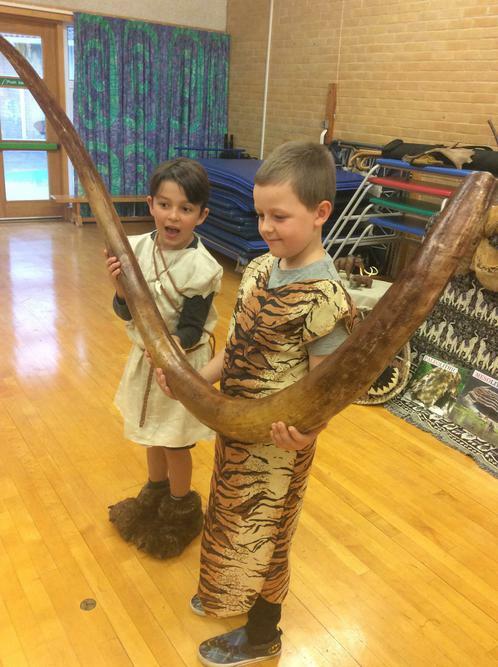 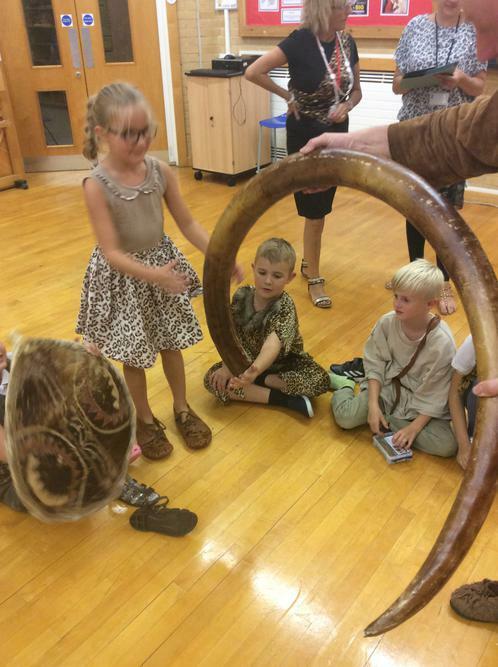 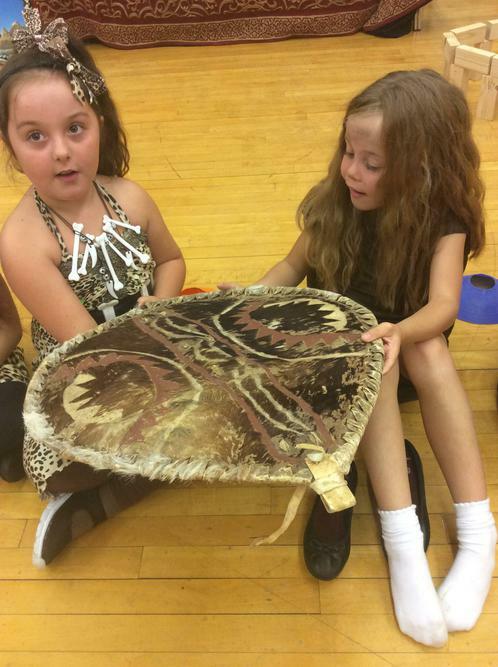 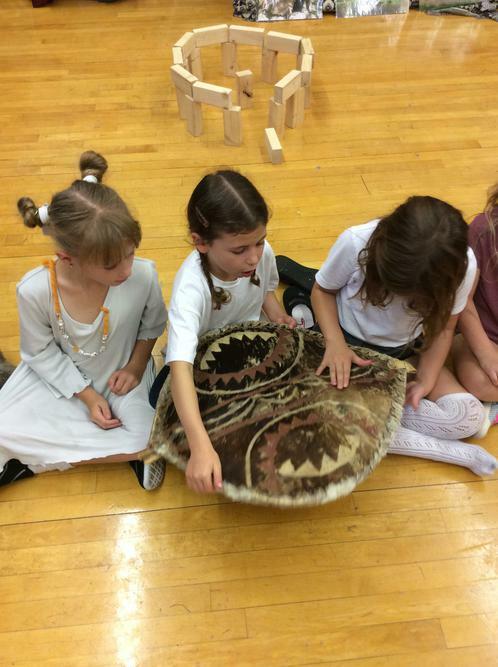 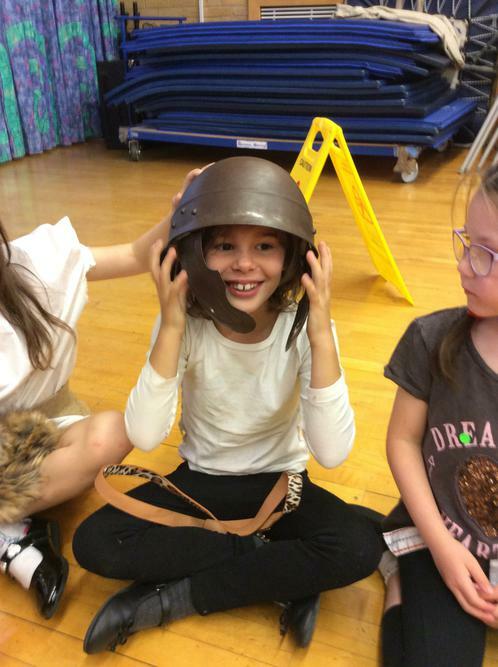 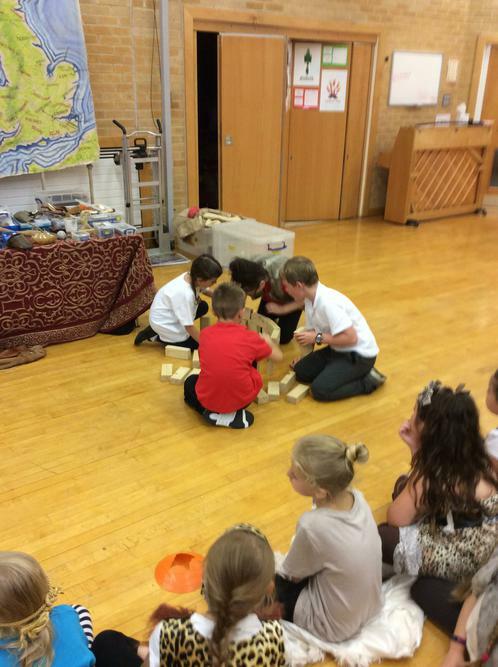 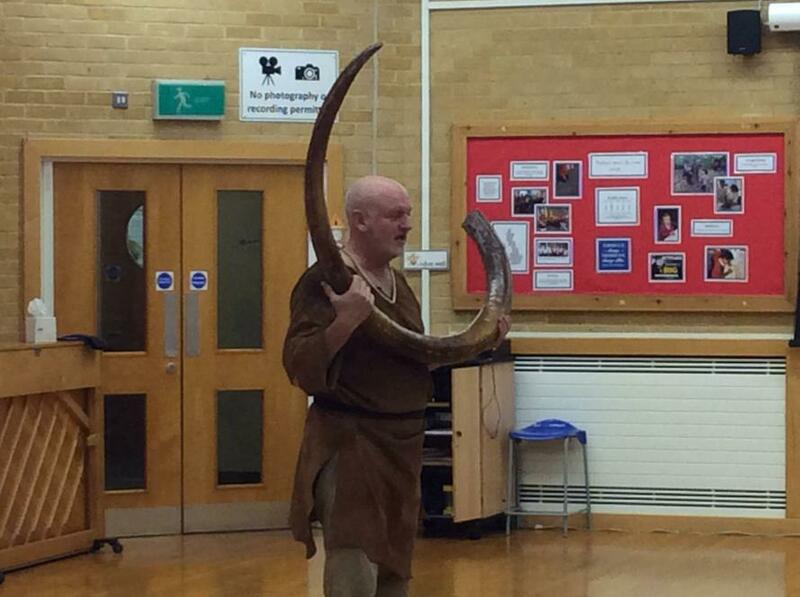 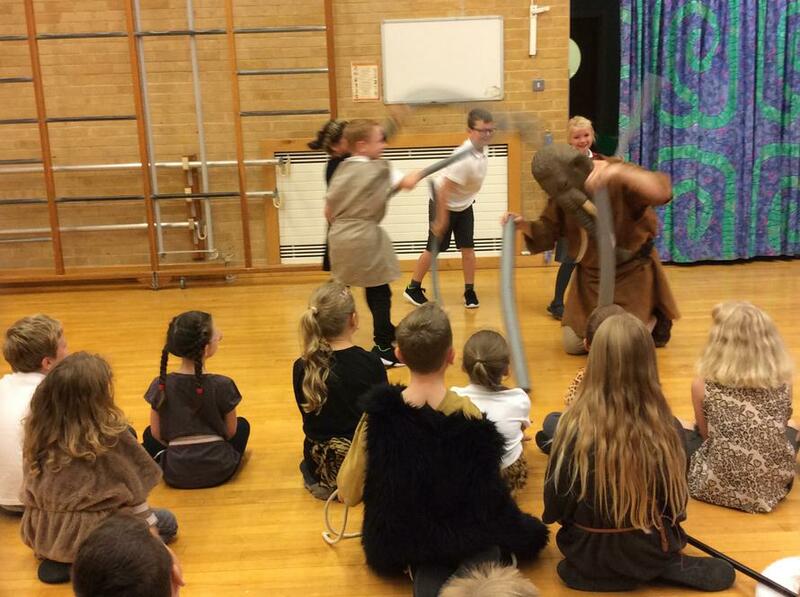 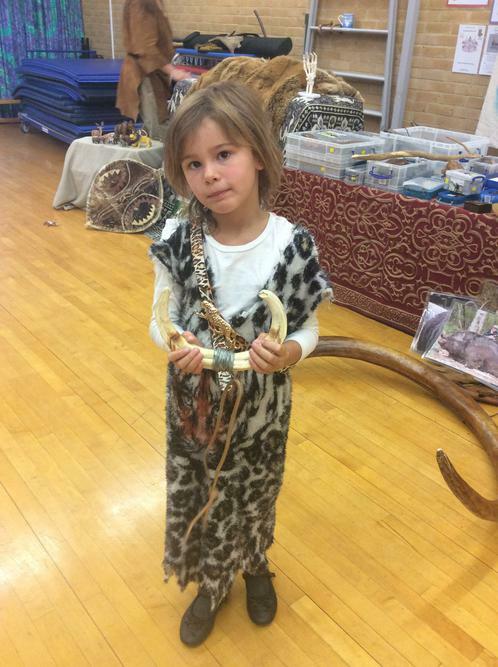 Year 3 had a brilliant Stone Age to Iron Age curriculum day. 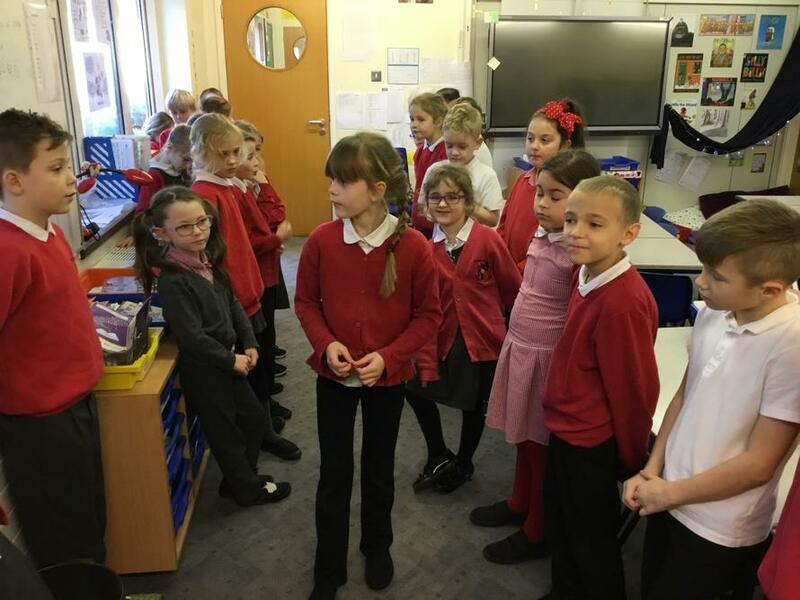 Portals to the Past visited and shared with us lots and lots of facts. 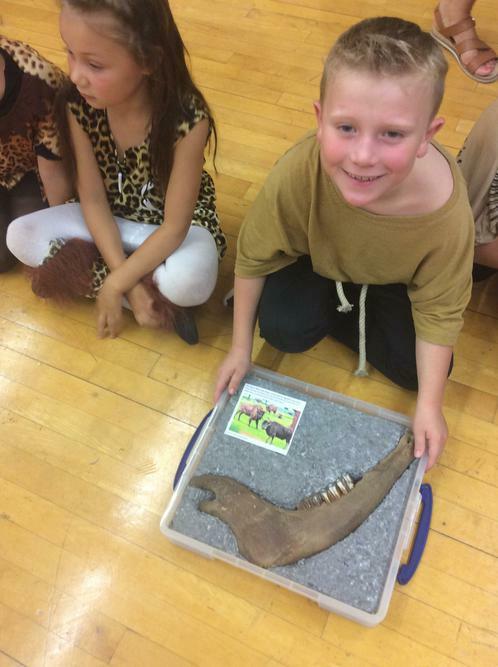 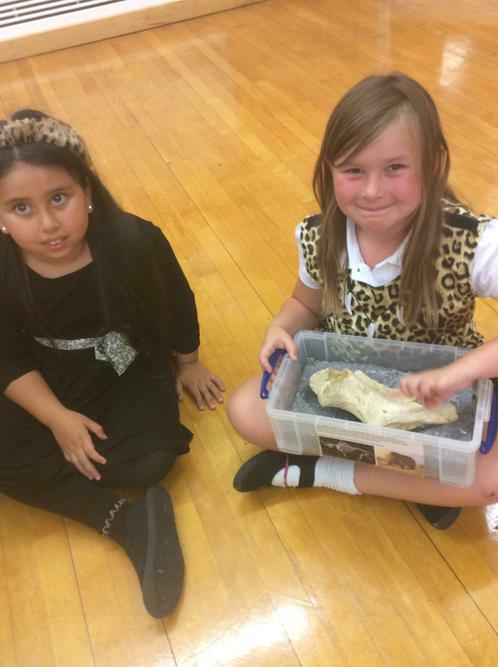 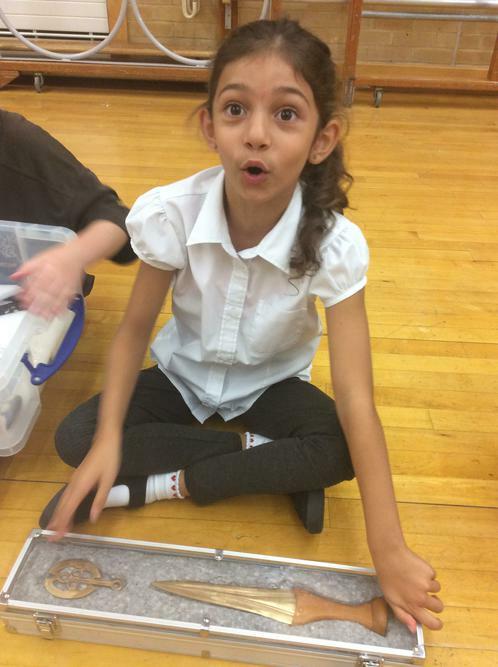 We were able to explore fossils and bones and make deductions about life in the past using the artefacts. 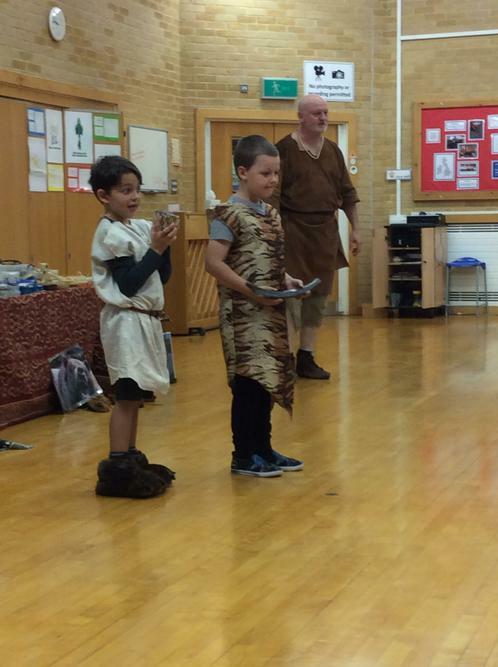 The children looked fabulous in their costumes! 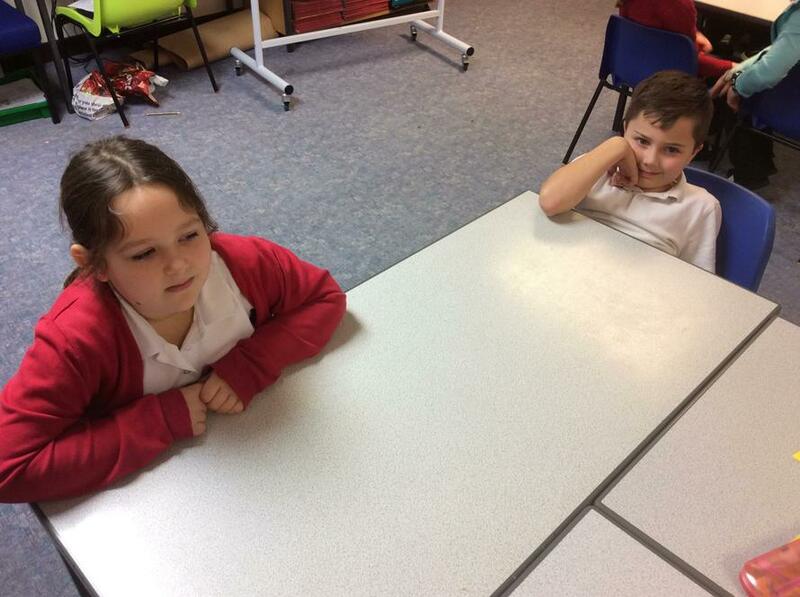 Our first topic is 'Year 3 Rock!'. 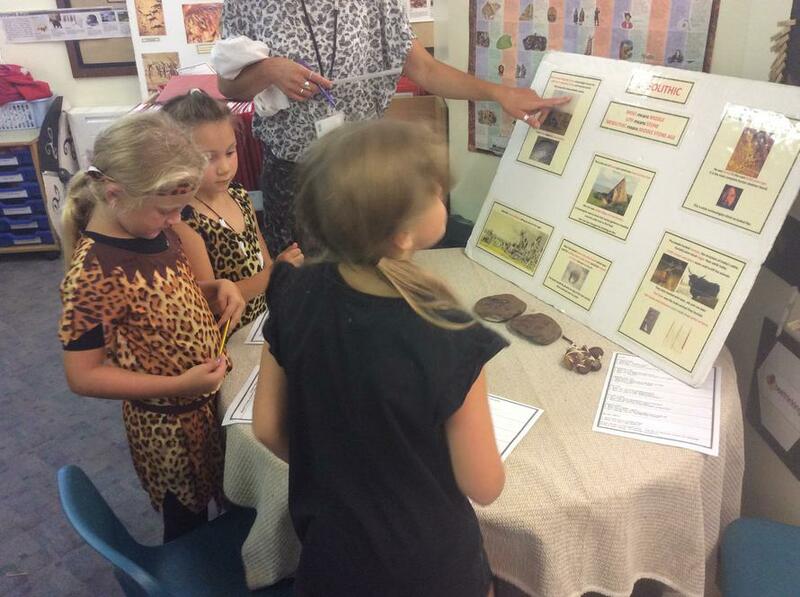 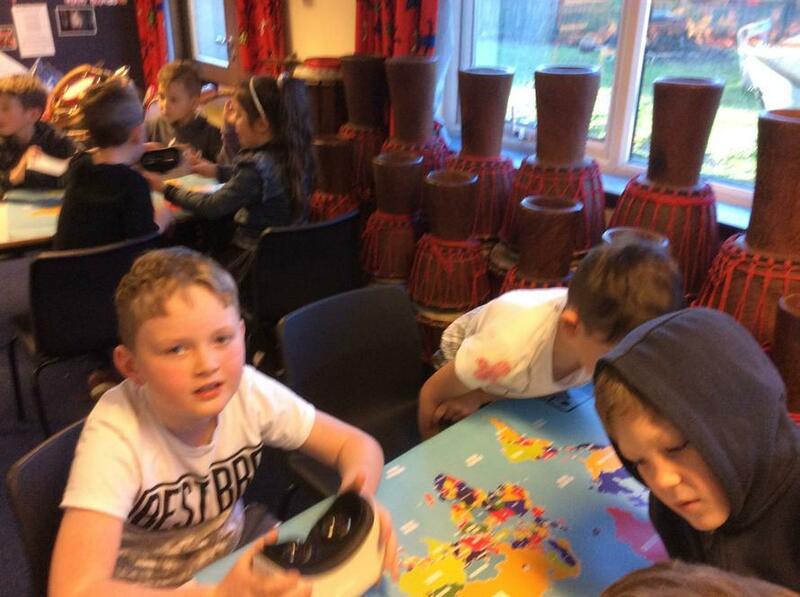 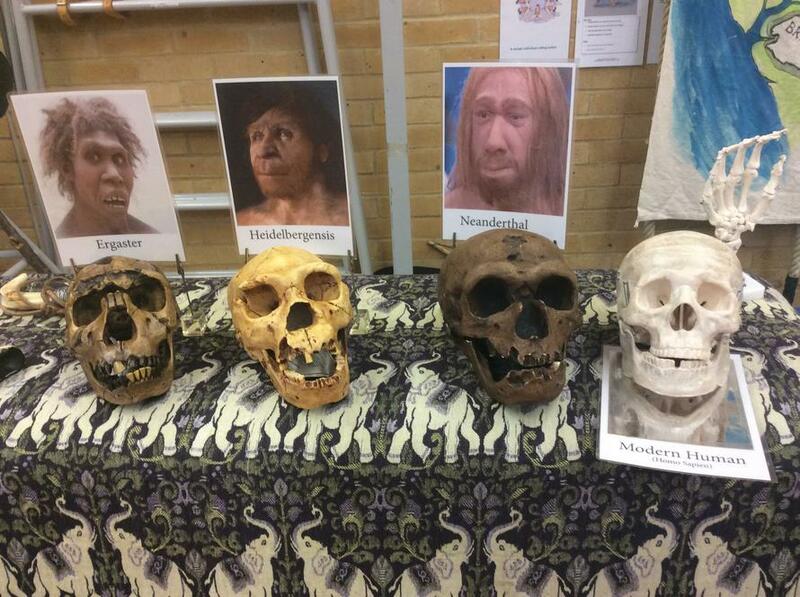 We will be learning all about the Stone Age, Bronze Age and Iron Age. 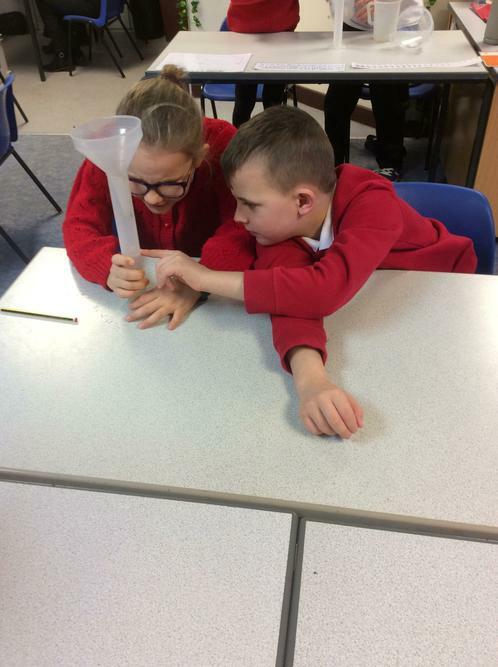 We will also be finding out about different soils and rocks, how volcanoes and fossils are formed and what causes earthquakes. 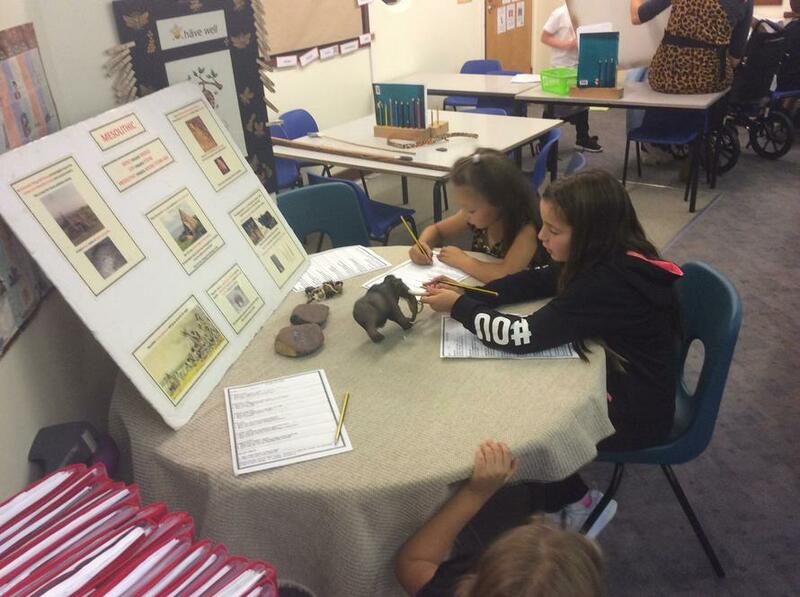 On Tuesday 11th September, we have Portals to the Past coming into school to deliver a day of workshops based on our history topic. 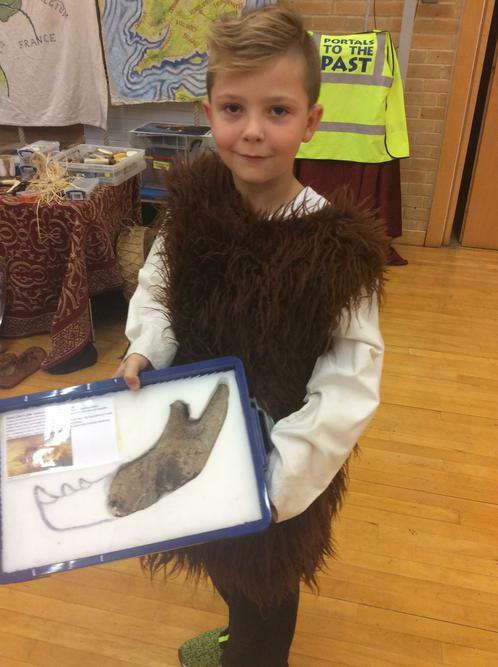 As part of this, we ask that the children come dressed up suited to the time period. 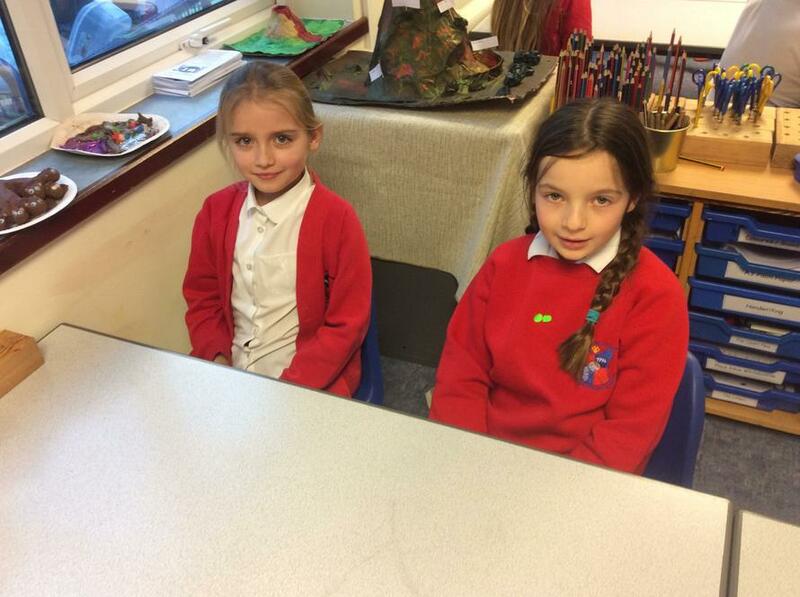 Please see the attached letter for more details. 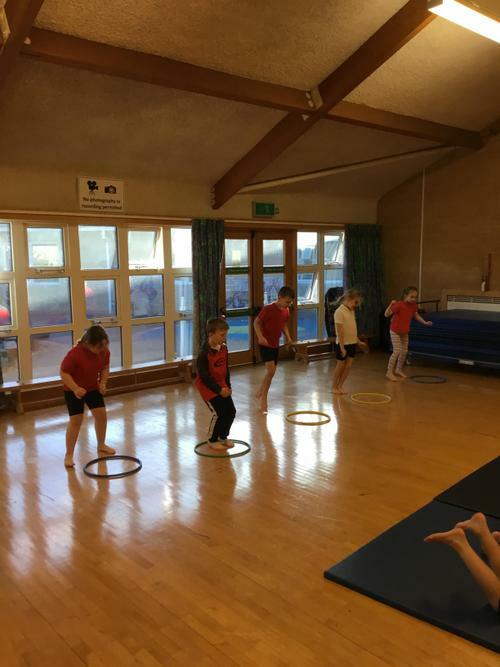 PE will be on Tuesdays and Thursdays. 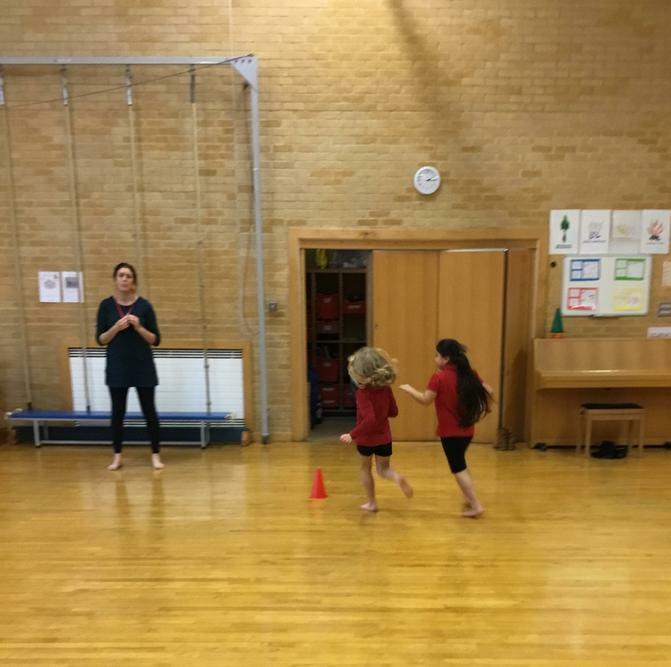 Earrings must be removed for PE. 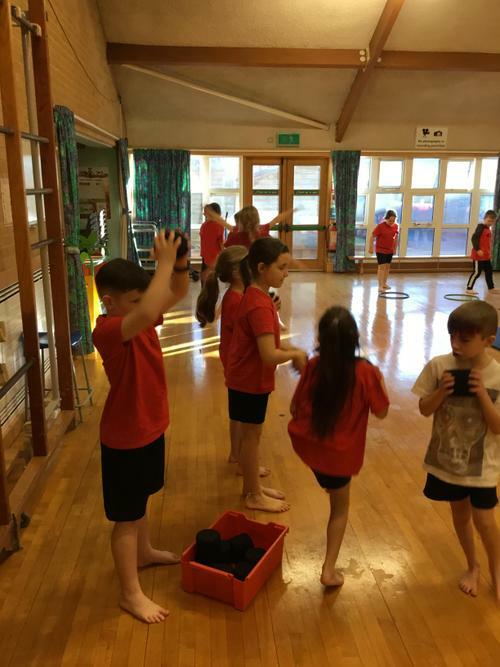 We ask that PE kits are brought into school on the Monday and kept in school for the week as sometimes our timetables change.